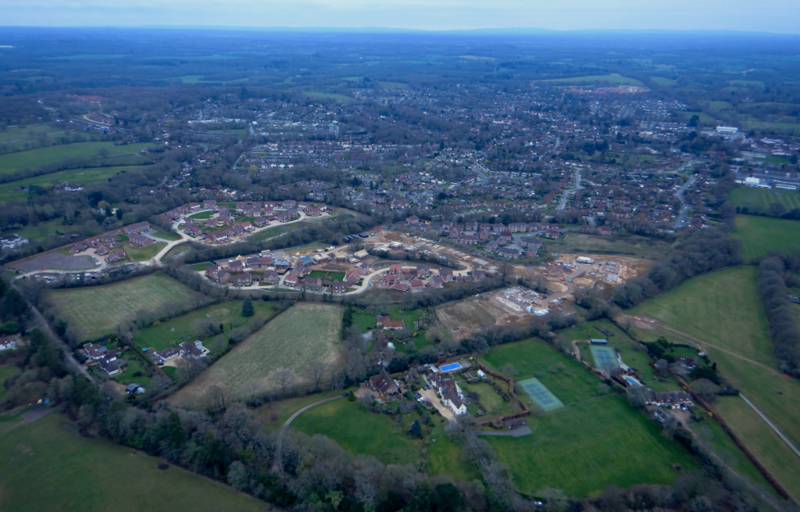 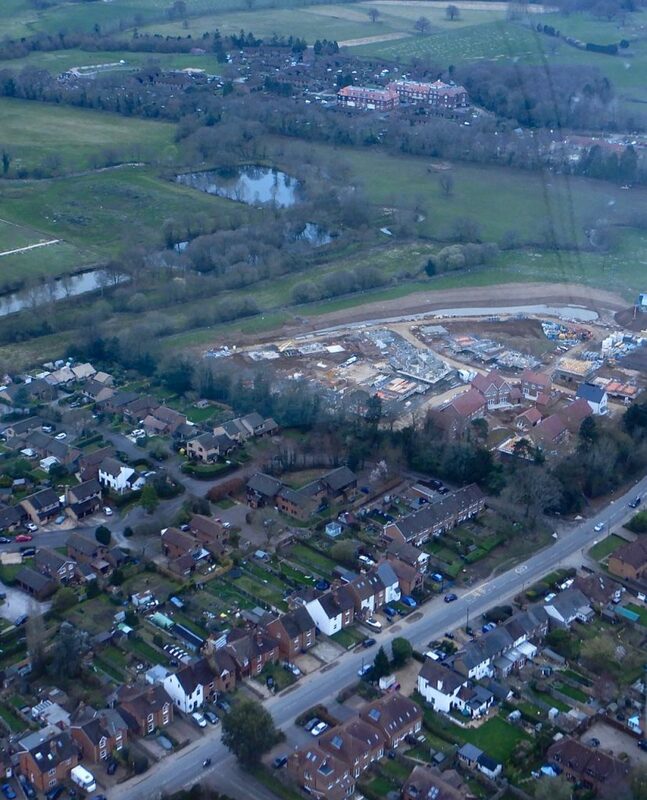 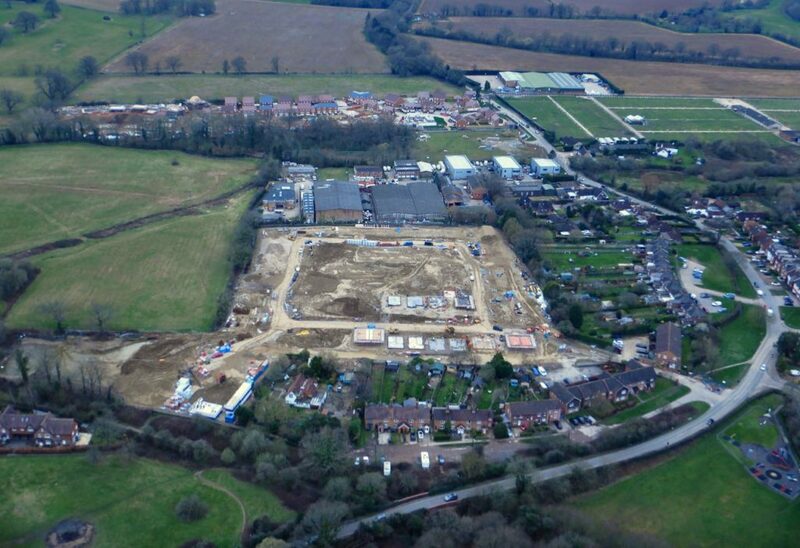 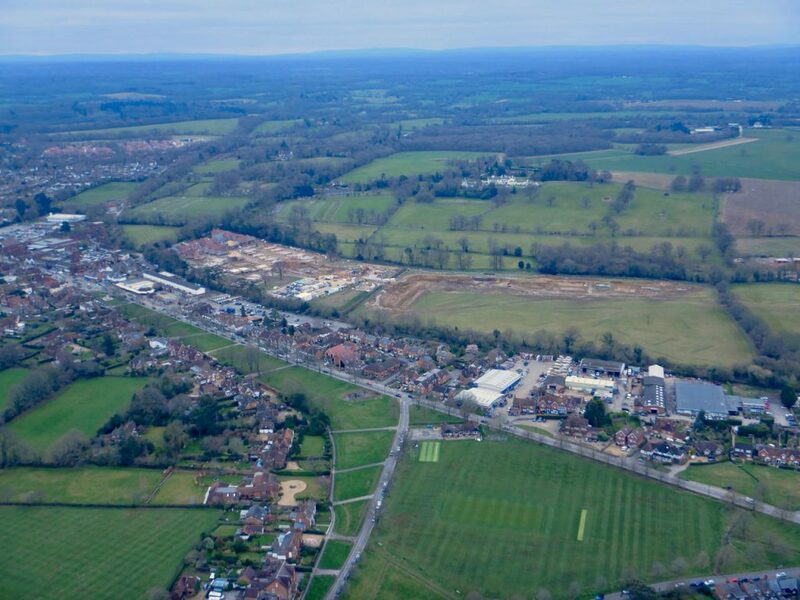 The construction traffic, and later the commuter traffic, is destined for the various building sites around Cranleigh, Alfold, Dunsfold, Loxwood and Horsham. 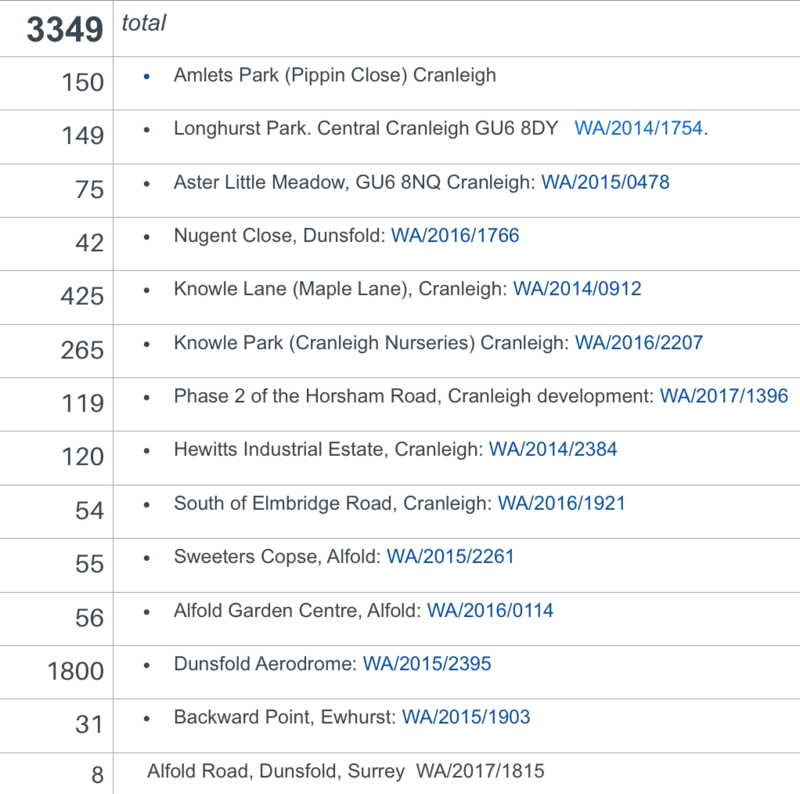 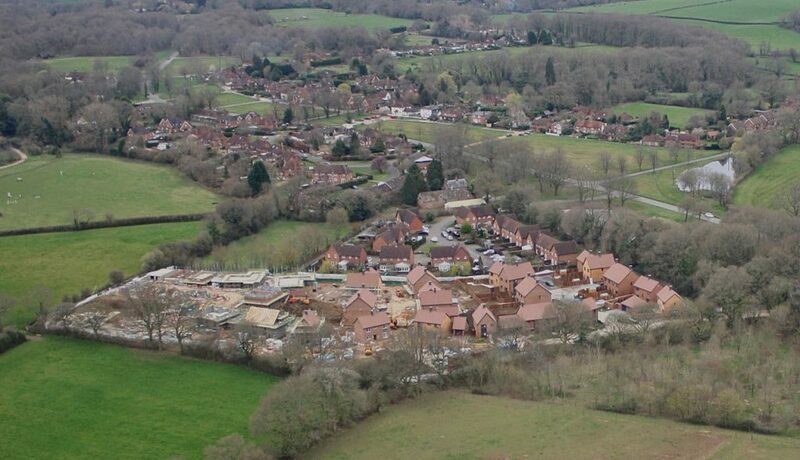 This is the list of planning approved new developments in just the Cranleigh area. 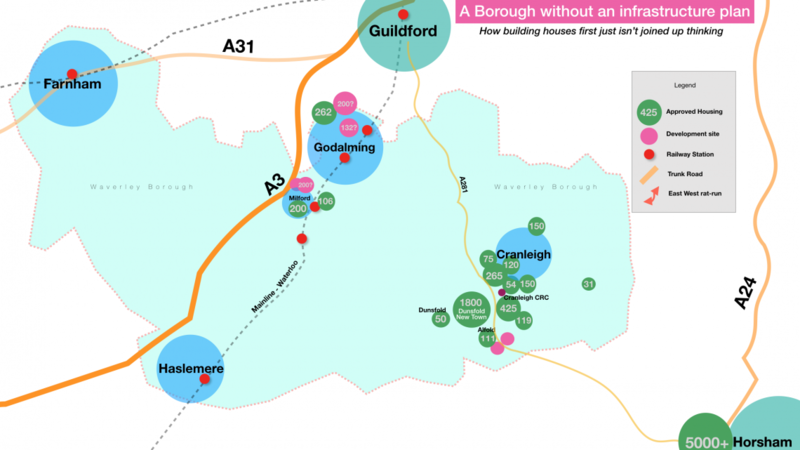 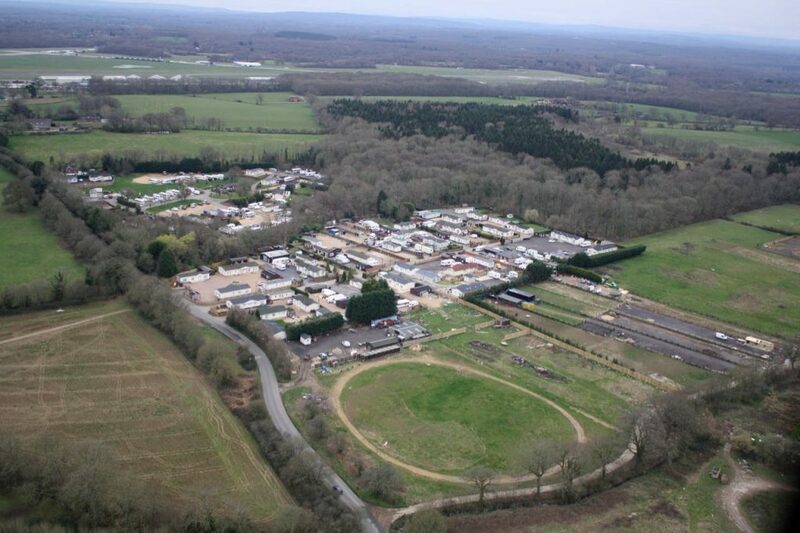 For context there are also 200 given outline consent at Milford Golf Course, 262 at Aarons Hill in Godalming and developer proposals for maybe 200 at Secretts Milford and 132 more at Charterhouse. 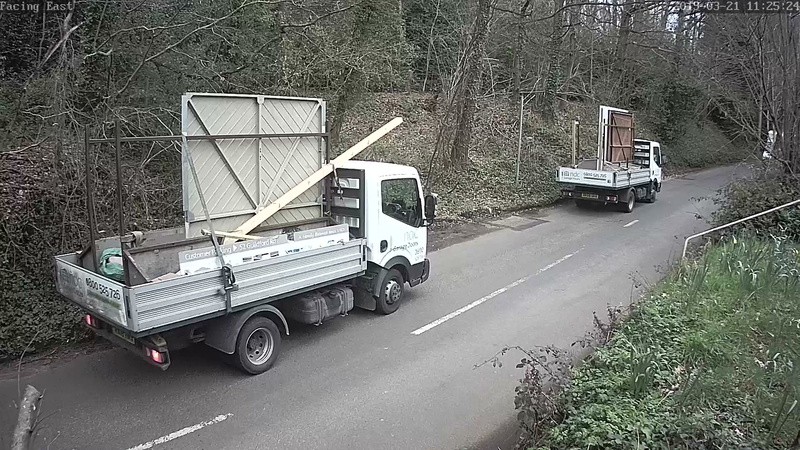 This is what is driving the recent increases in traffic volumes – an increase that appears to be predominantly construction vehicles using the East-West route from the A3. 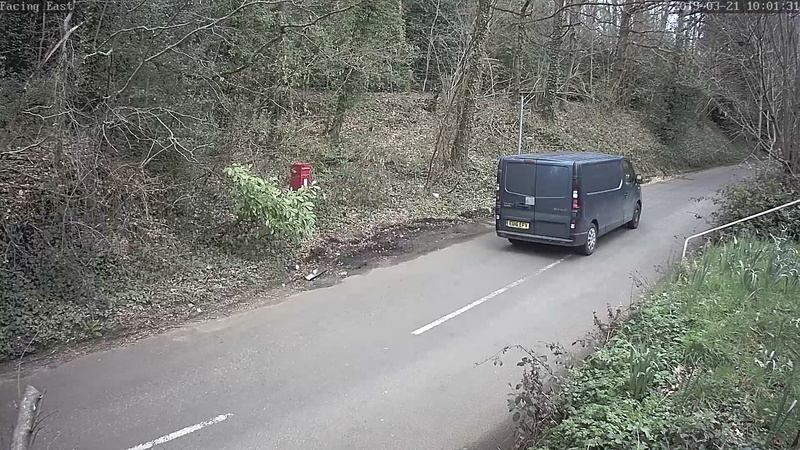 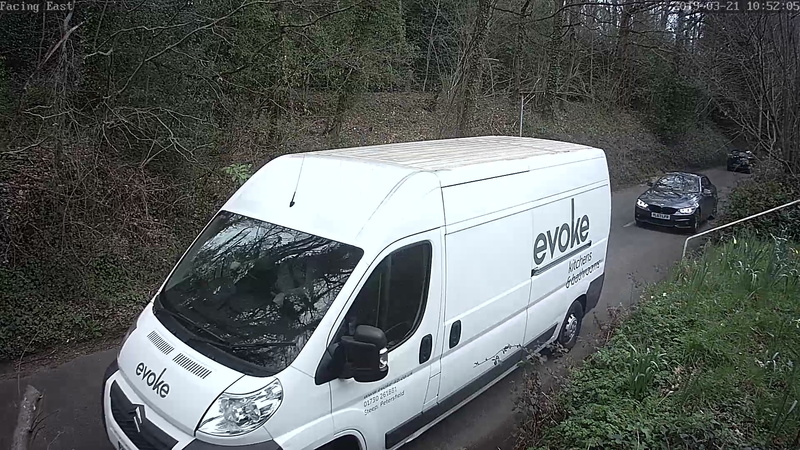 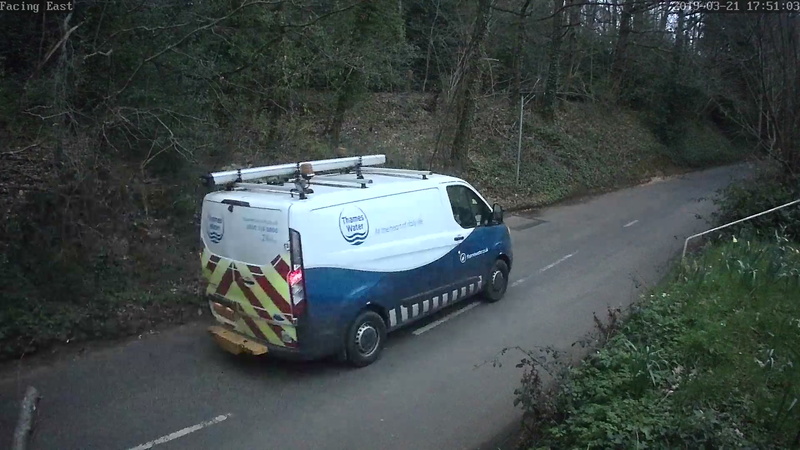 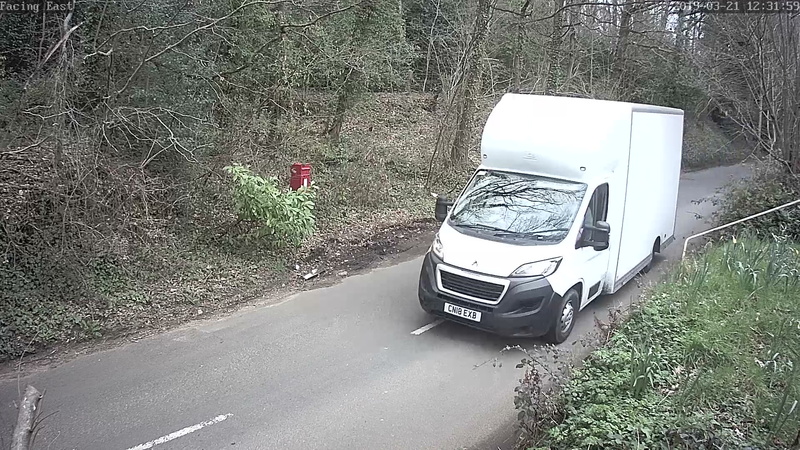 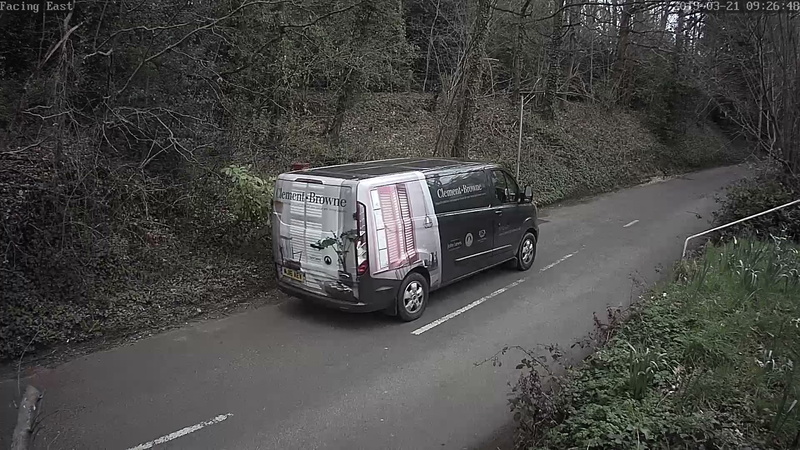 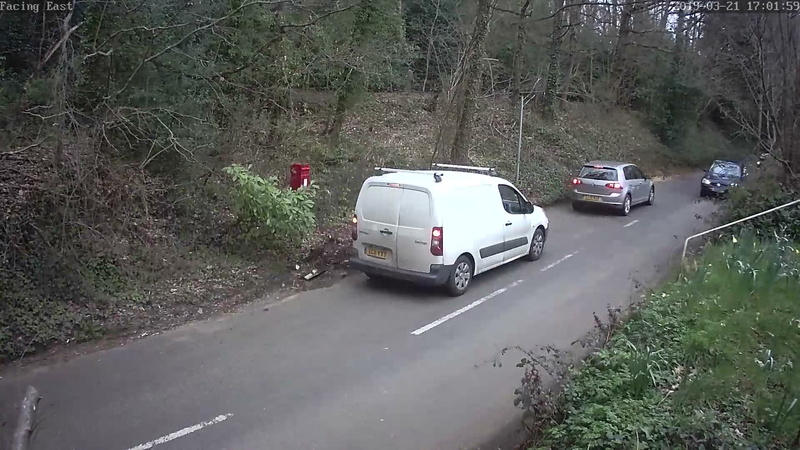 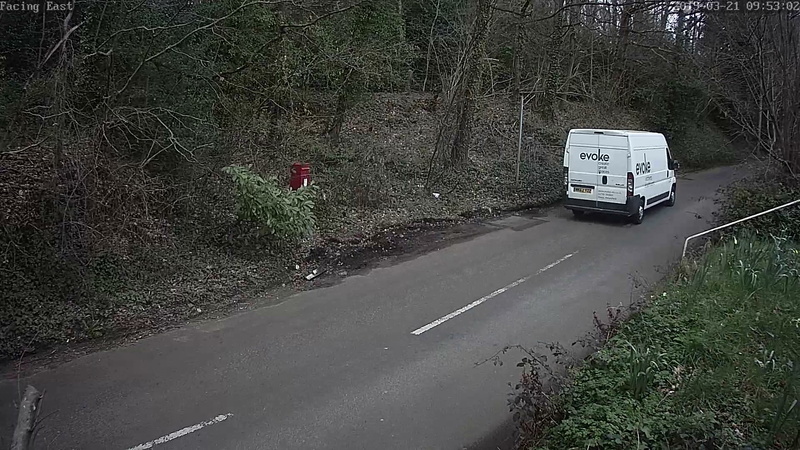 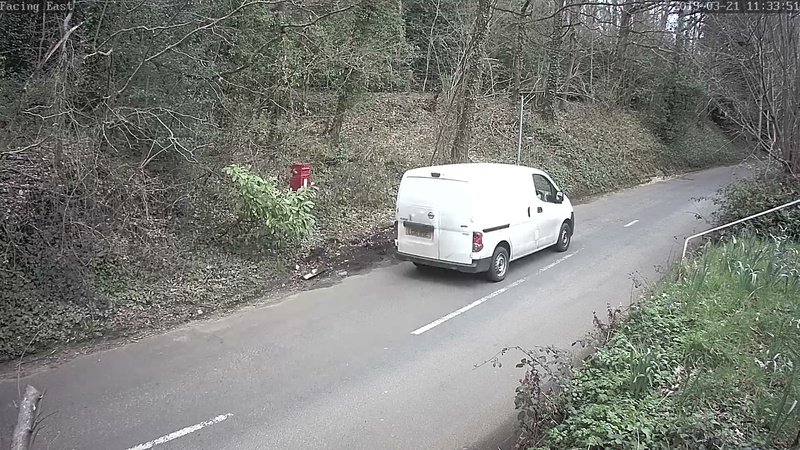 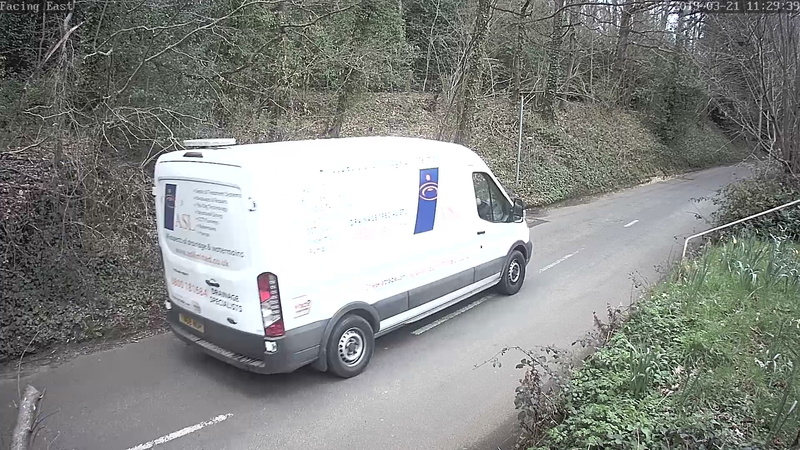 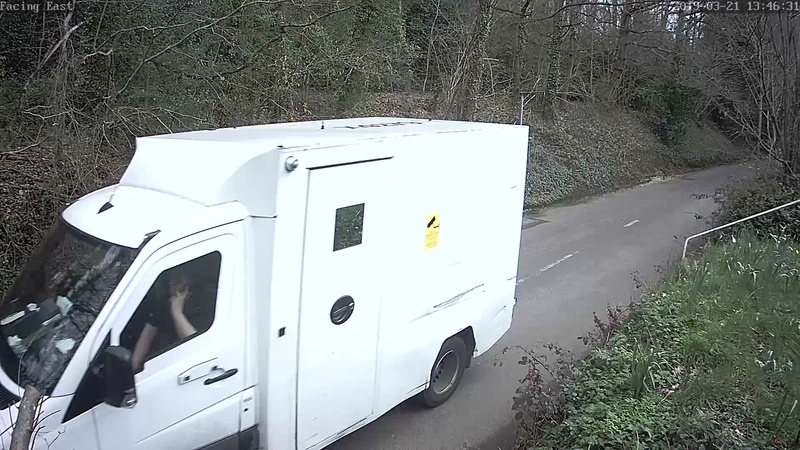 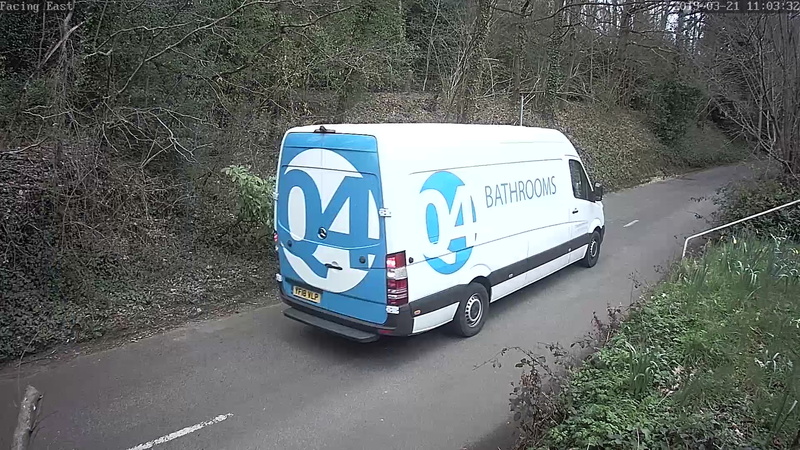 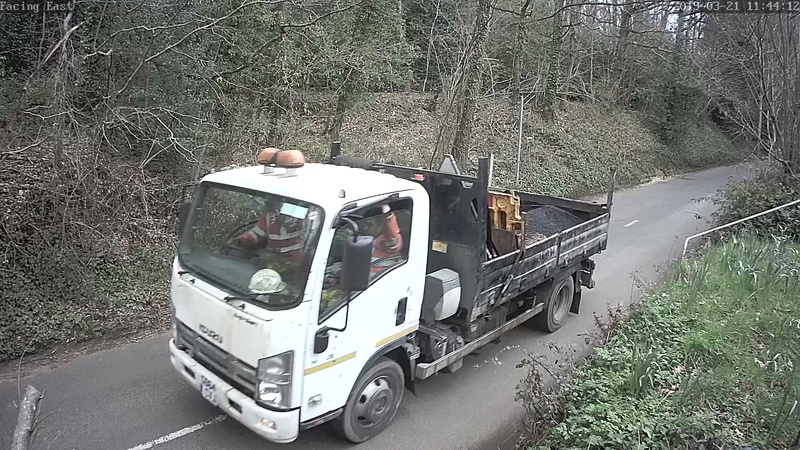 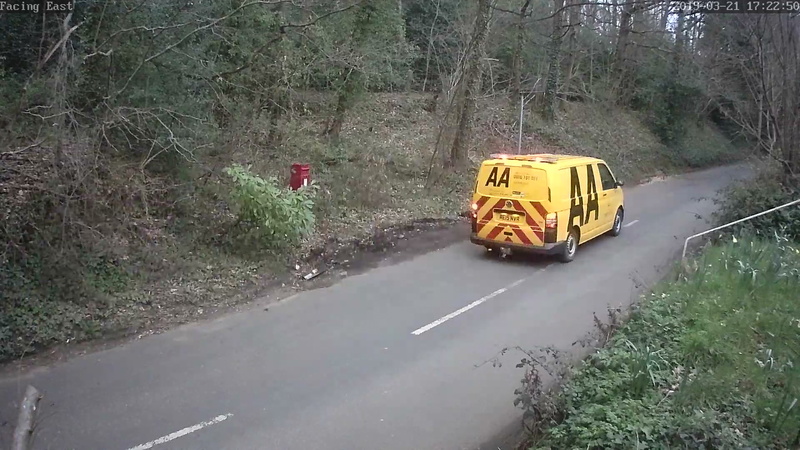 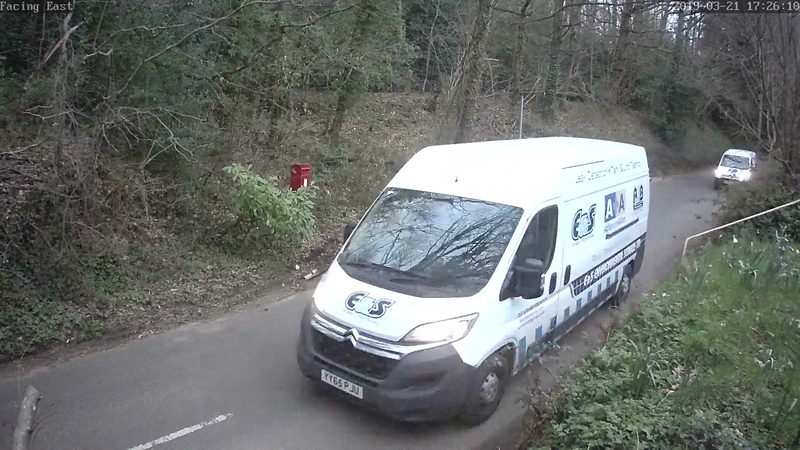 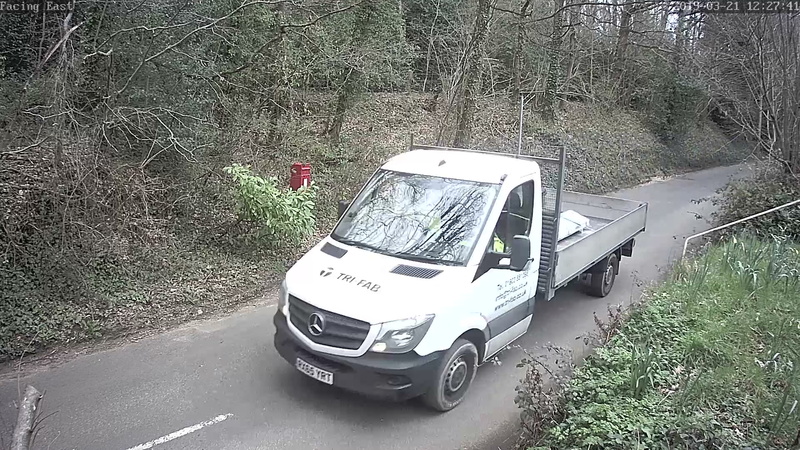 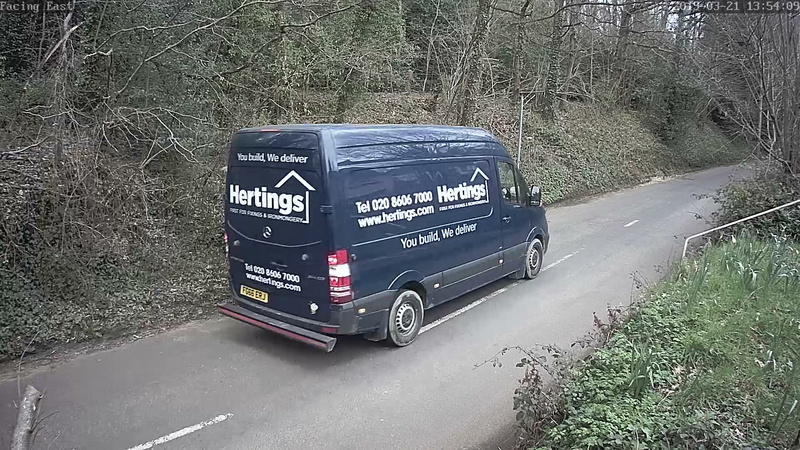 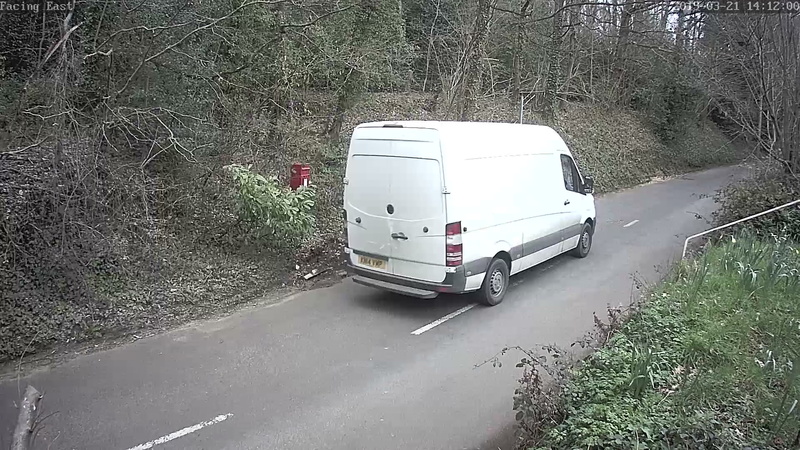 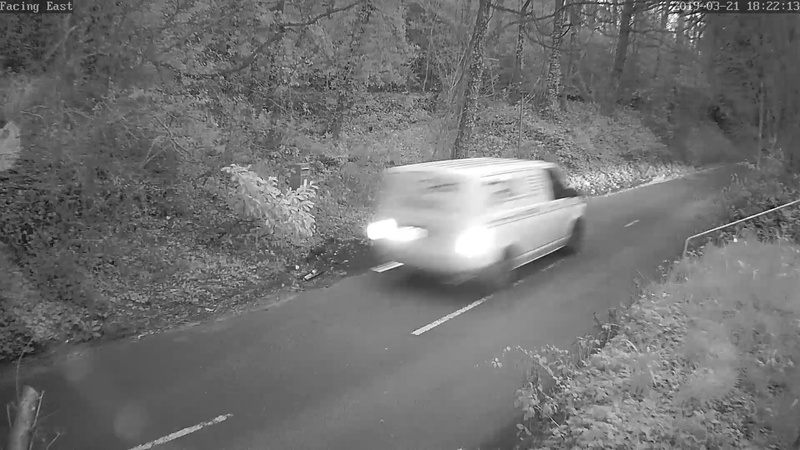 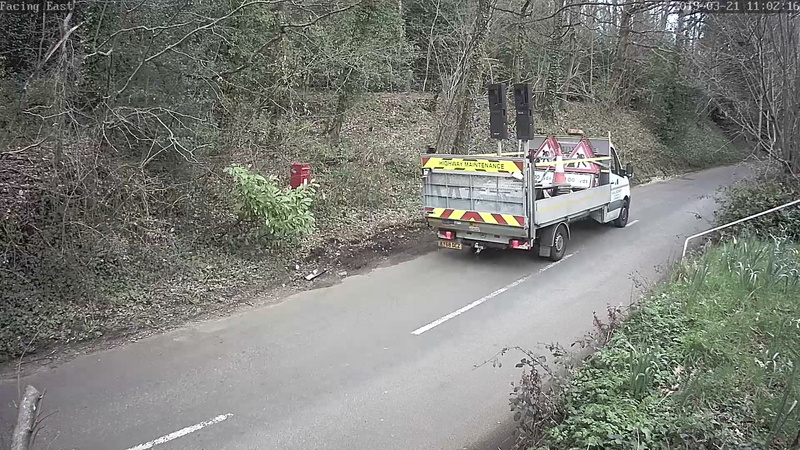 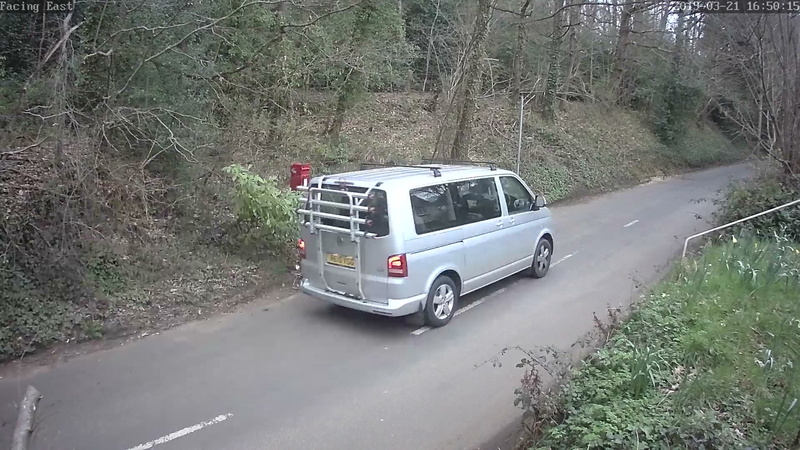 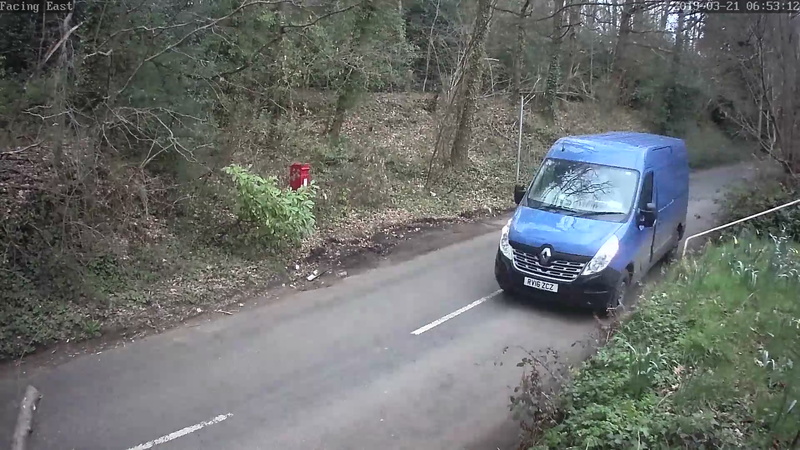 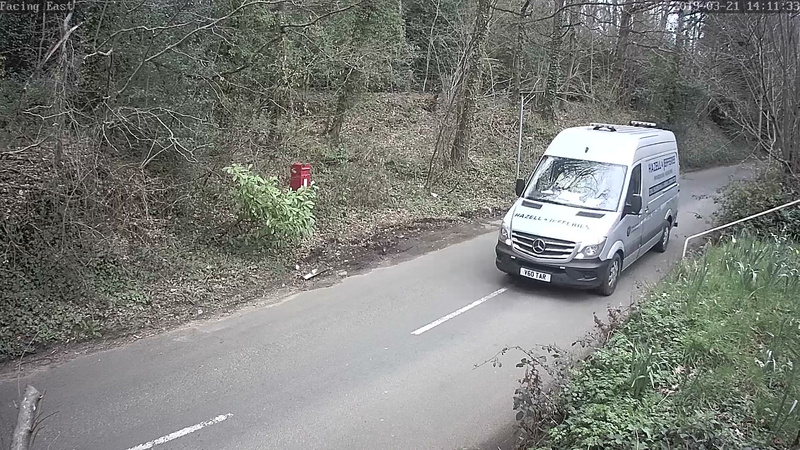 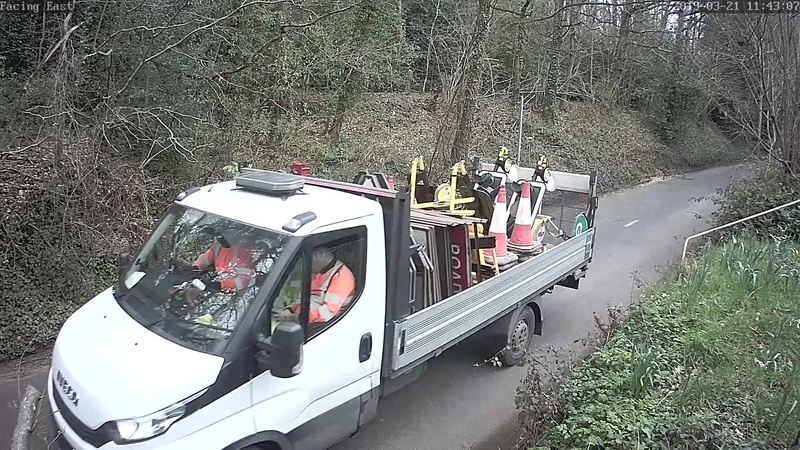 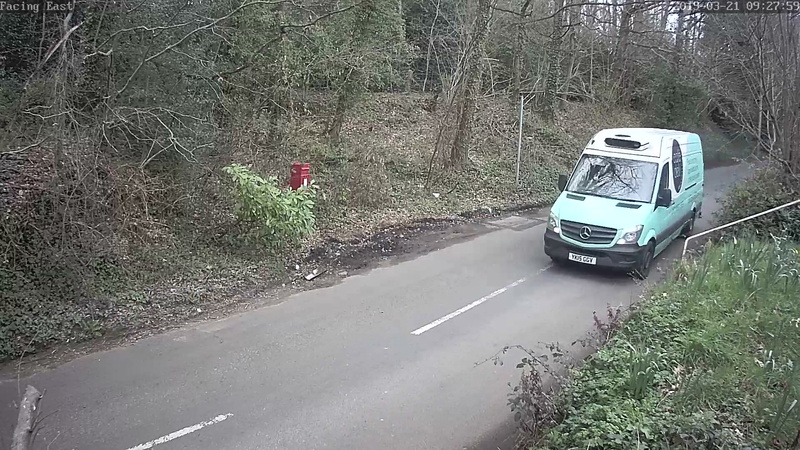 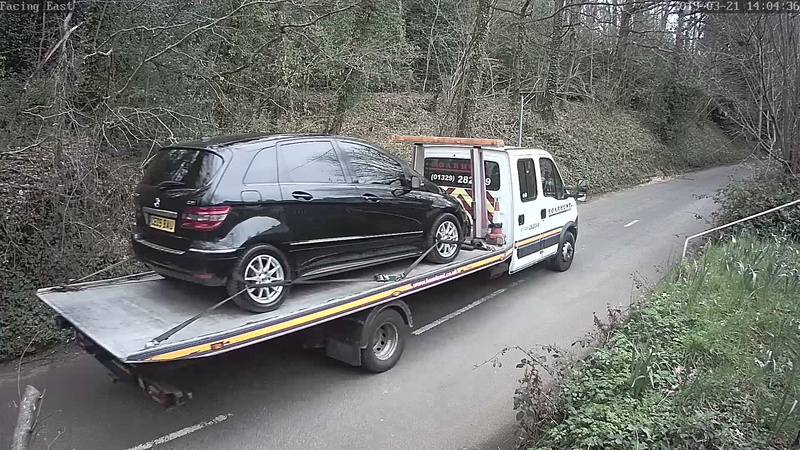 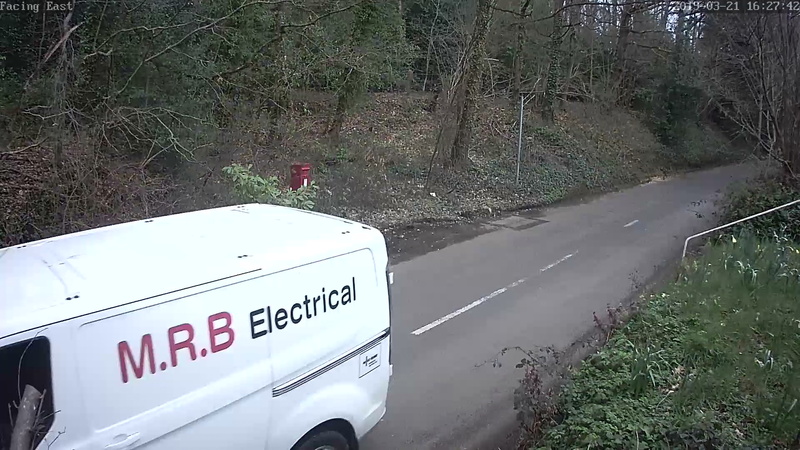 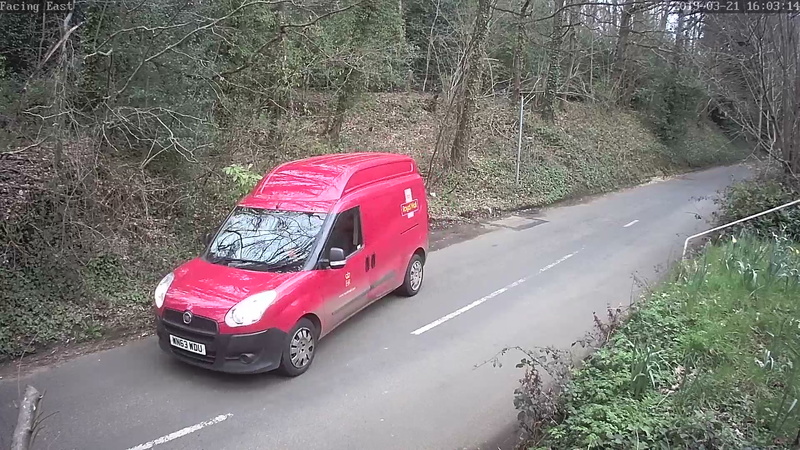 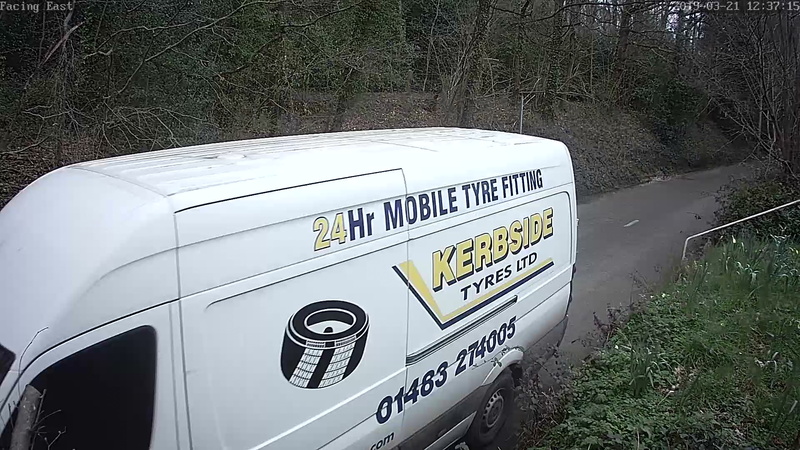 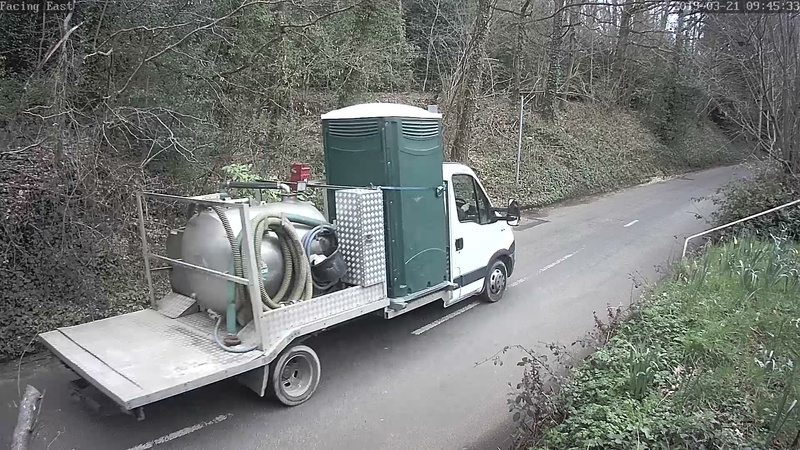 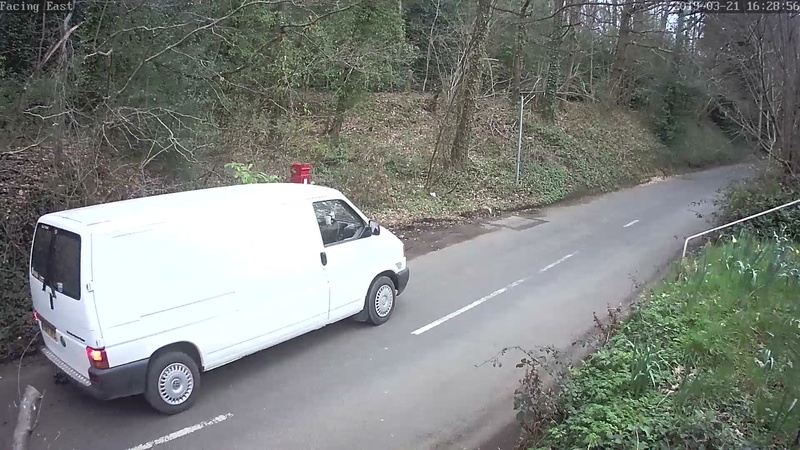 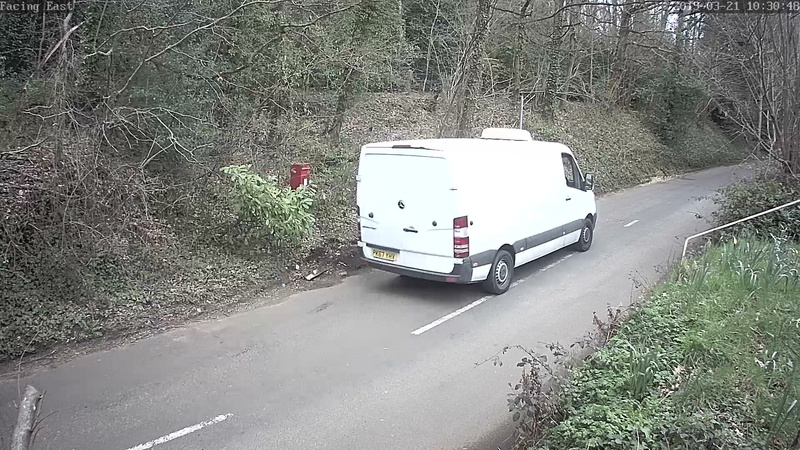 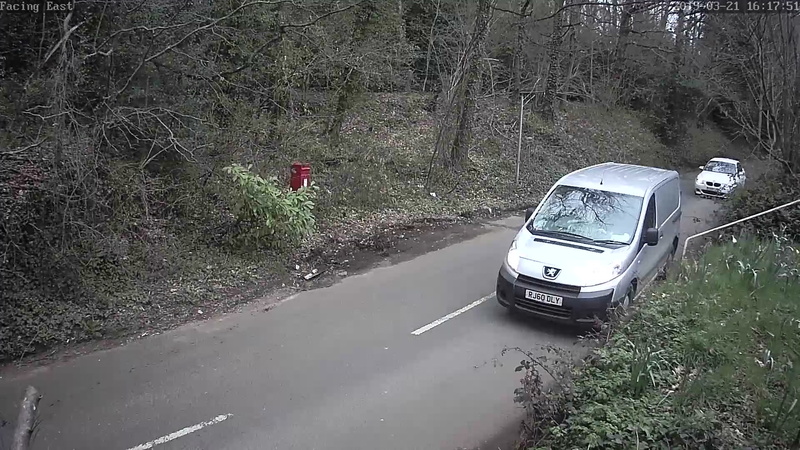 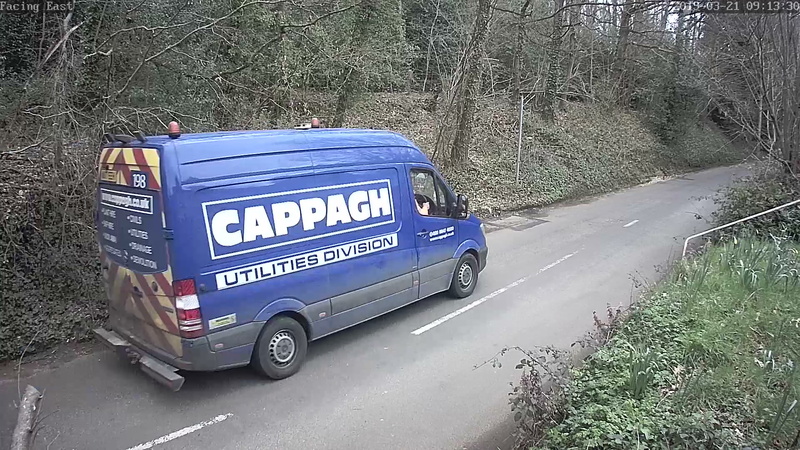 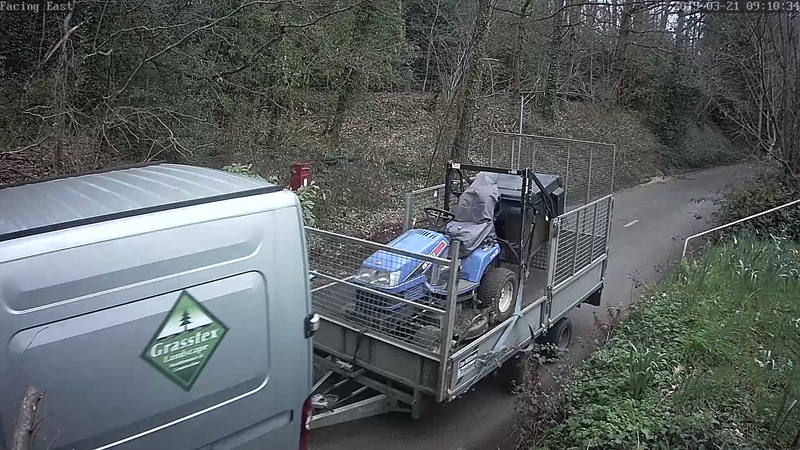 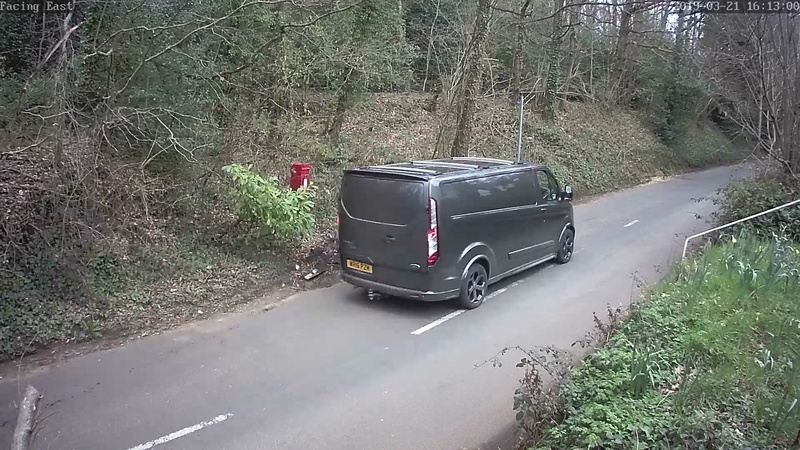 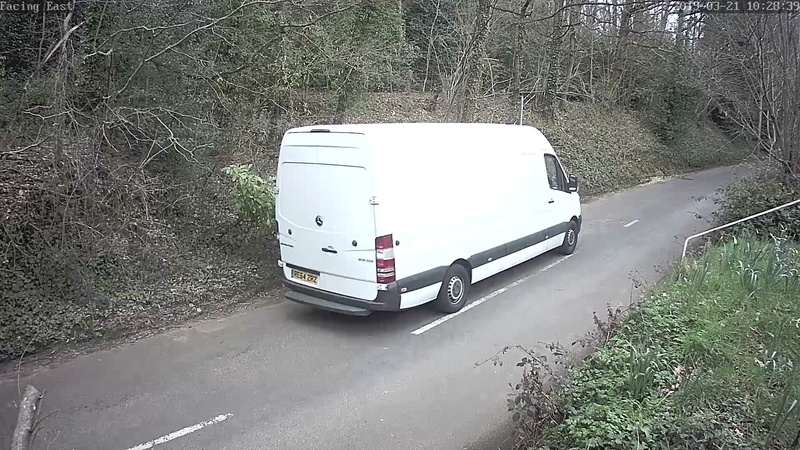 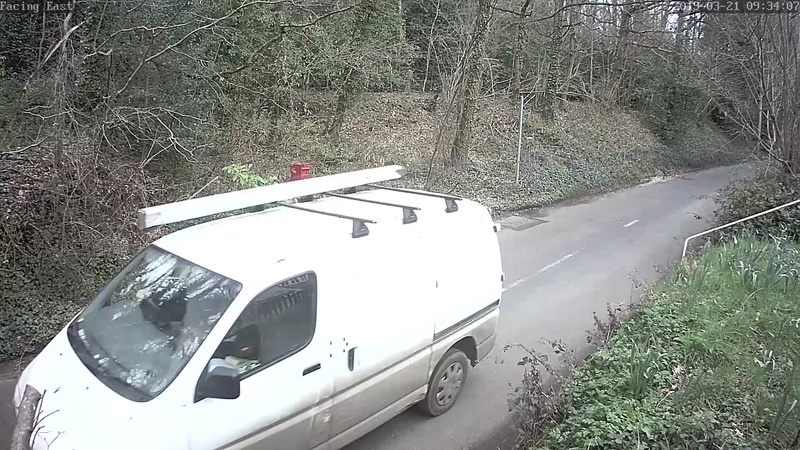 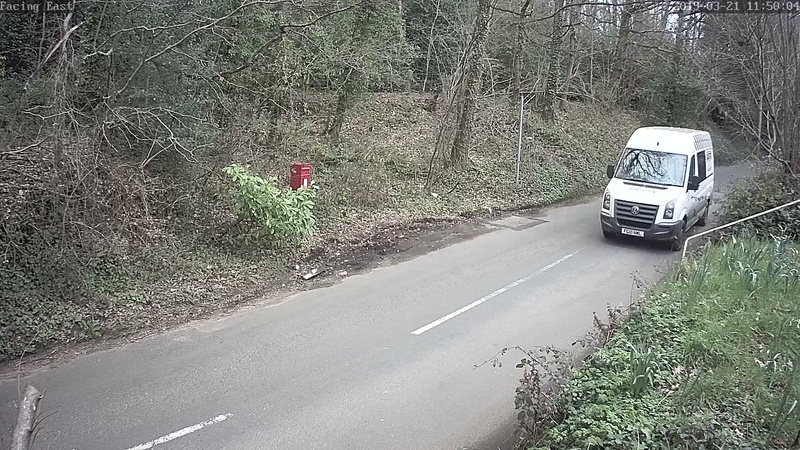 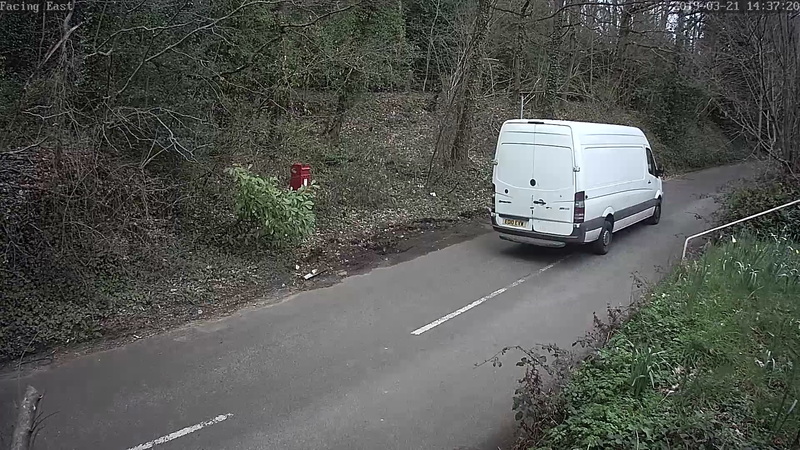 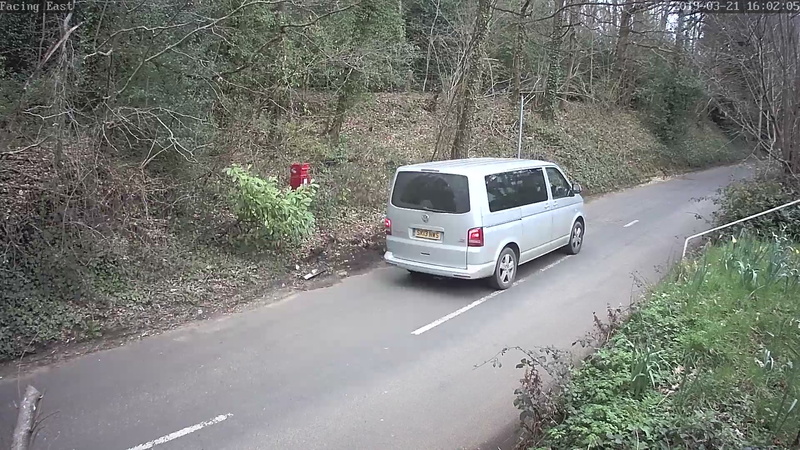 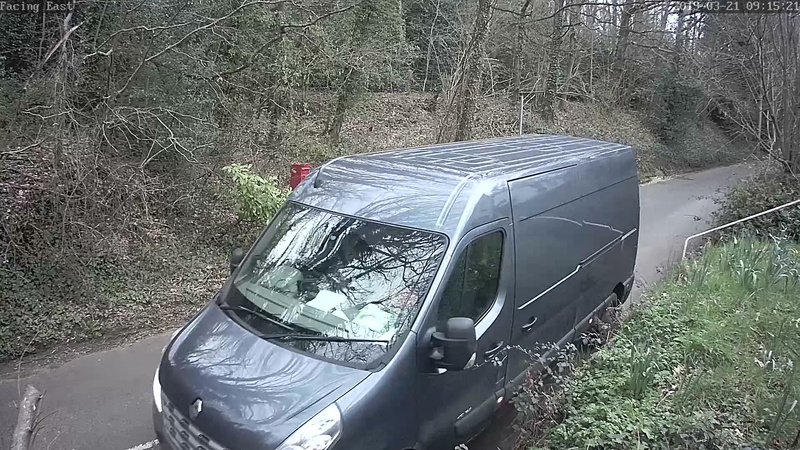 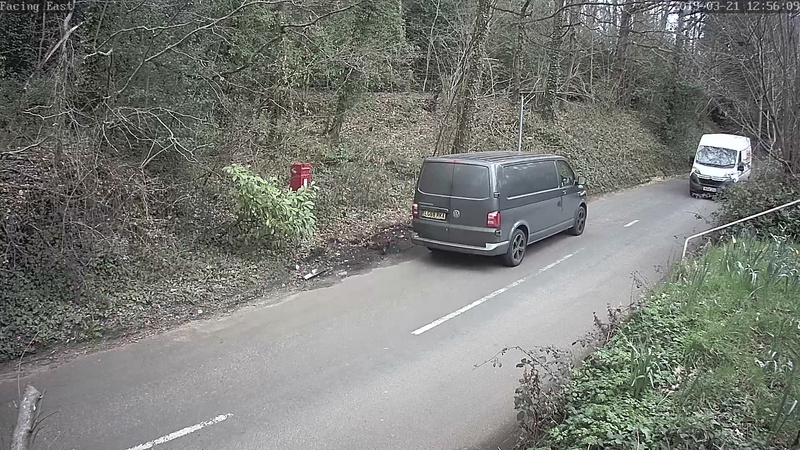 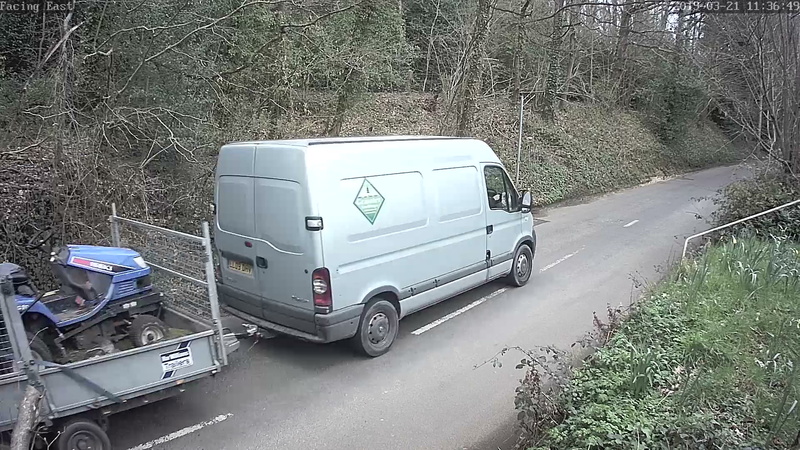 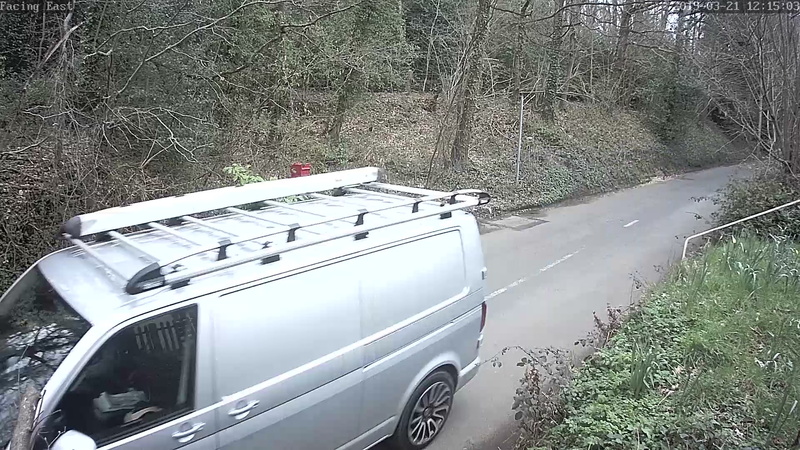 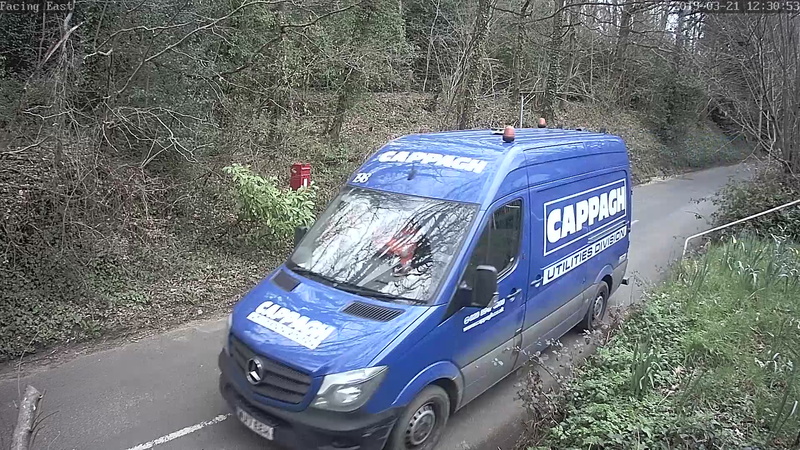 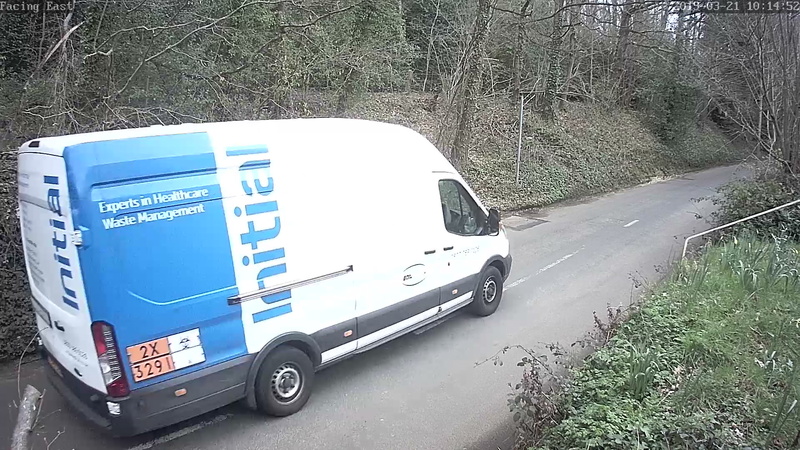 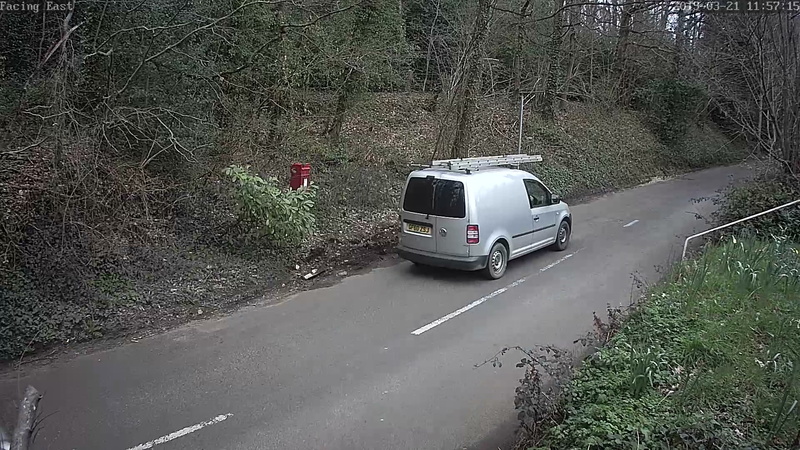 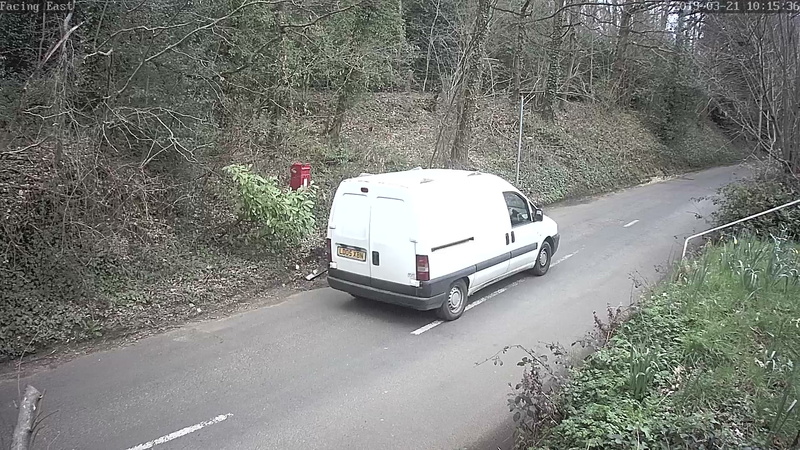 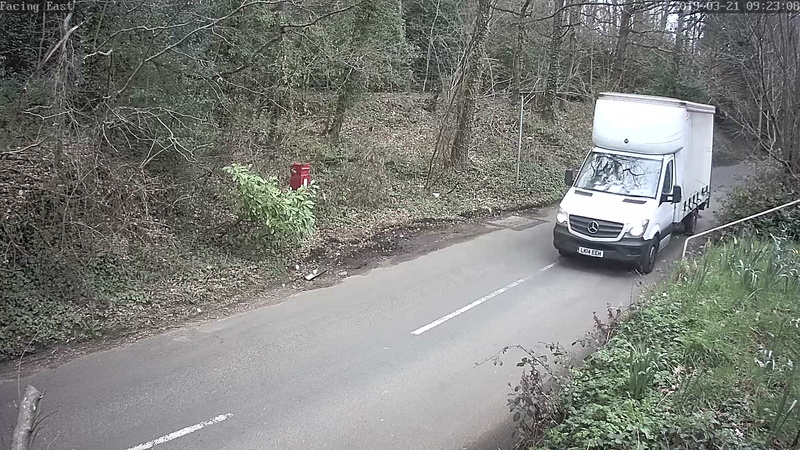 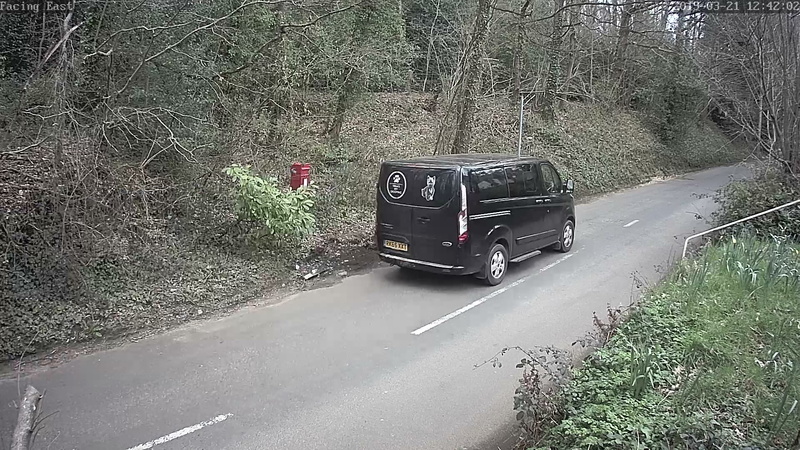 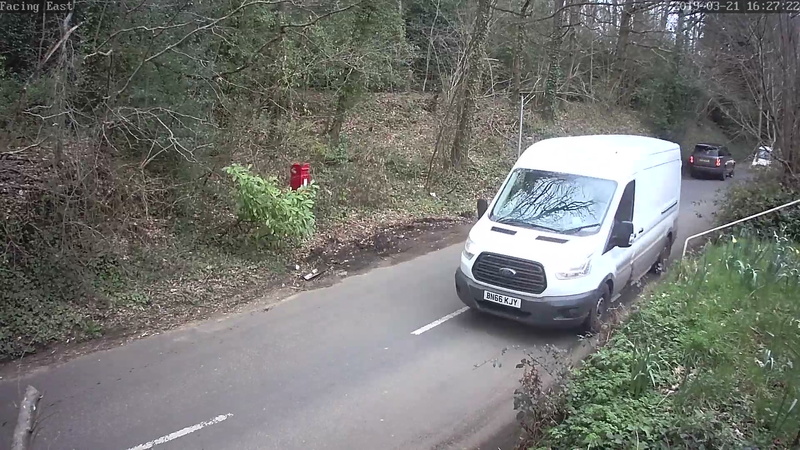 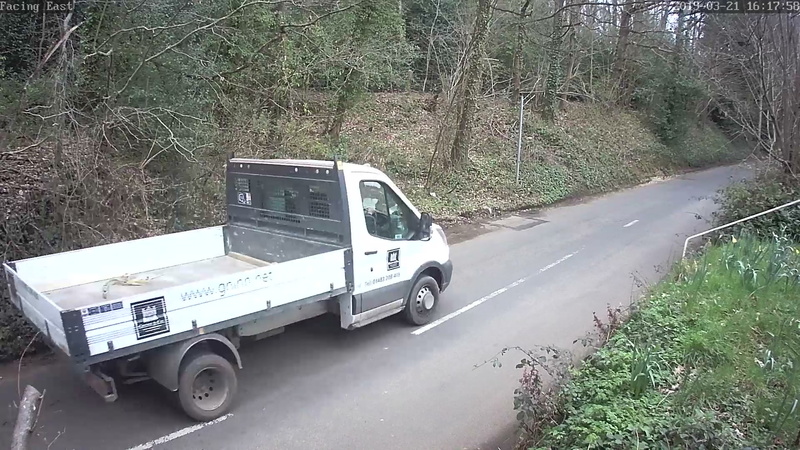 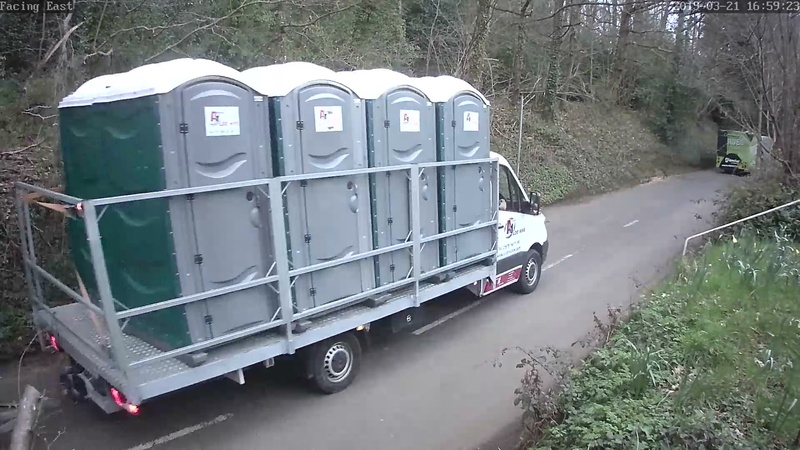 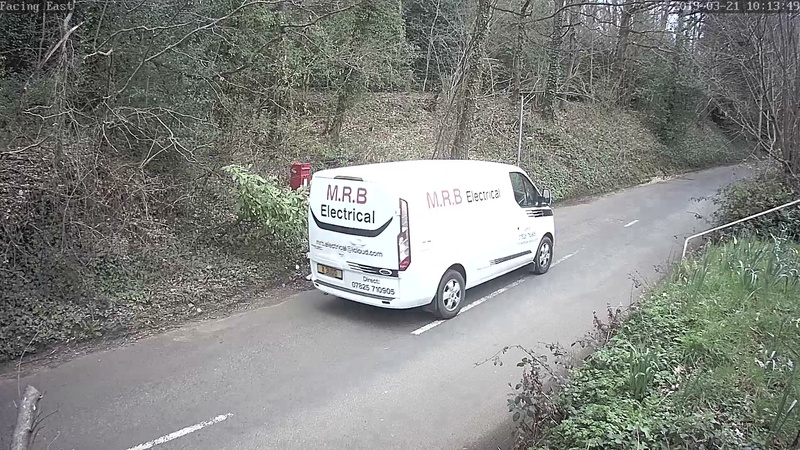 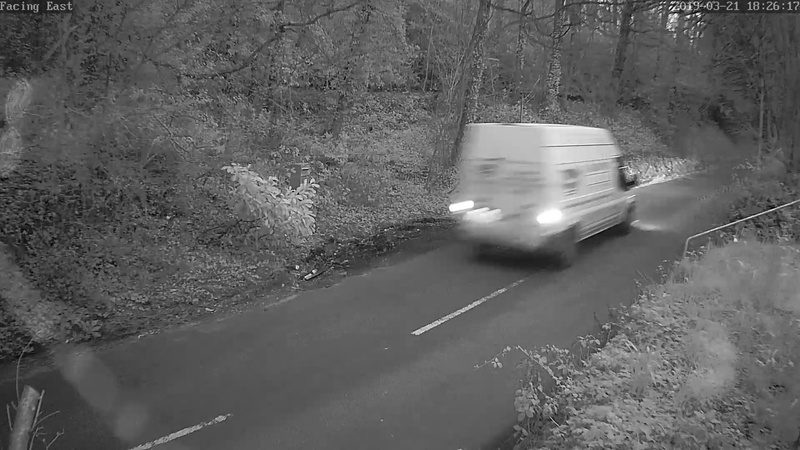 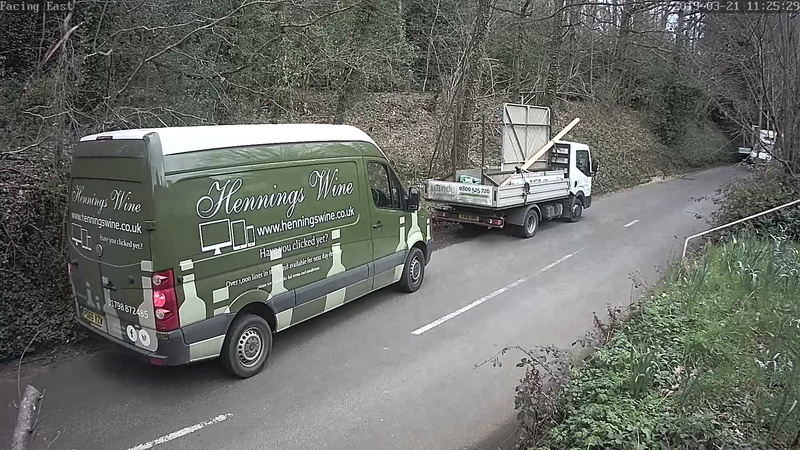 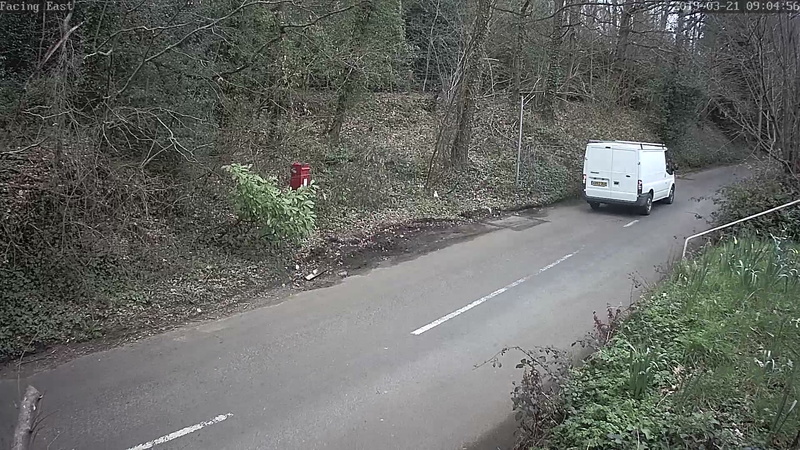 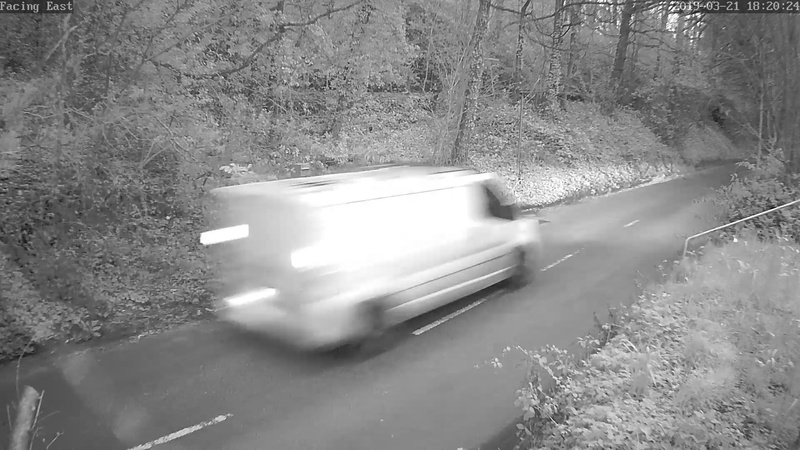 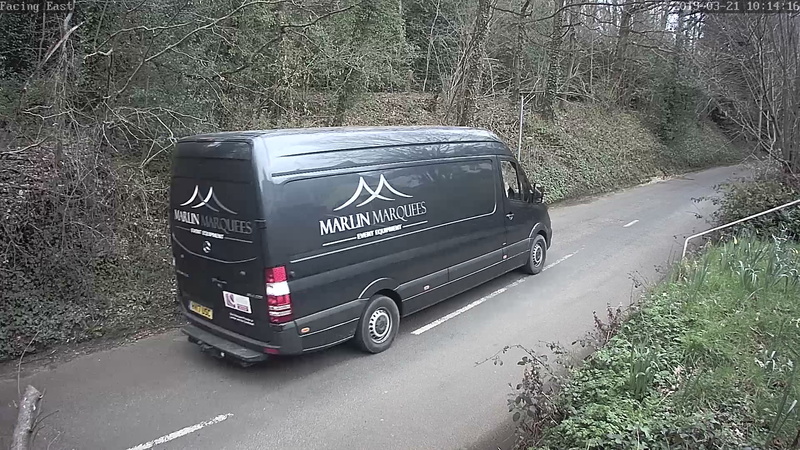 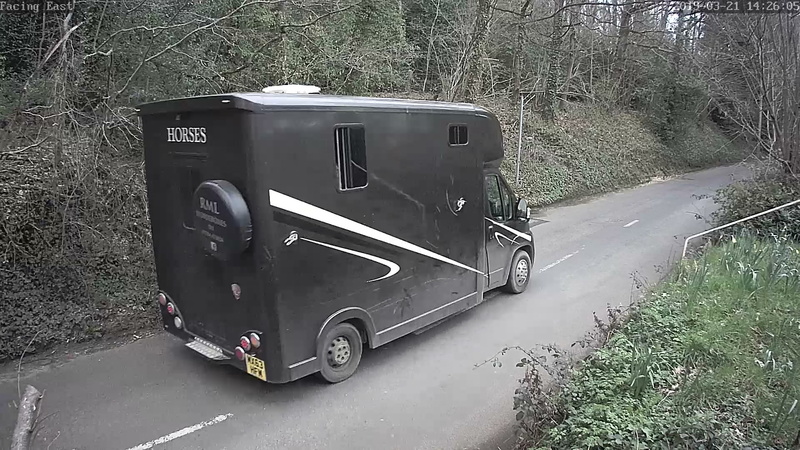 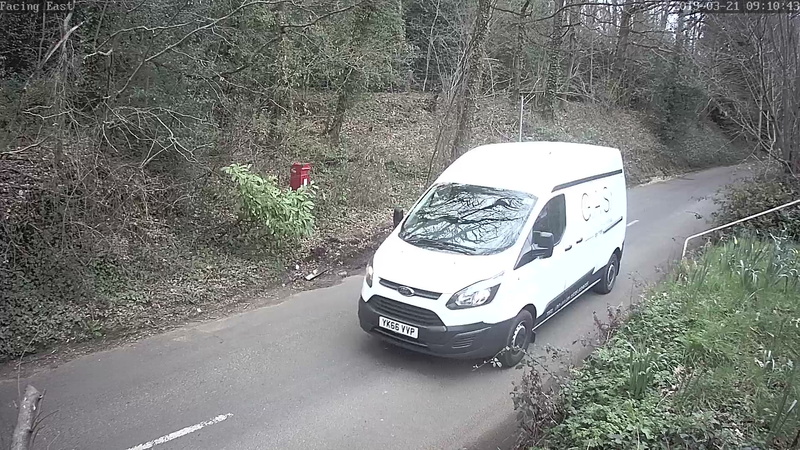 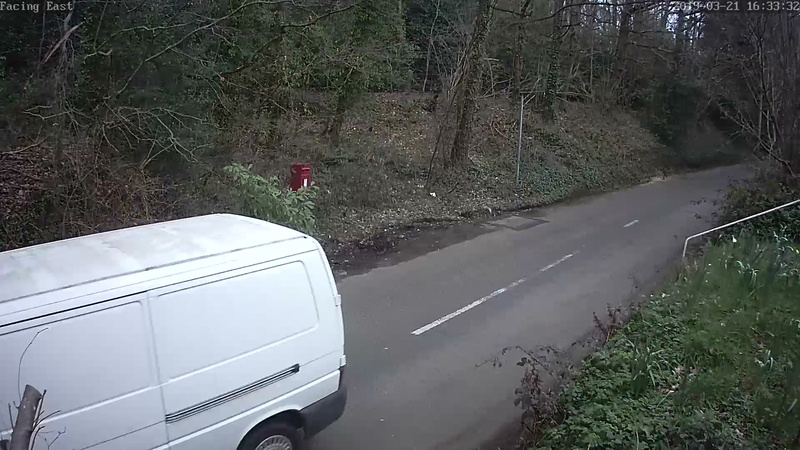 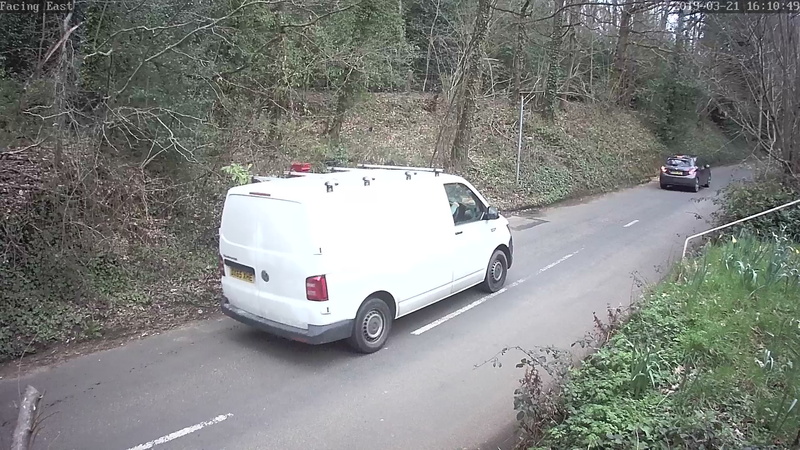 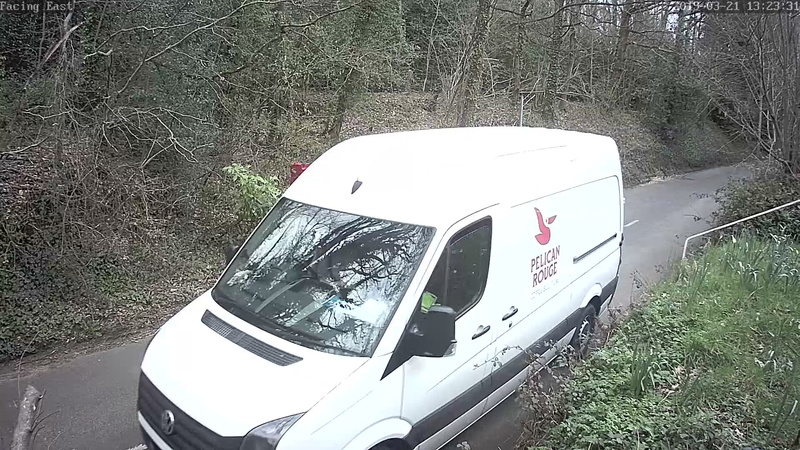 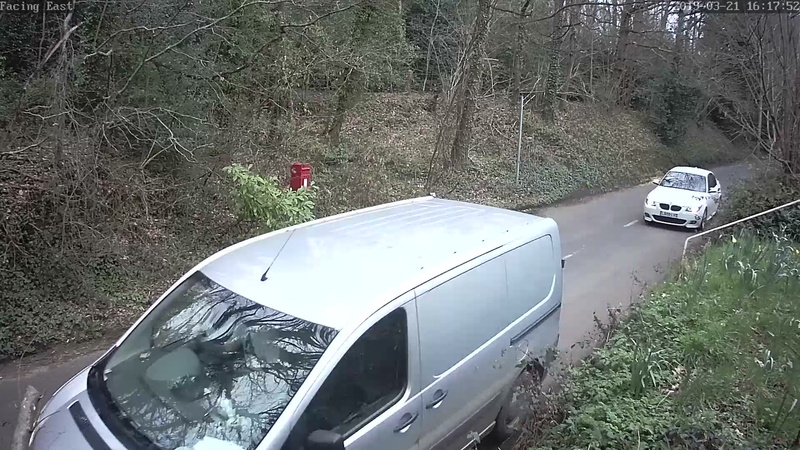 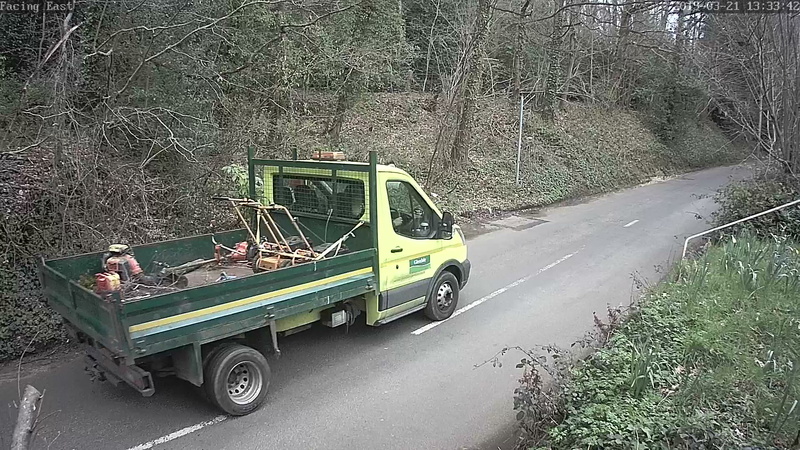 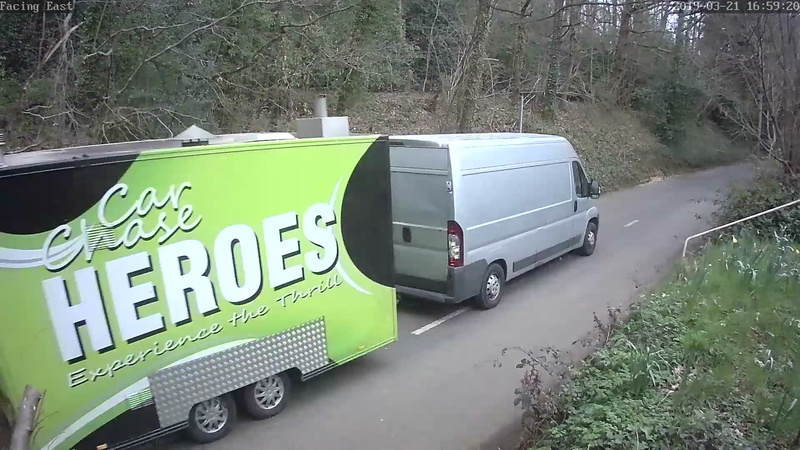 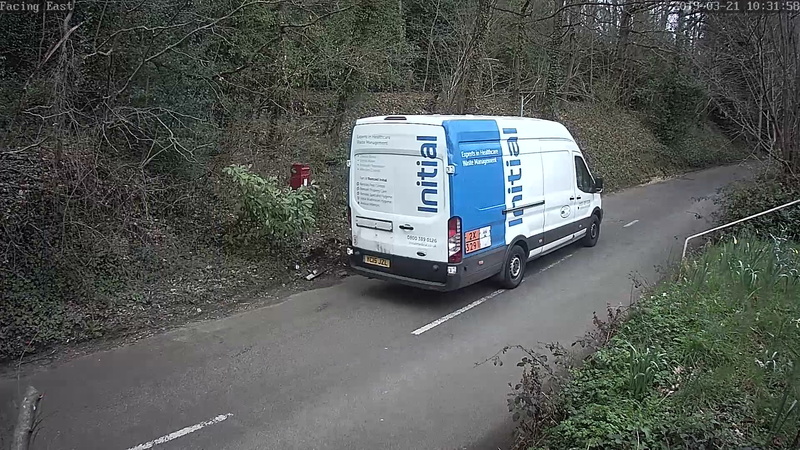 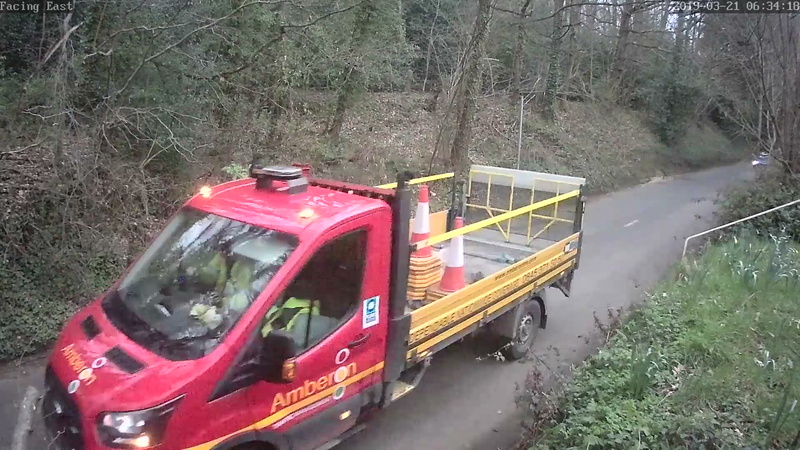 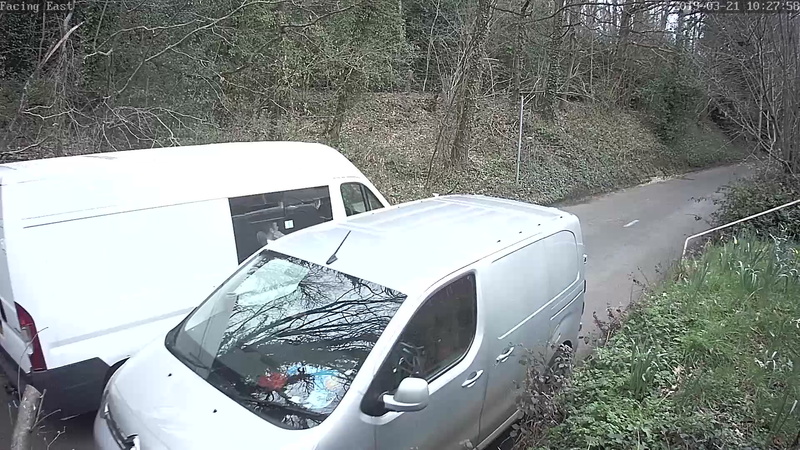 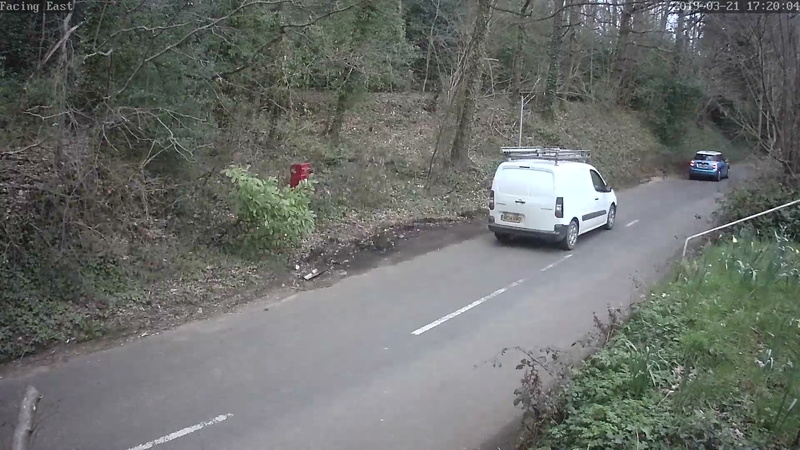 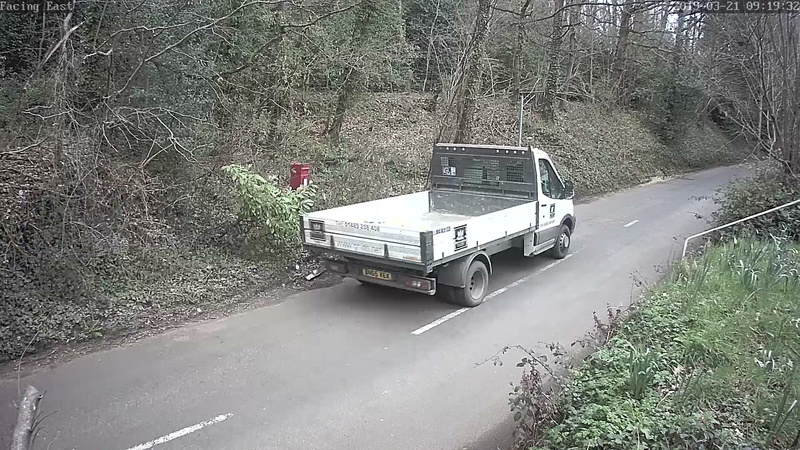 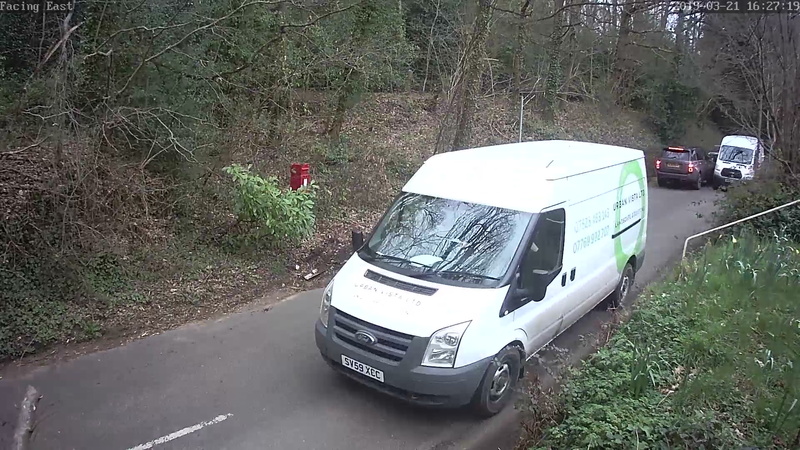 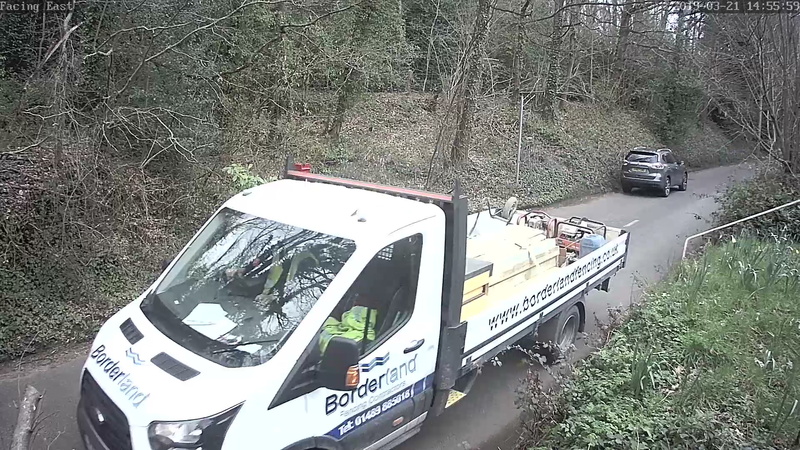 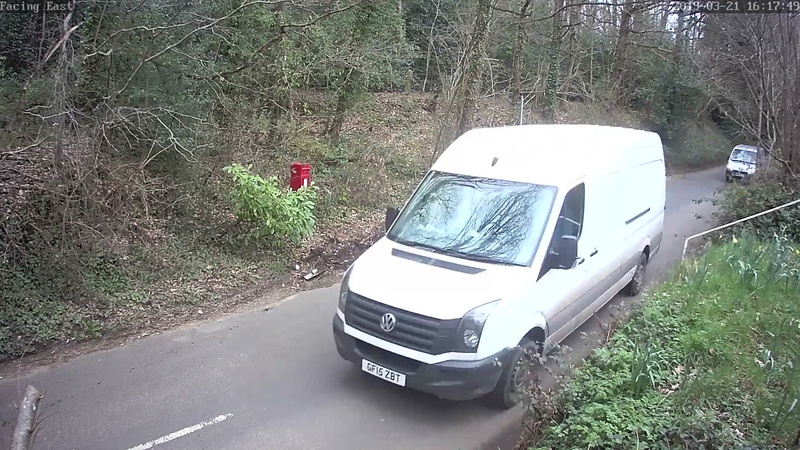 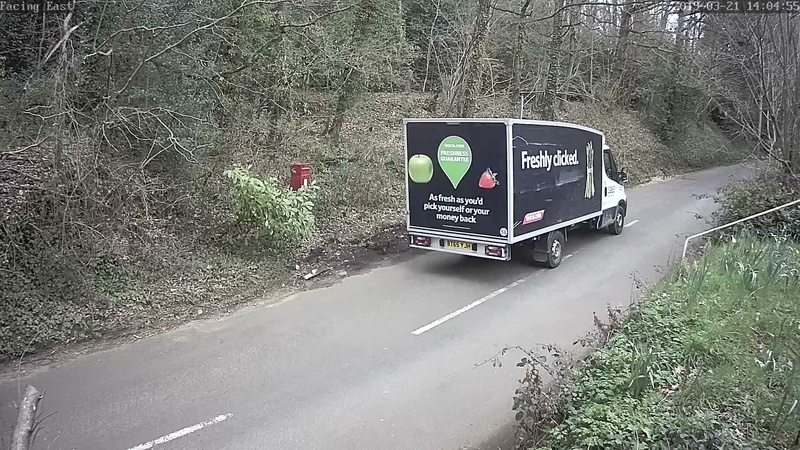 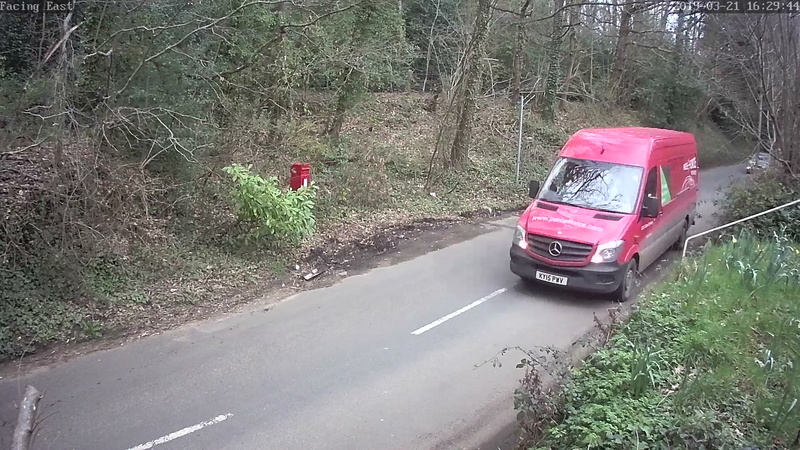 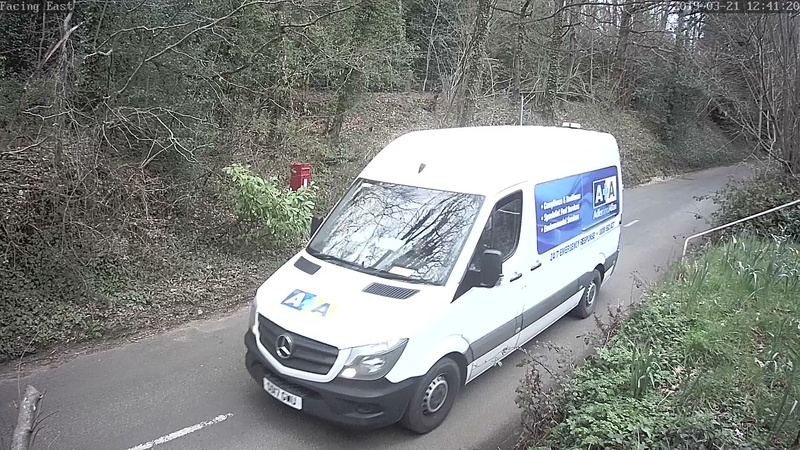 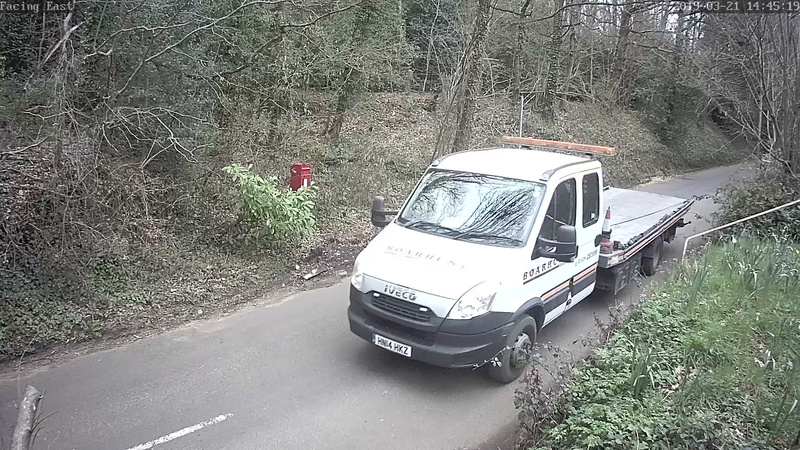 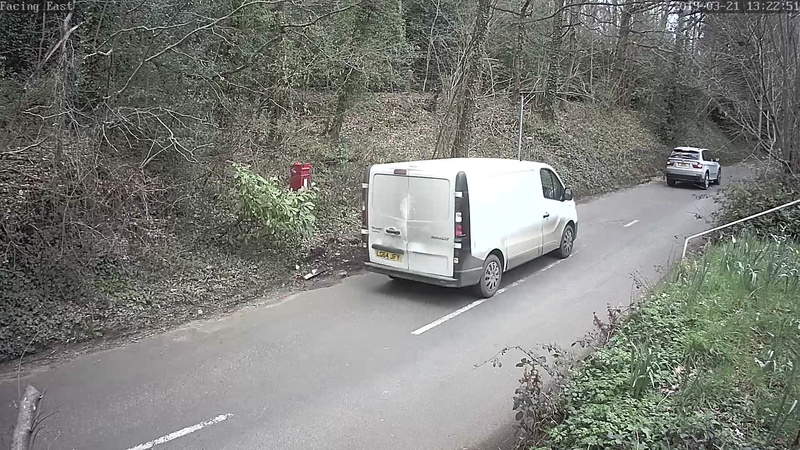 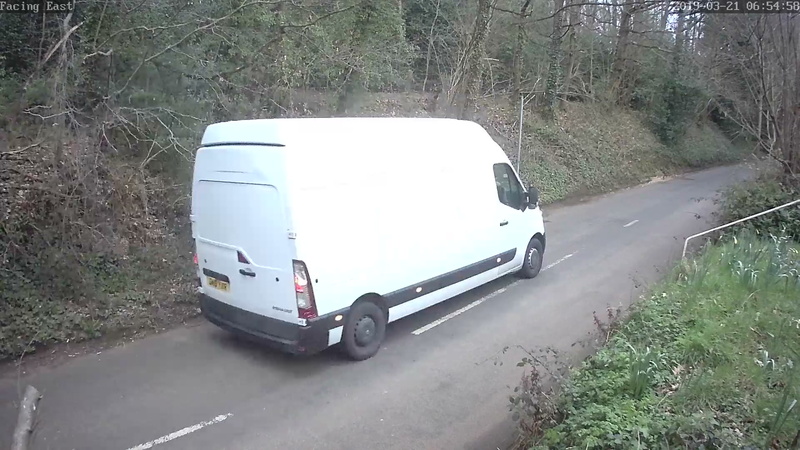 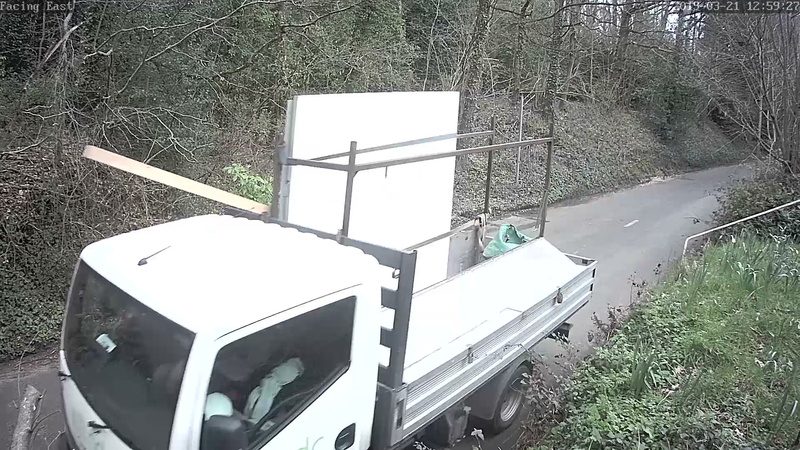 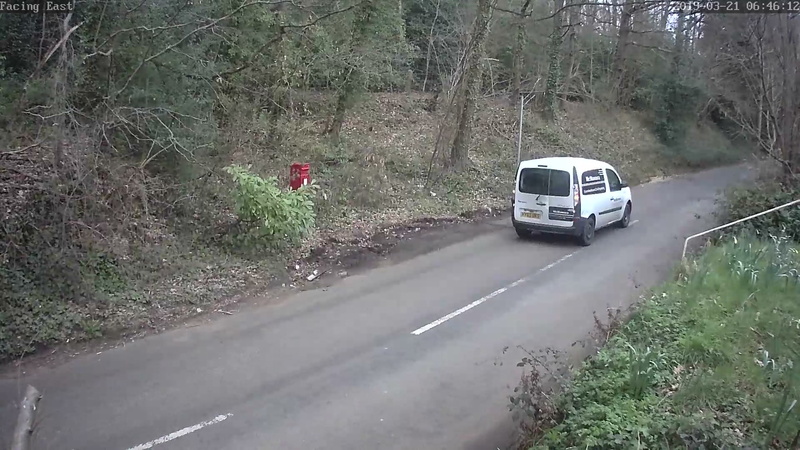 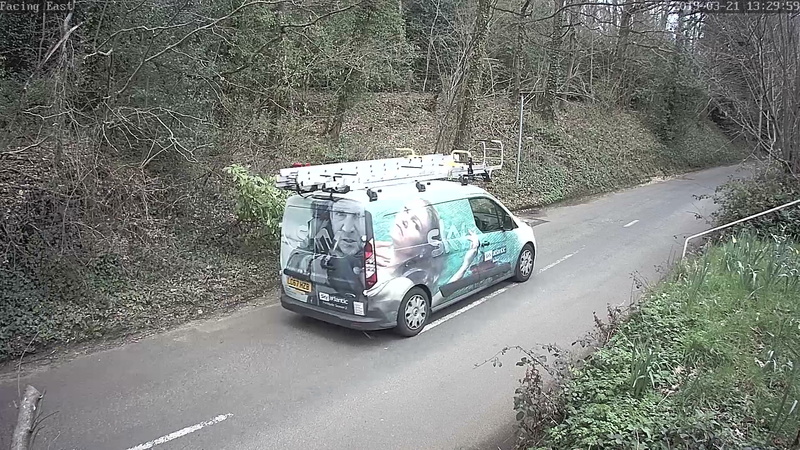 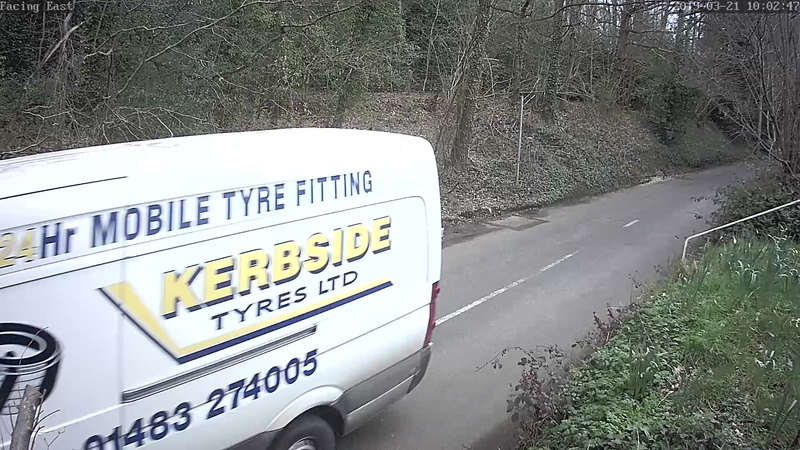 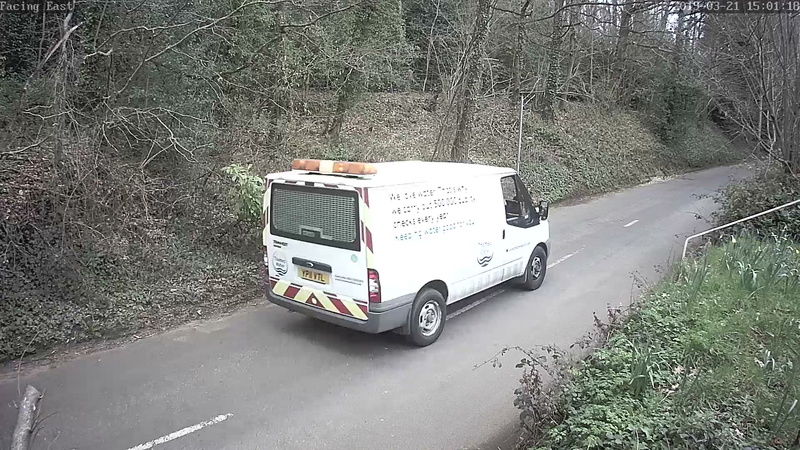 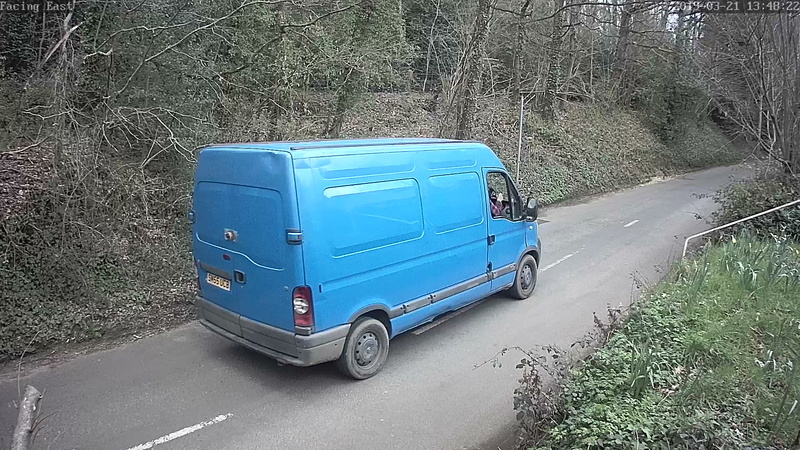 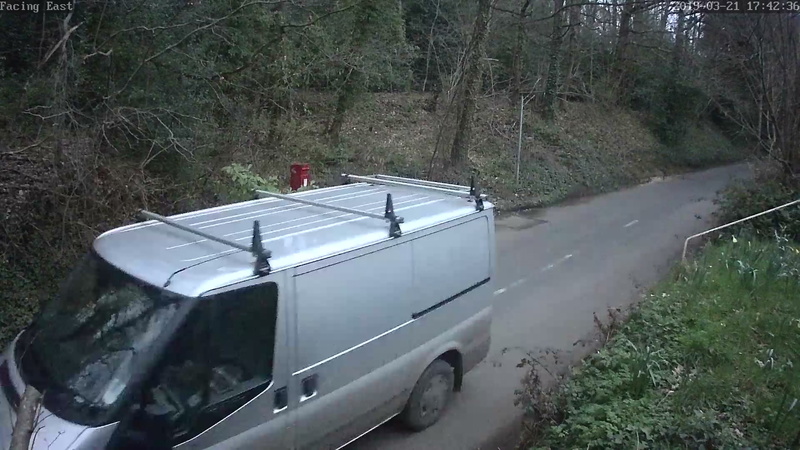 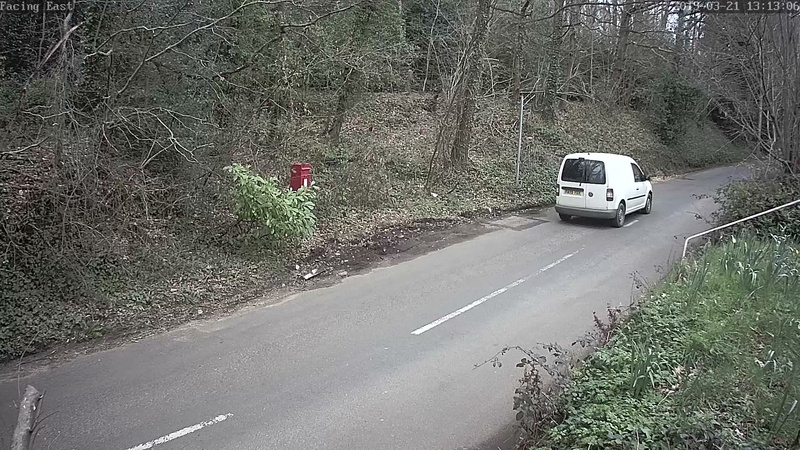 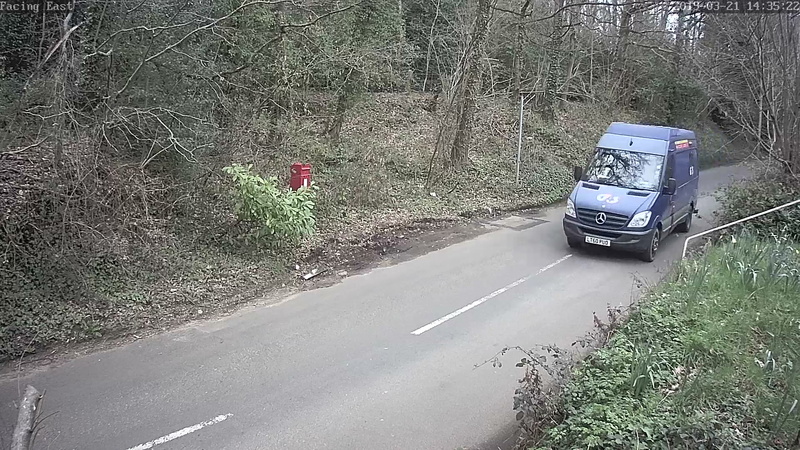 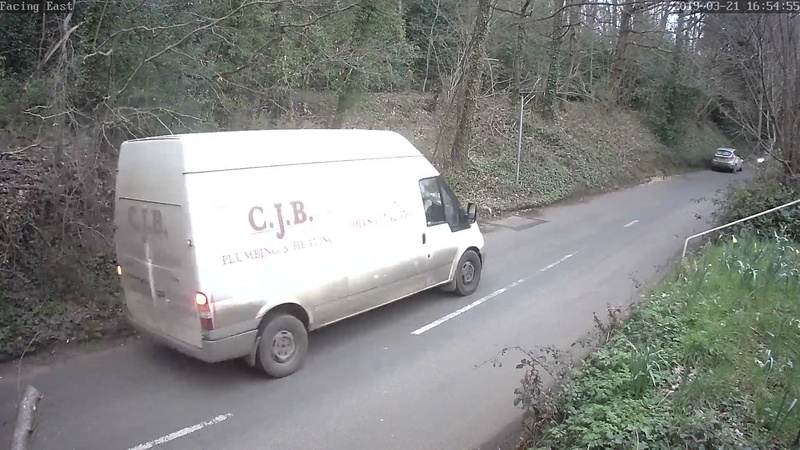 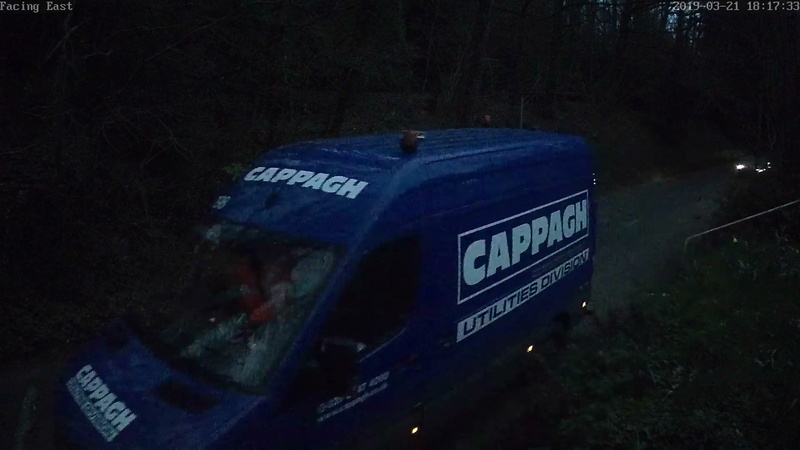 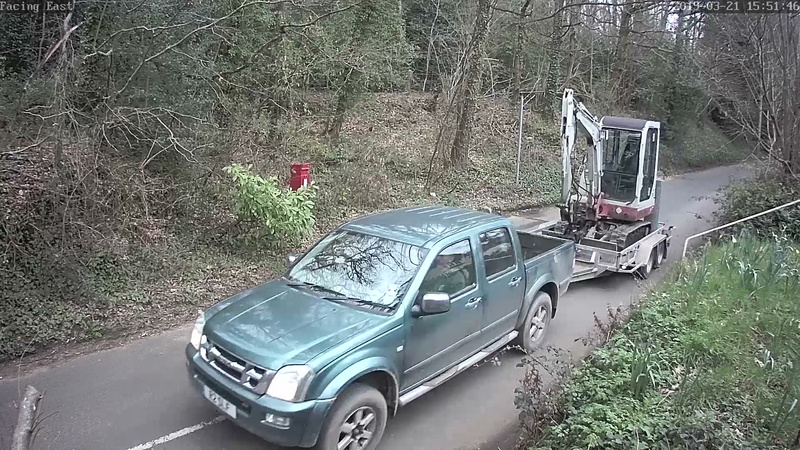 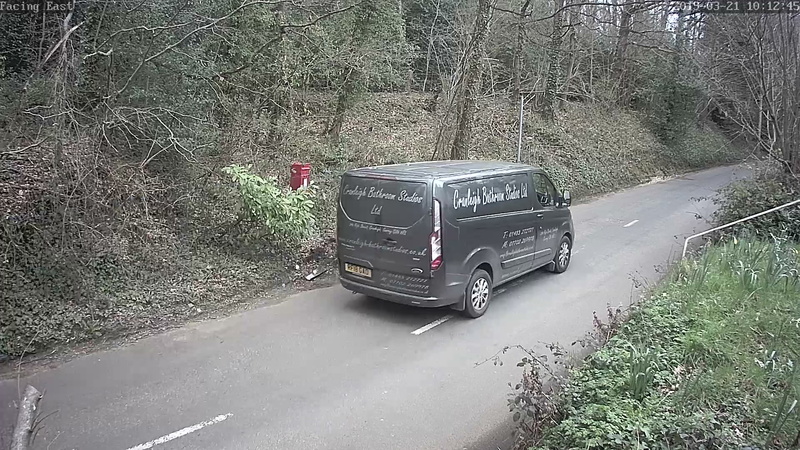 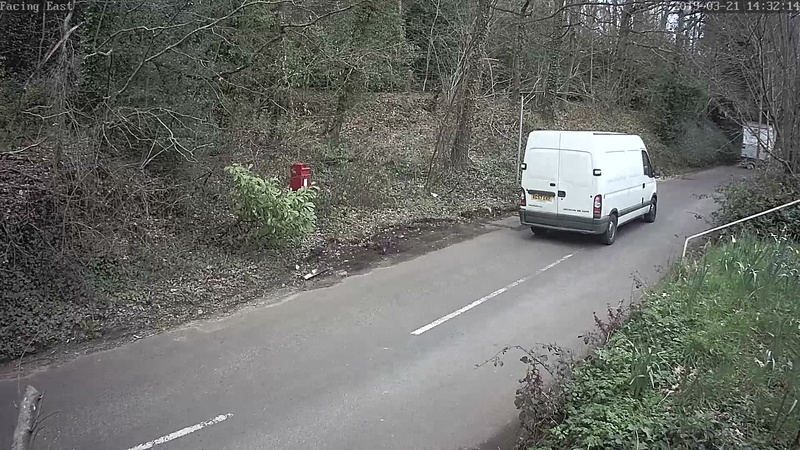 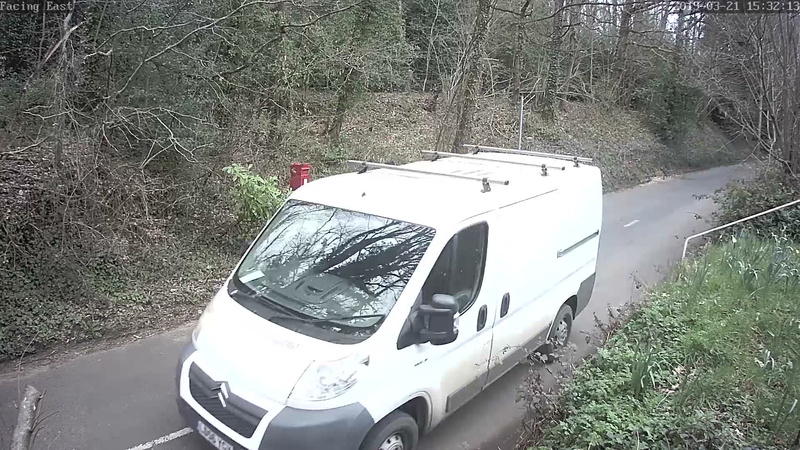 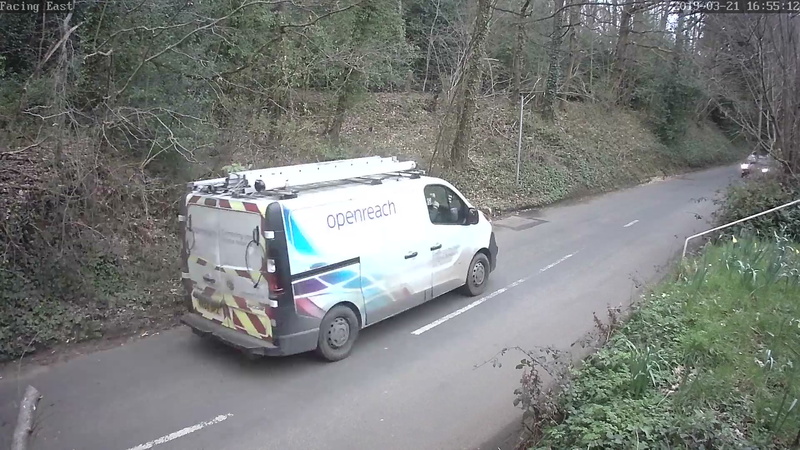 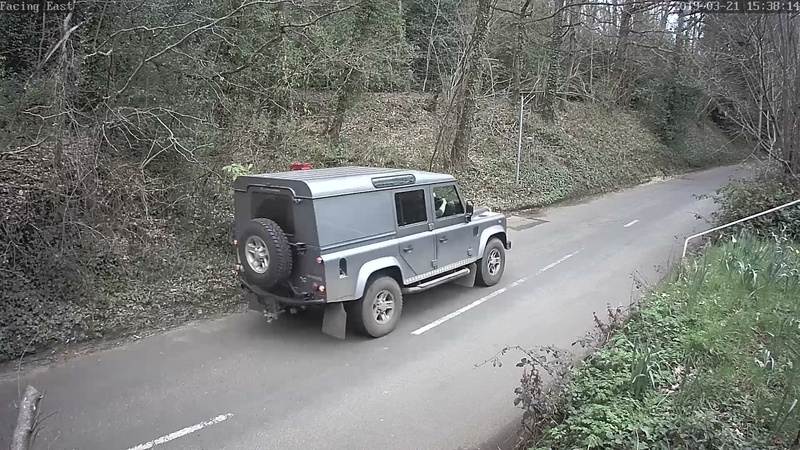 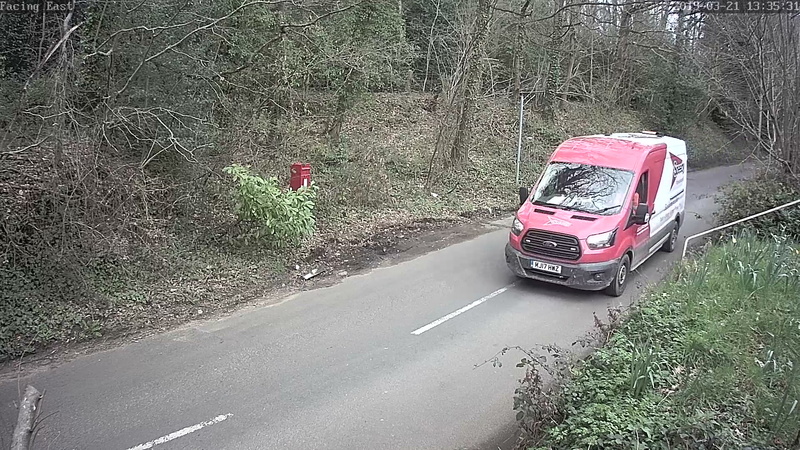 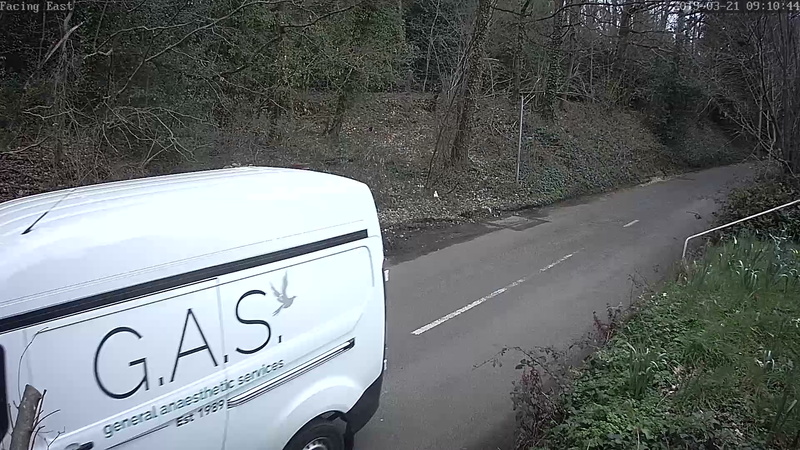 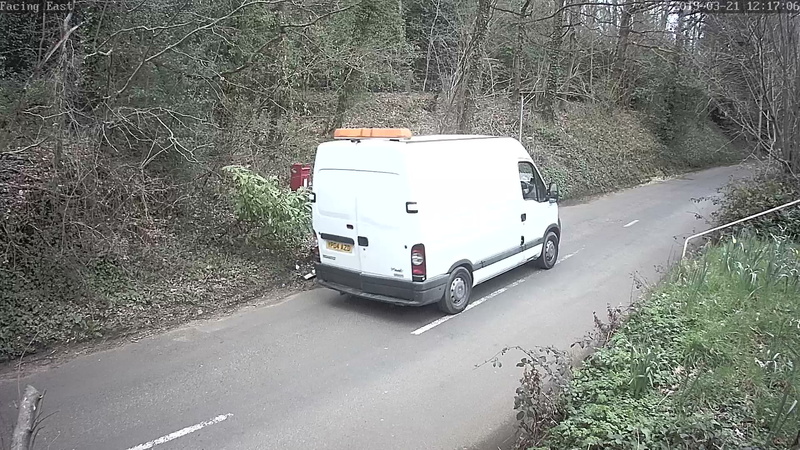 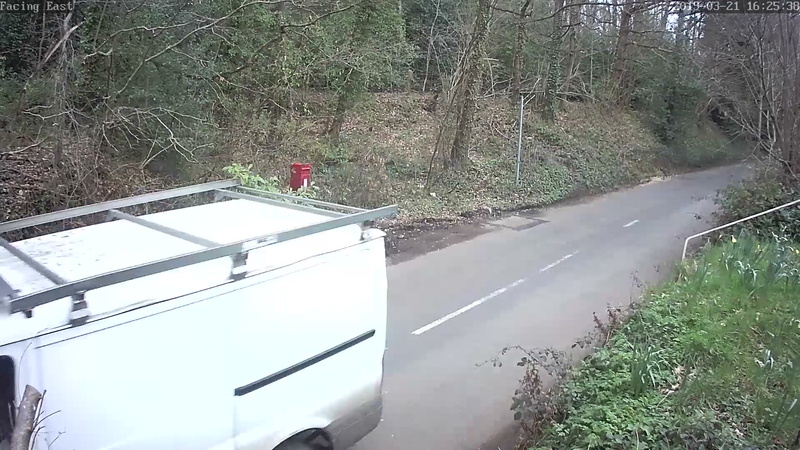 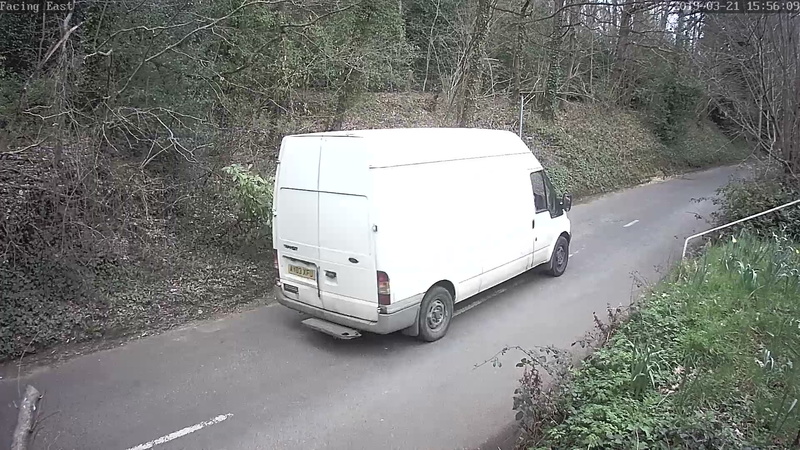 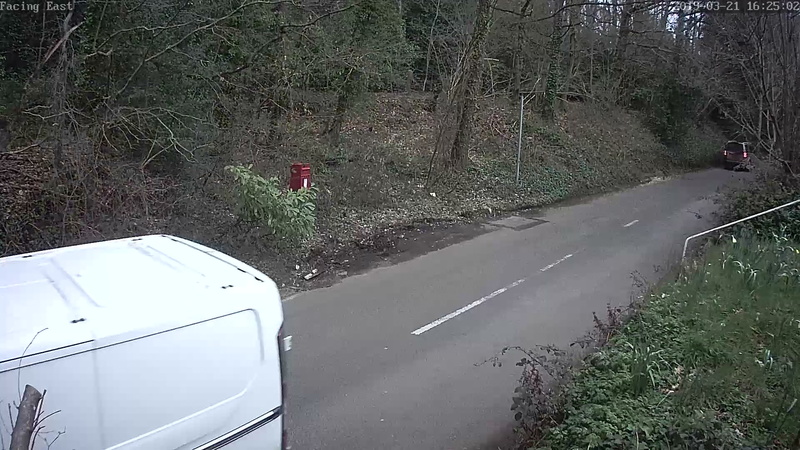 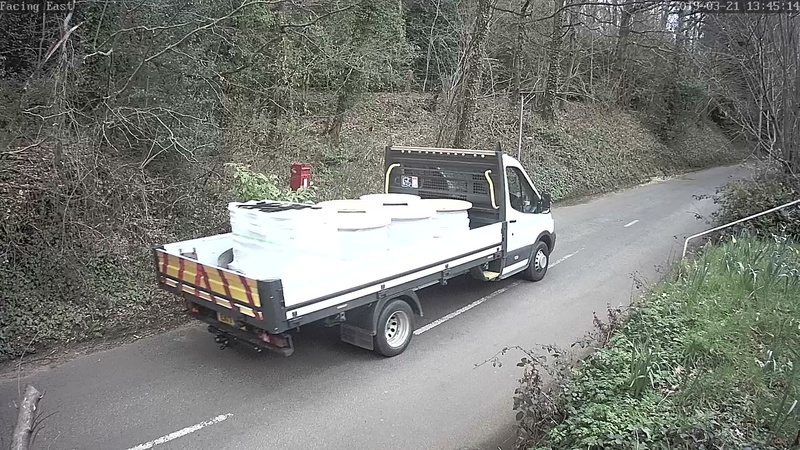 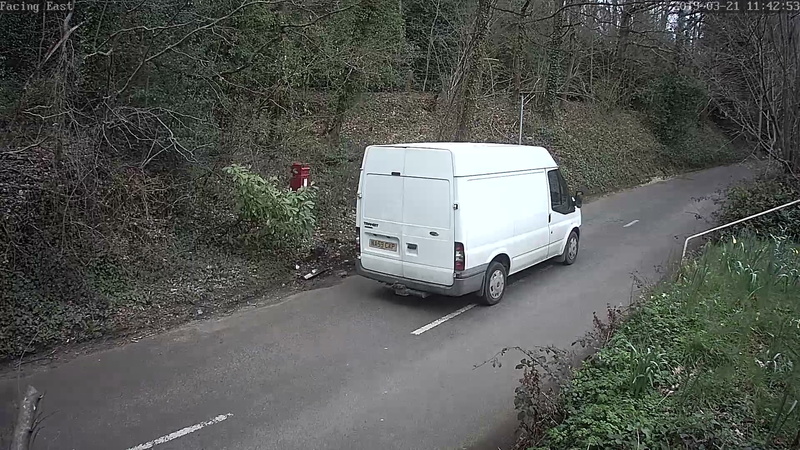 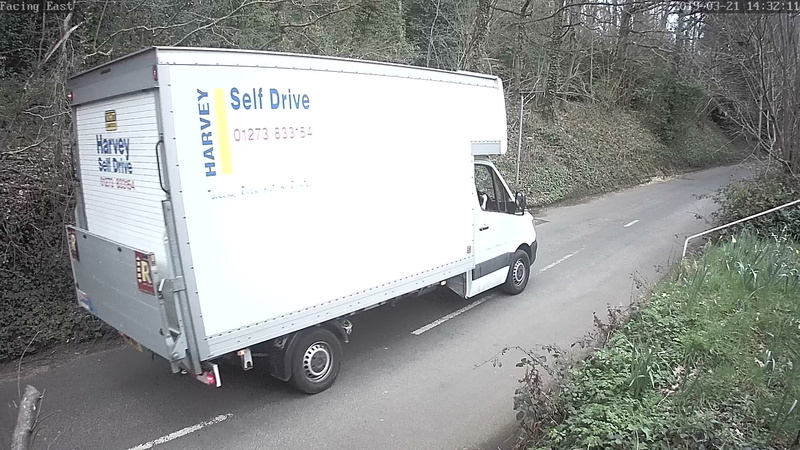 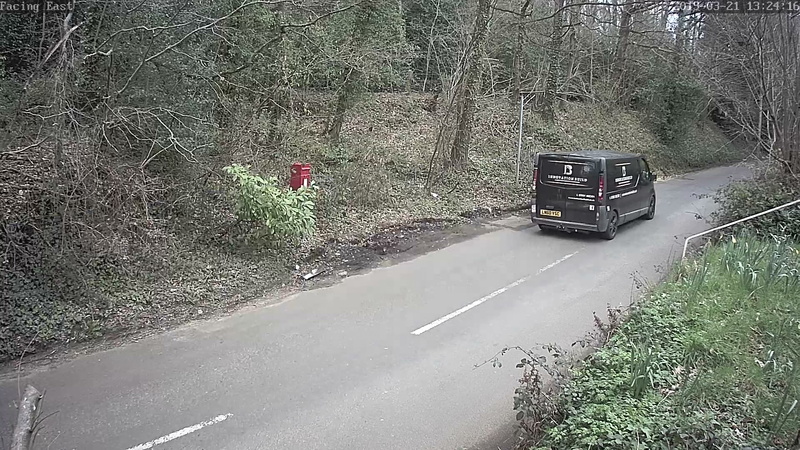 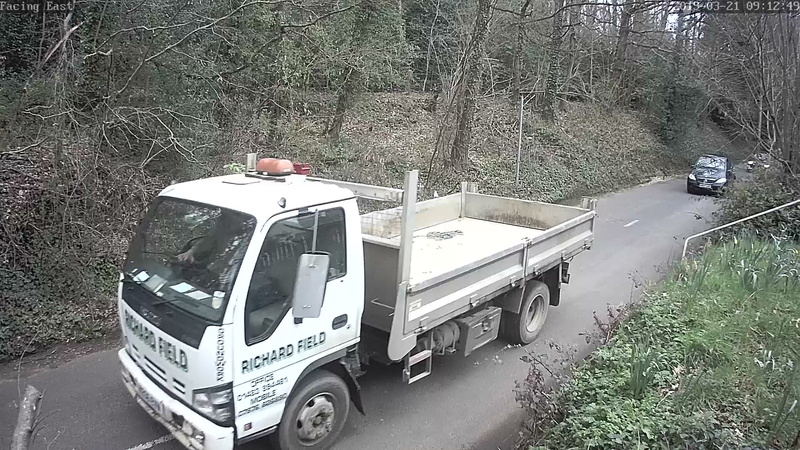 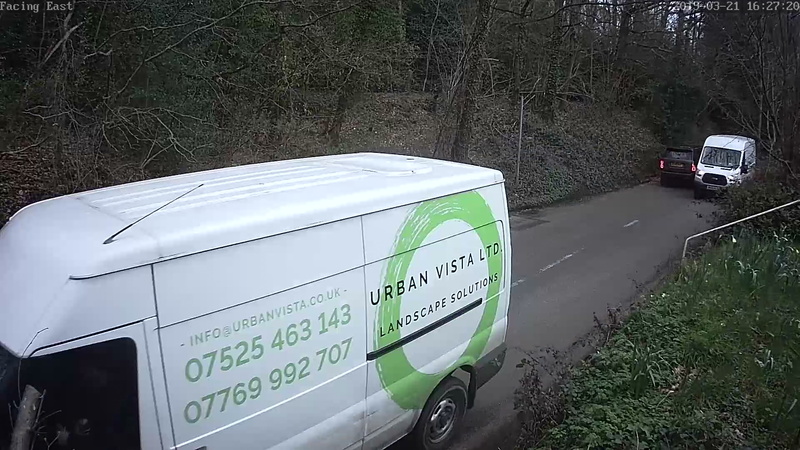 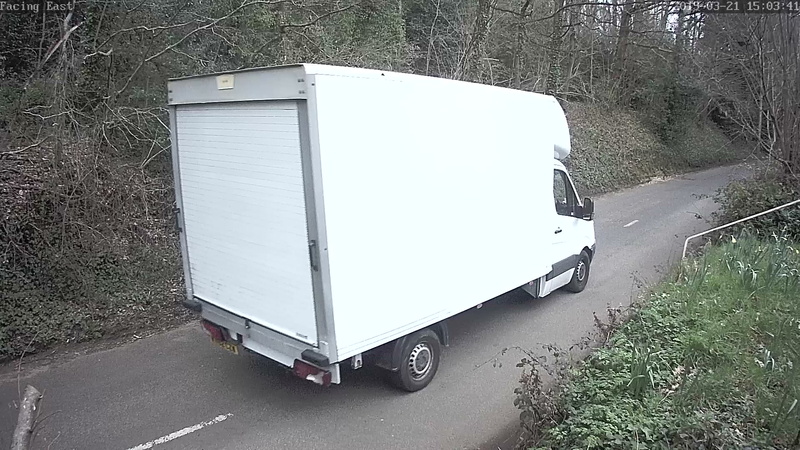 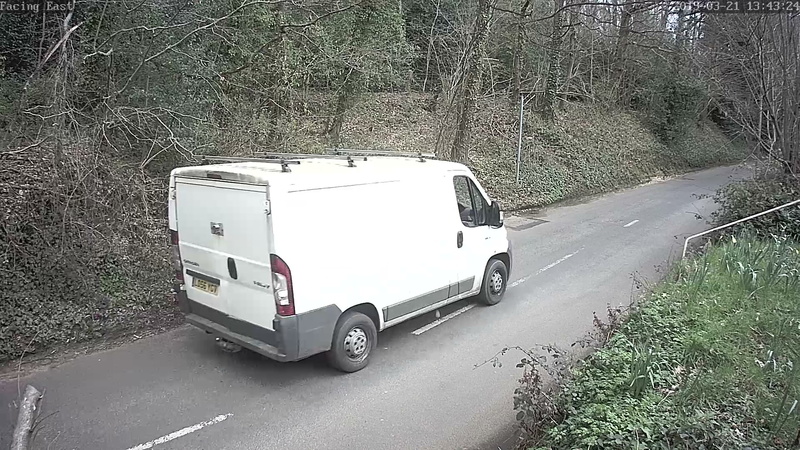 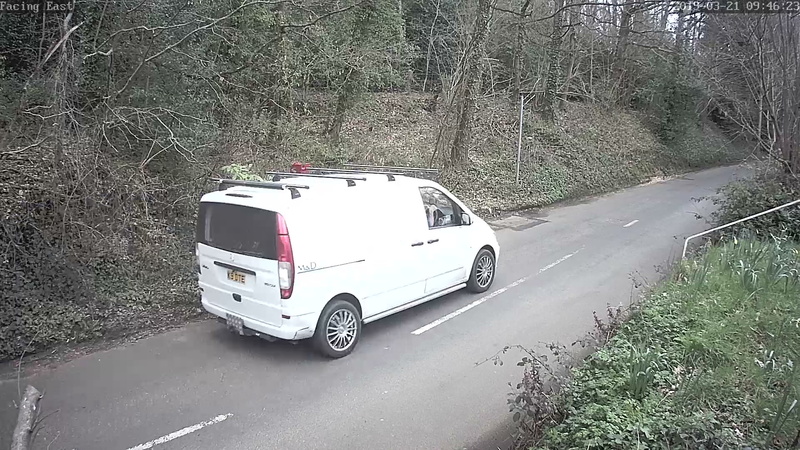 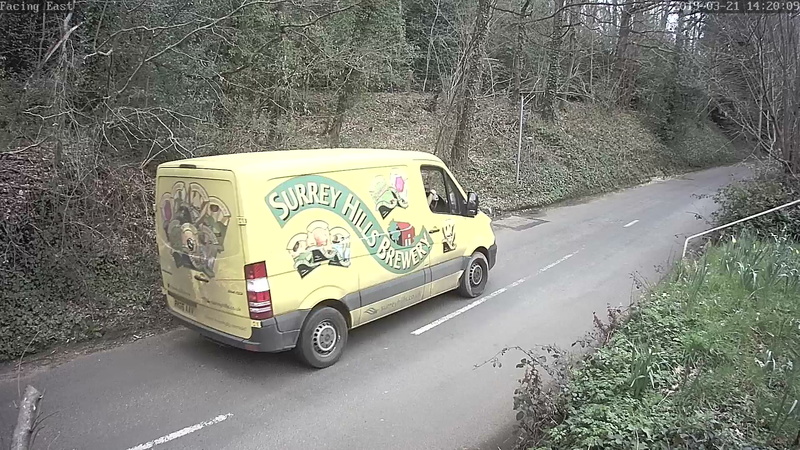 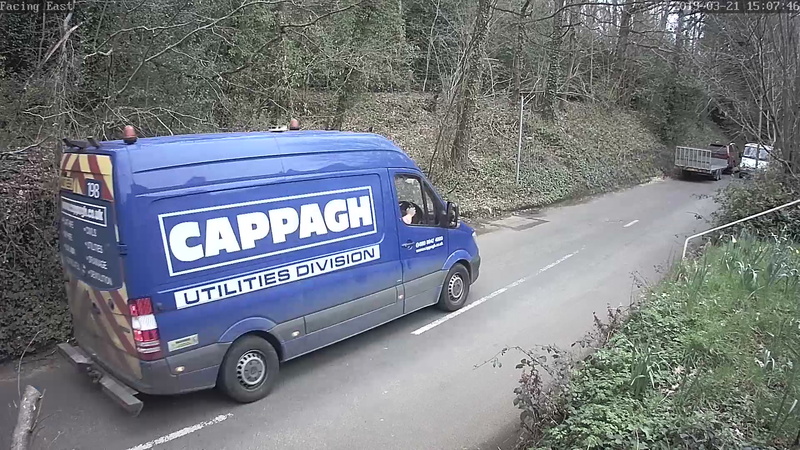 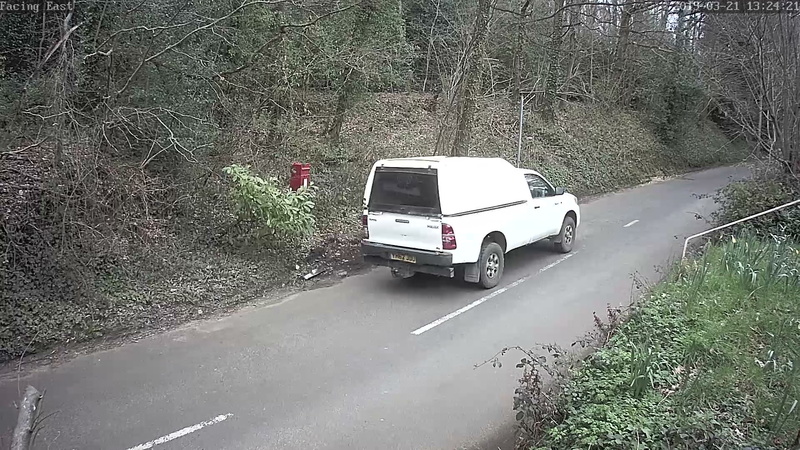 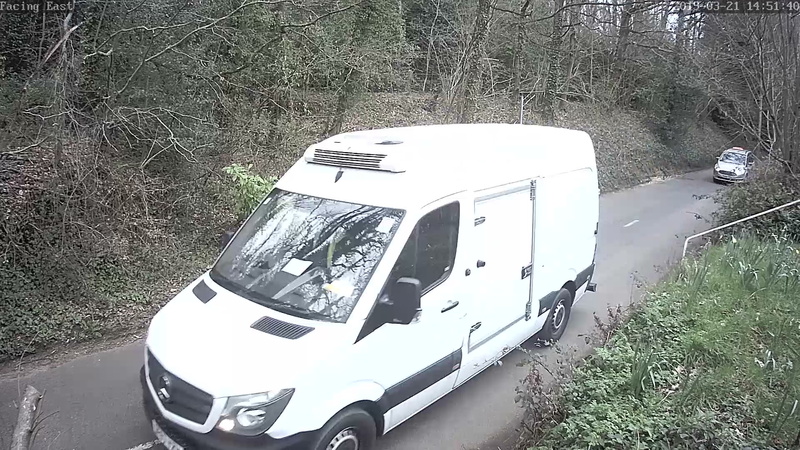 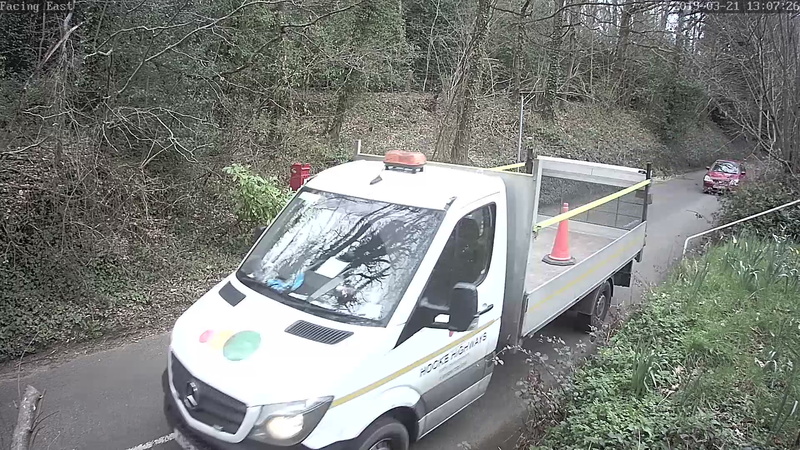 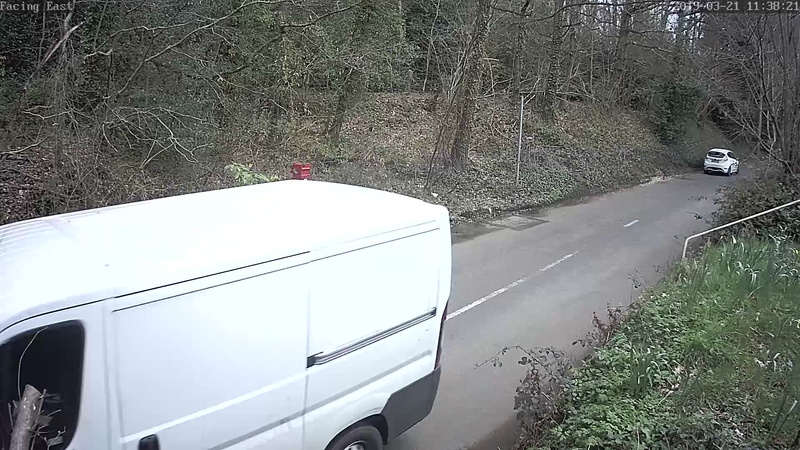 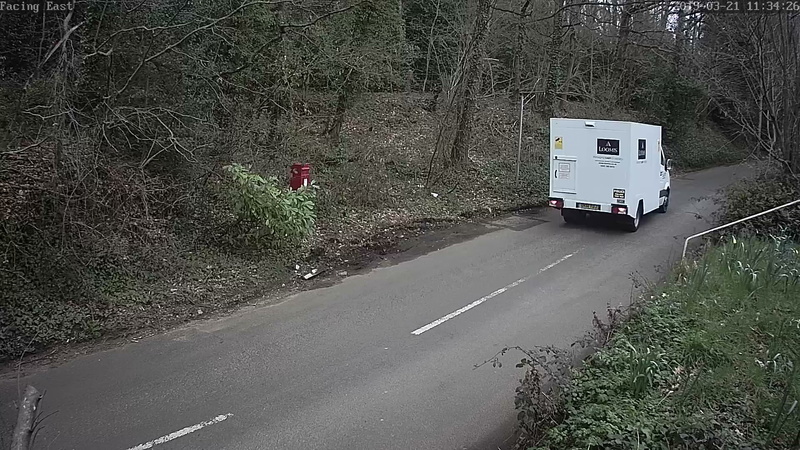 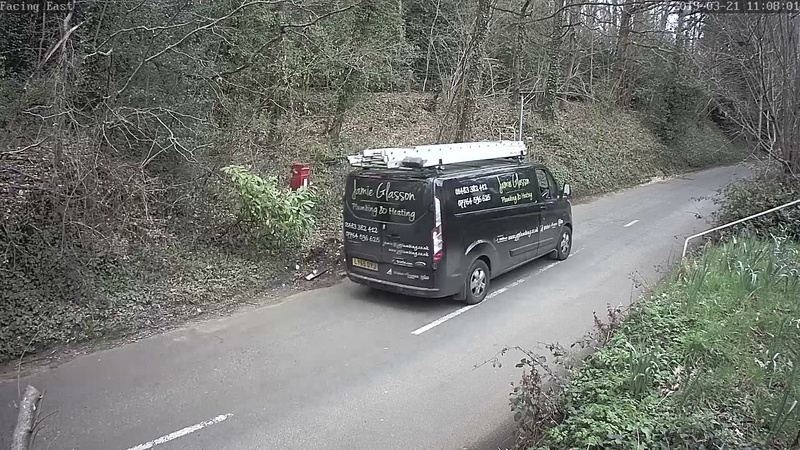 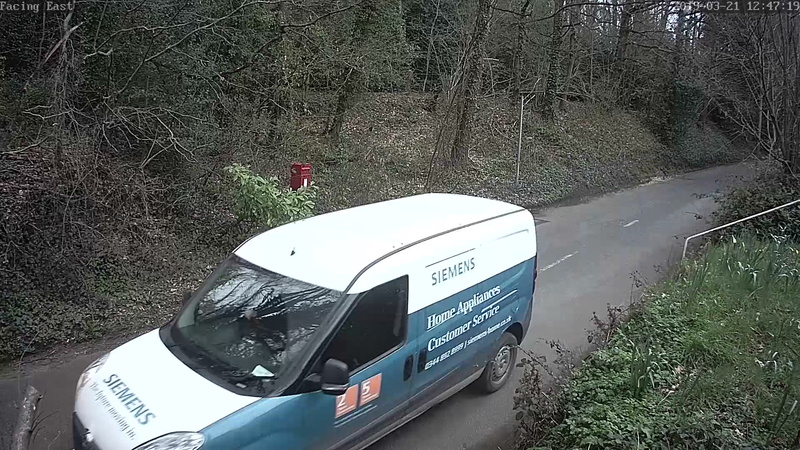 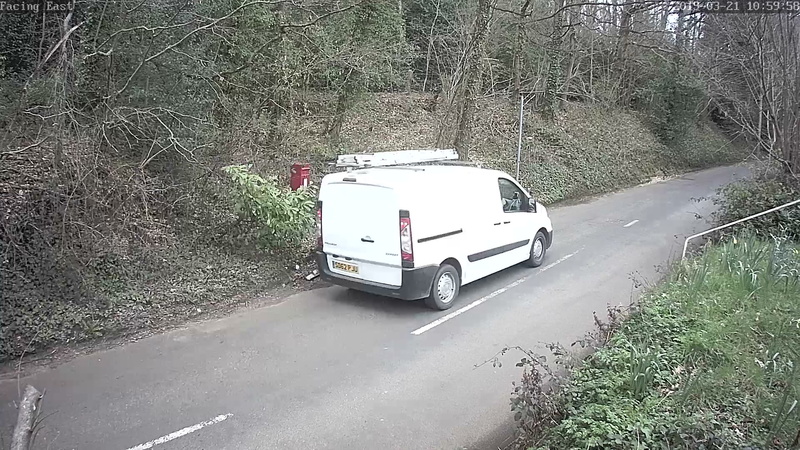 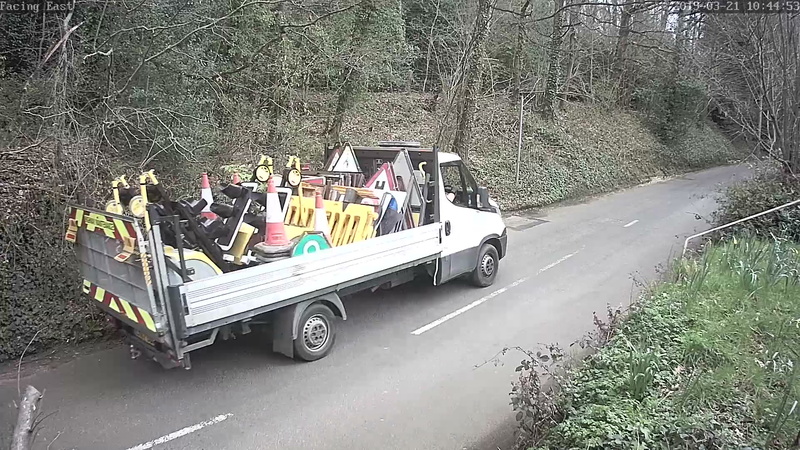 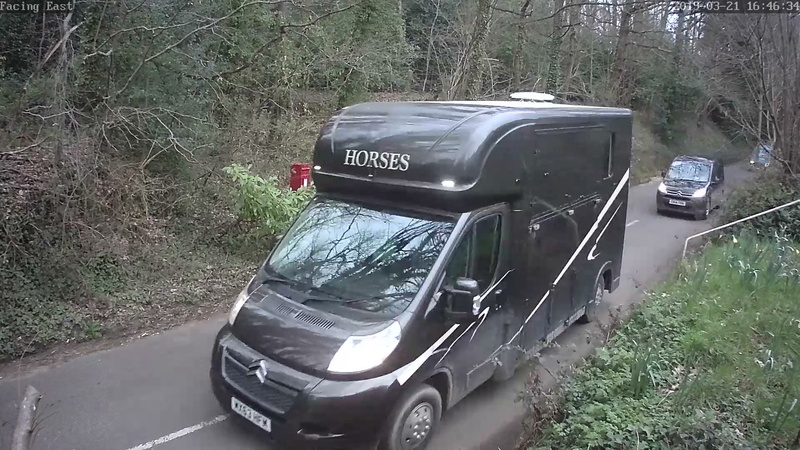 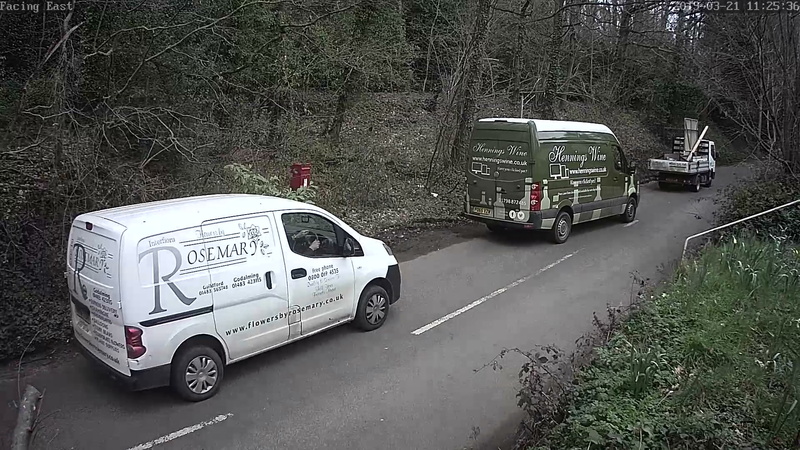 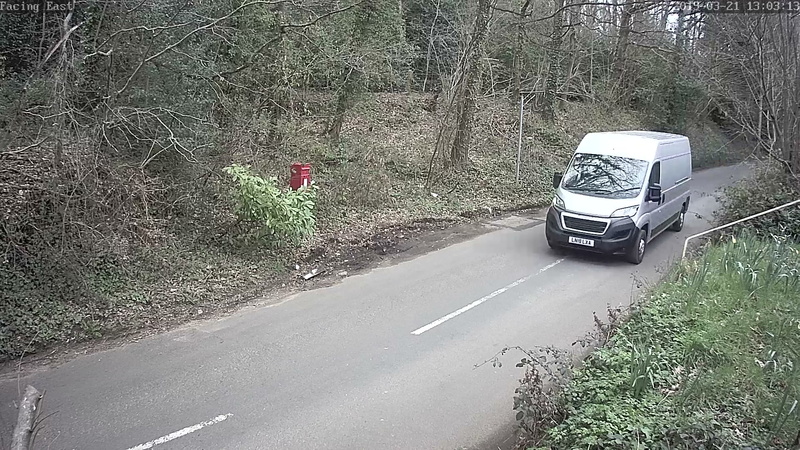 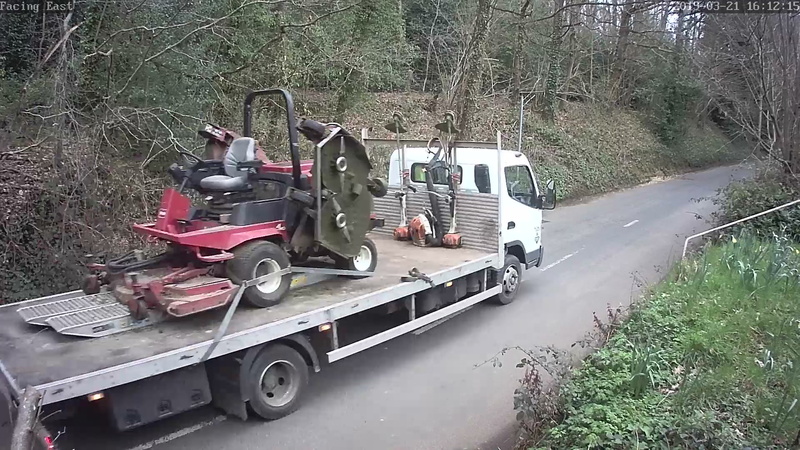 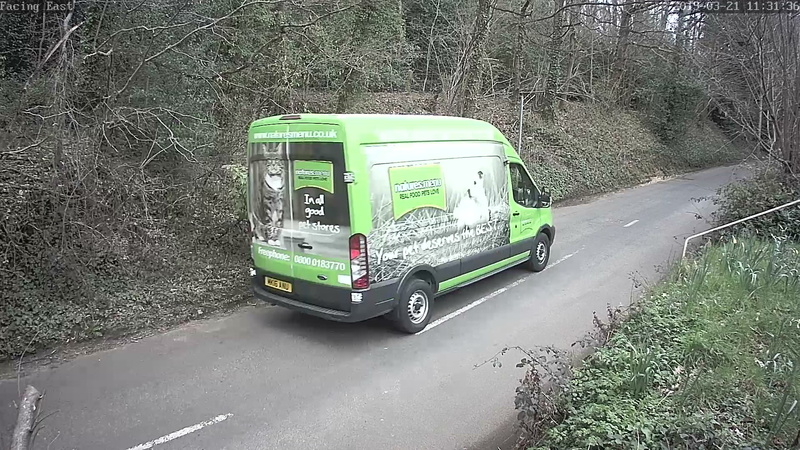 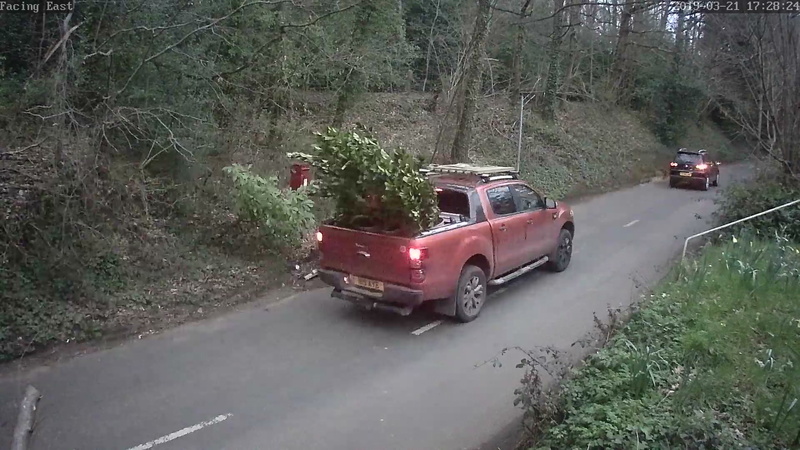 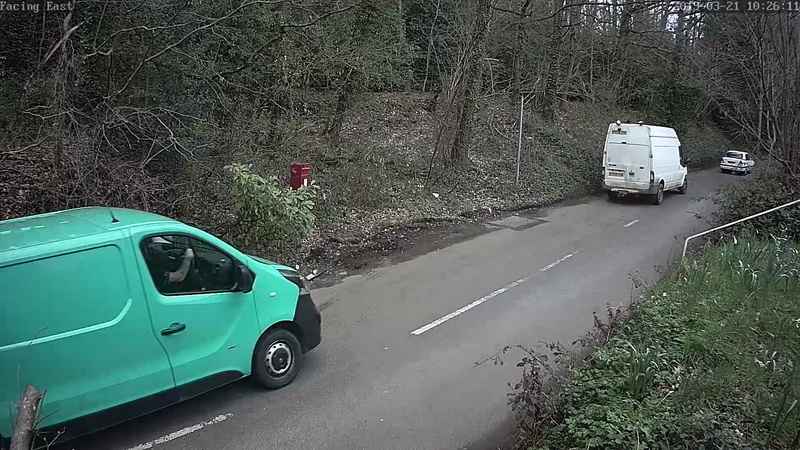 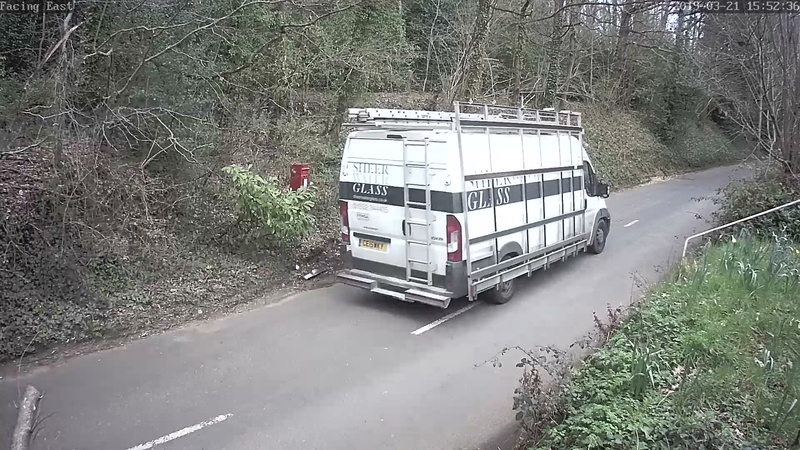 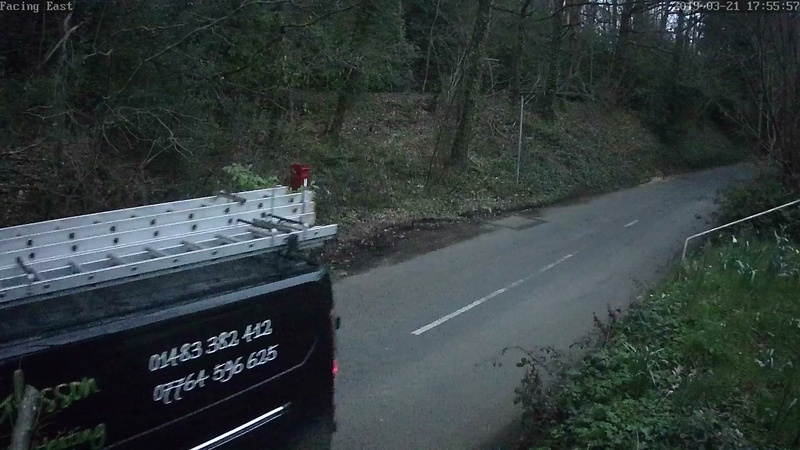 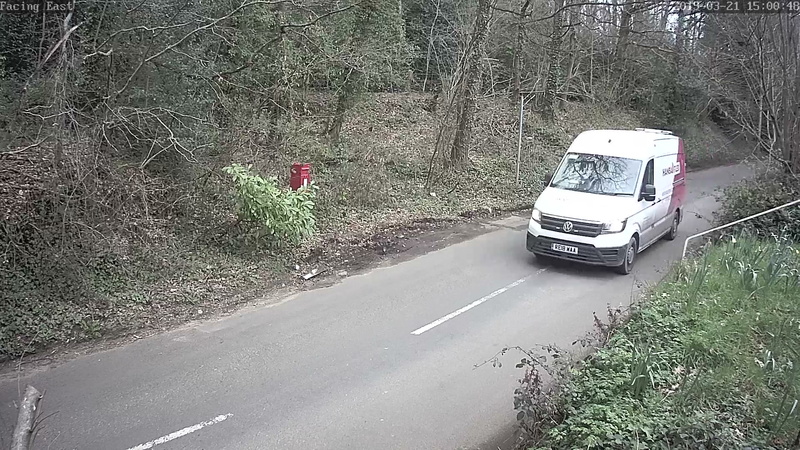 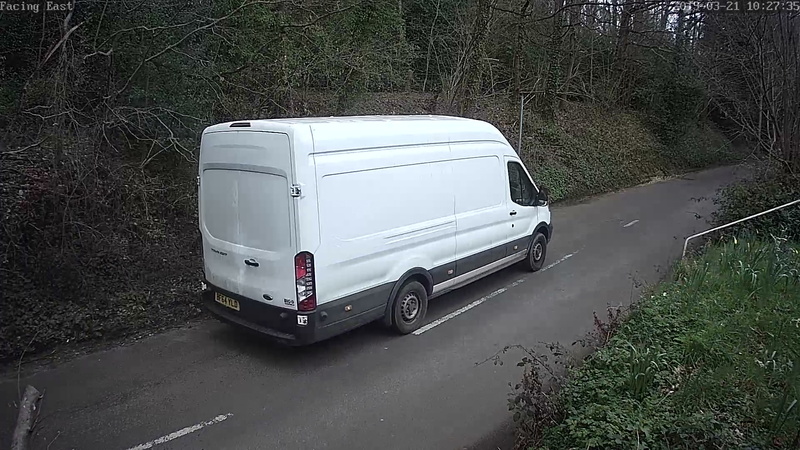 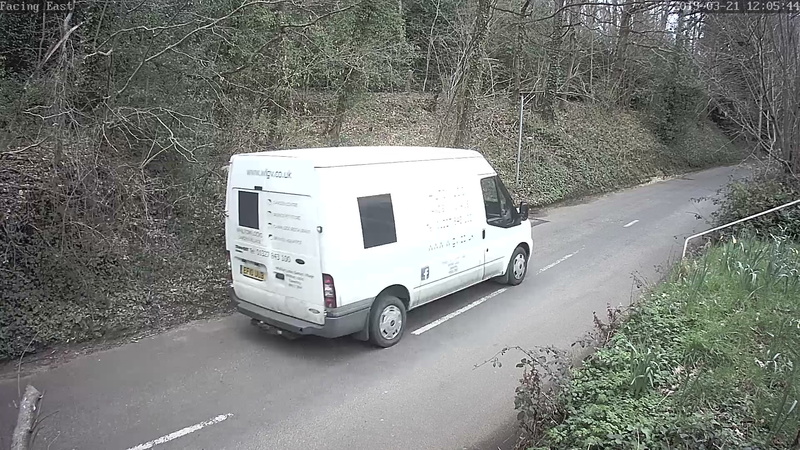 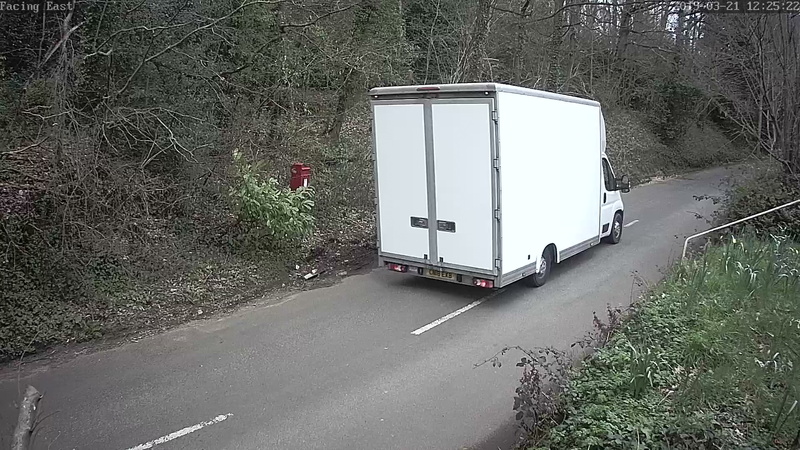 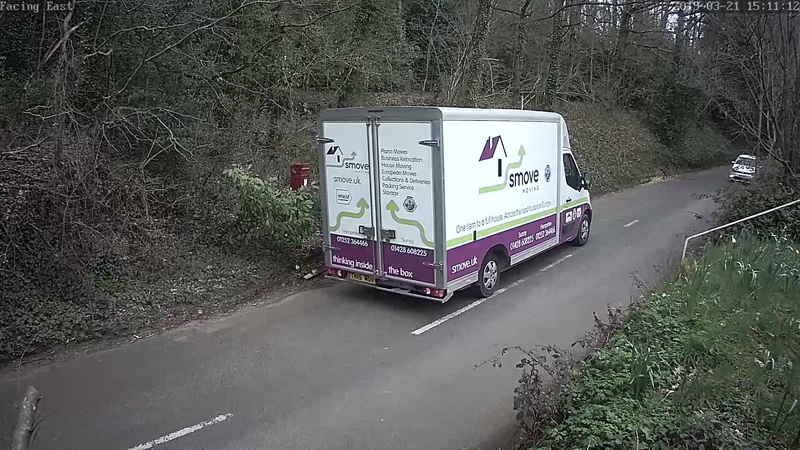 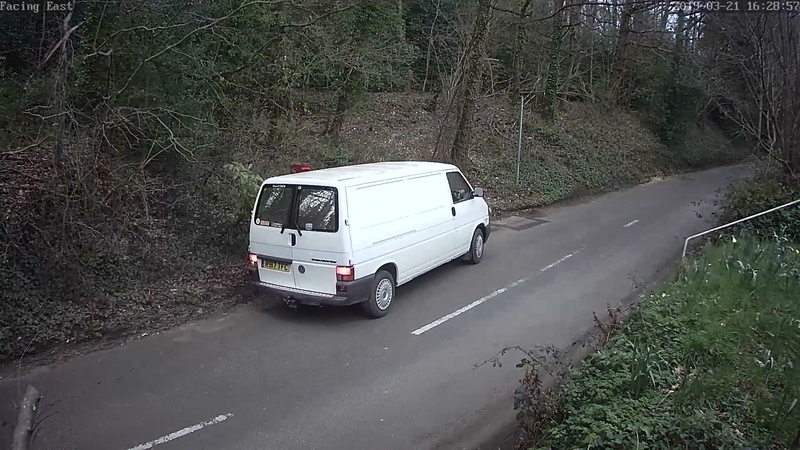 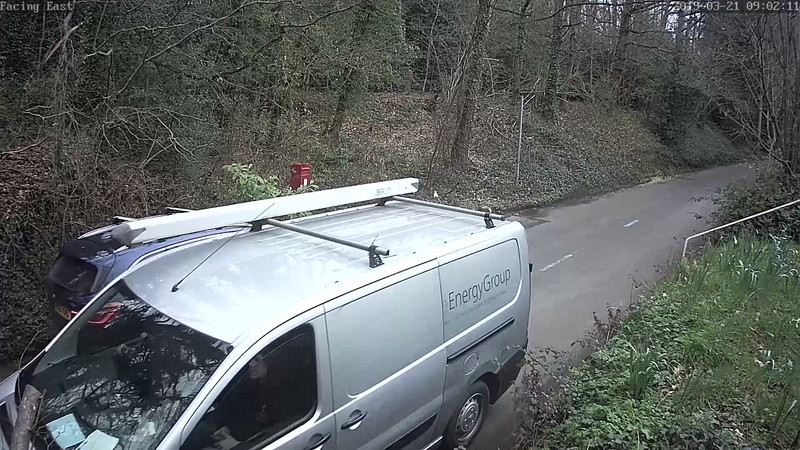 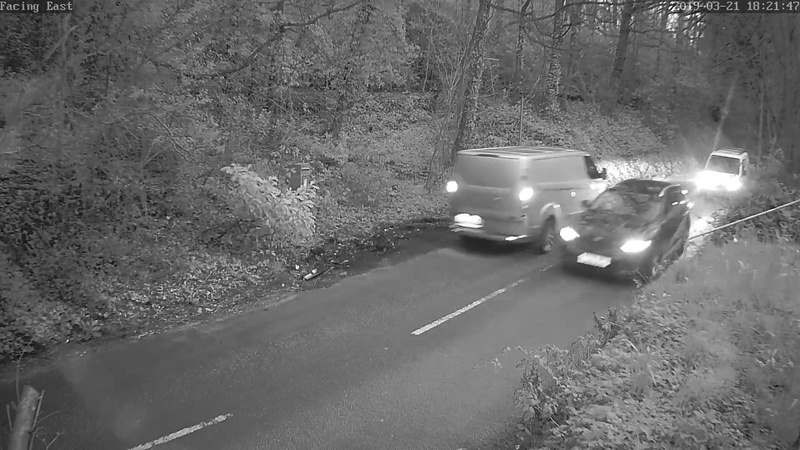 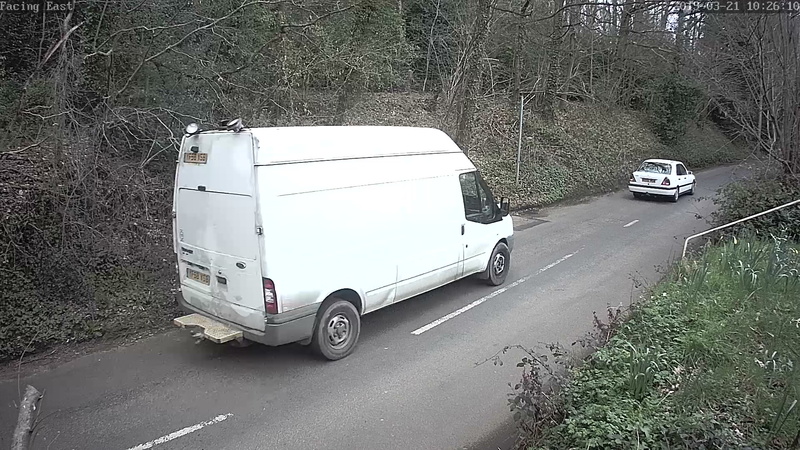 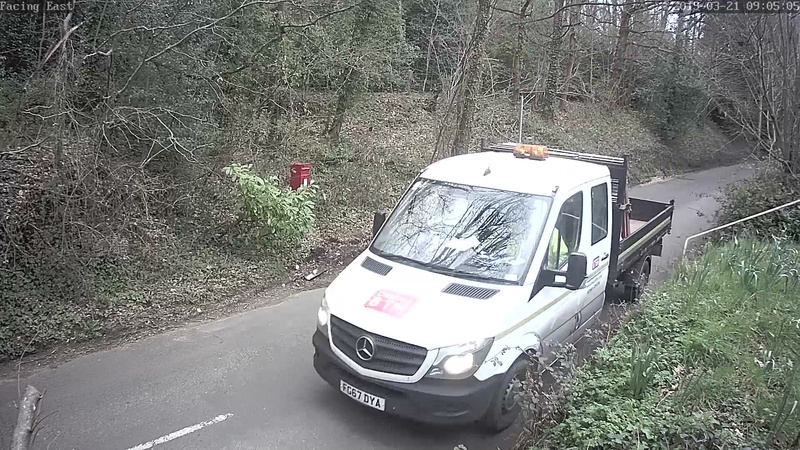 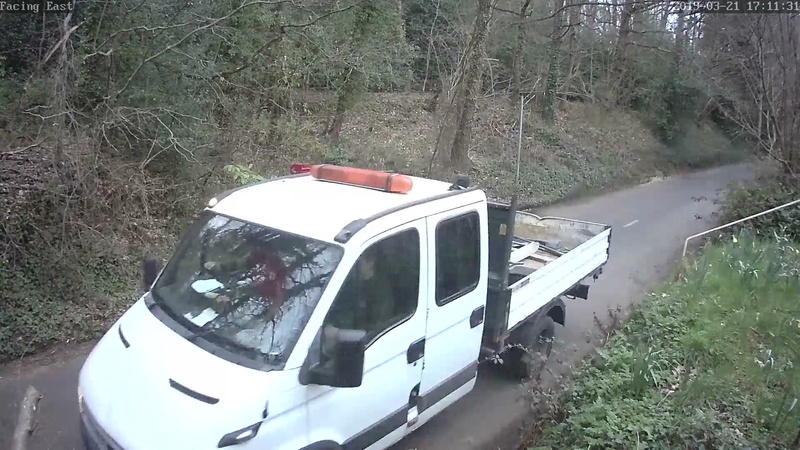 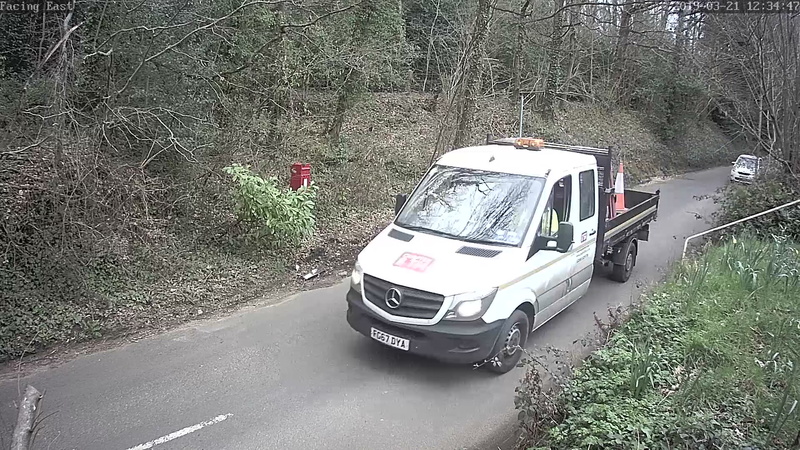 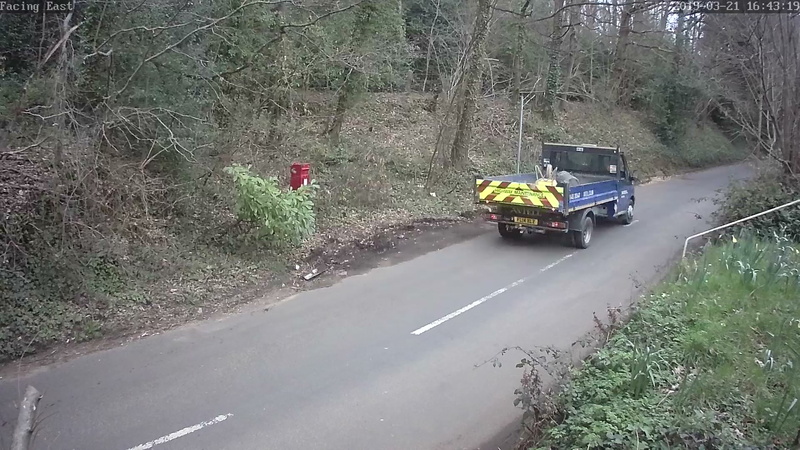 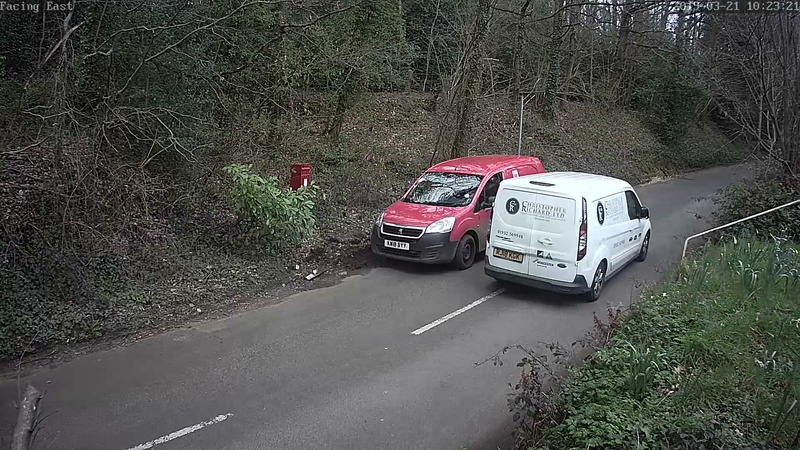 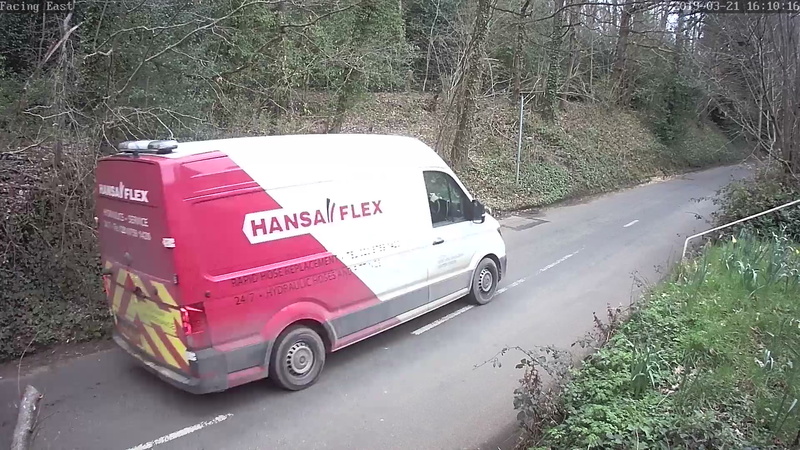 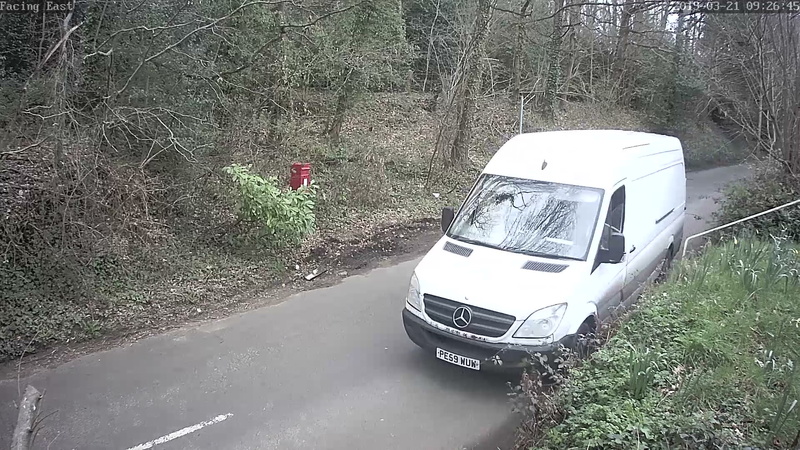 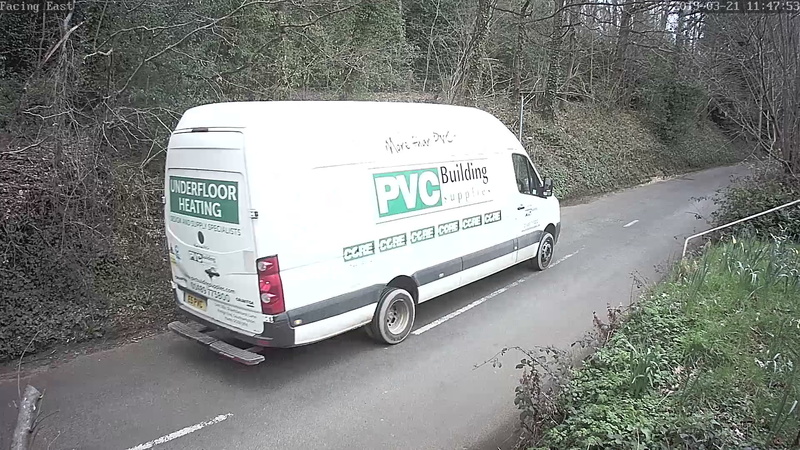 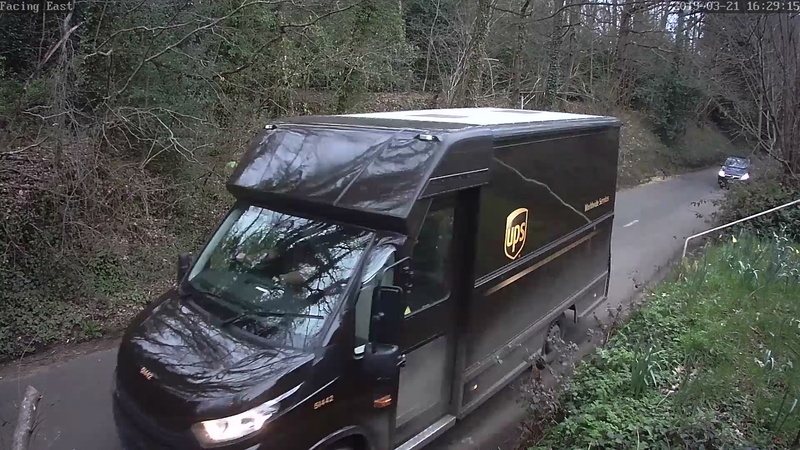 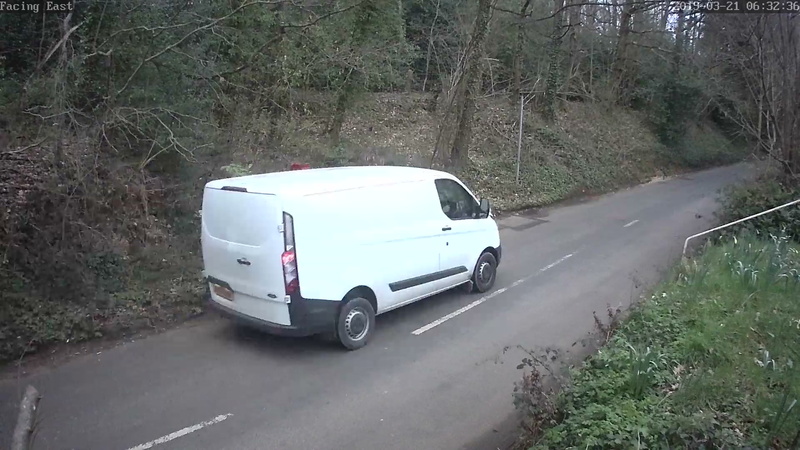 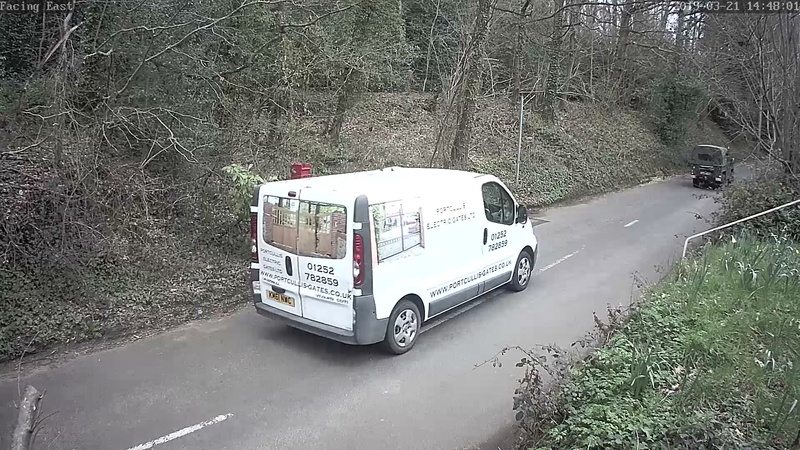 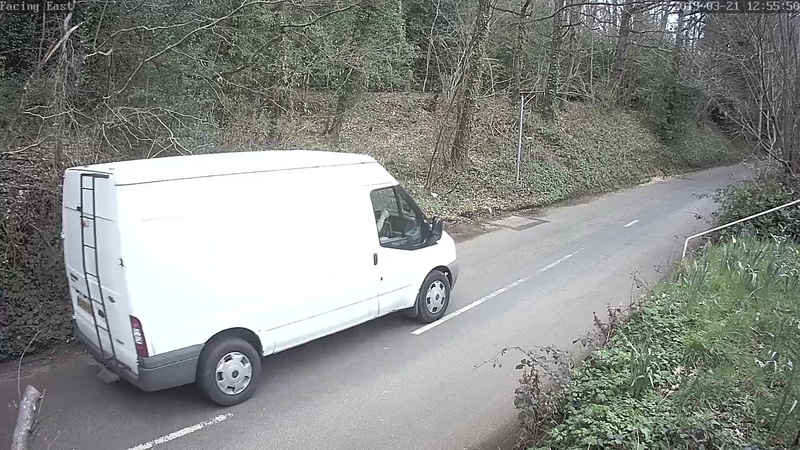 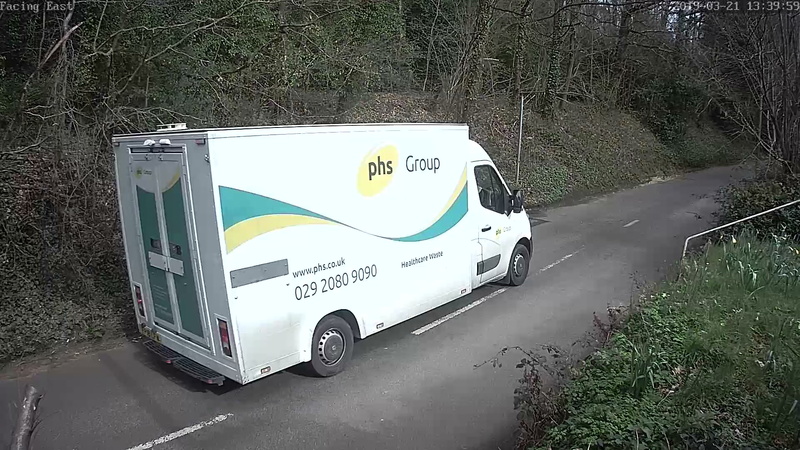 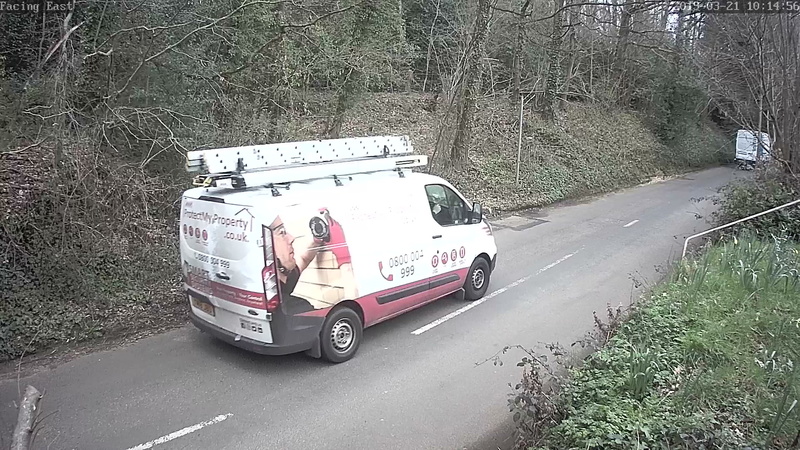 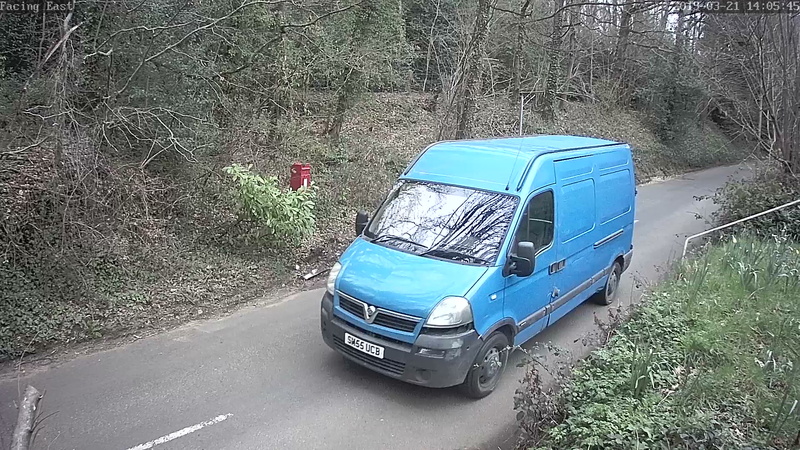 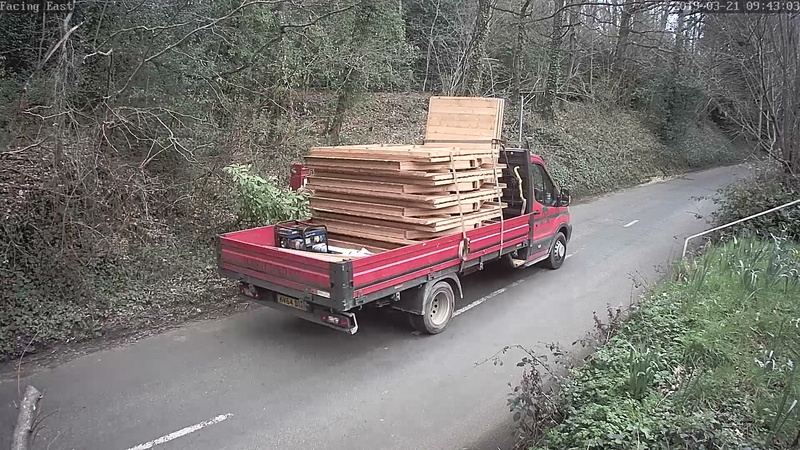 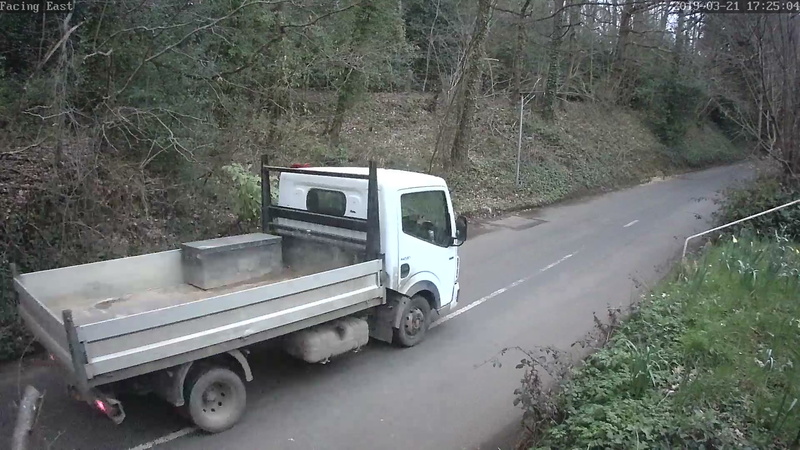 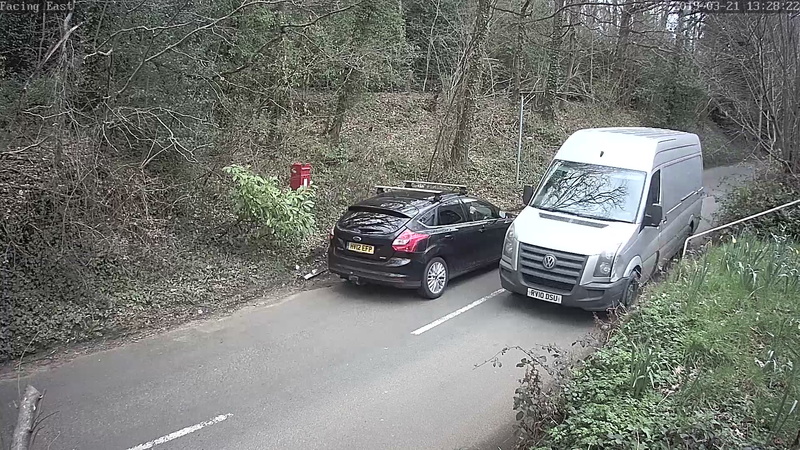 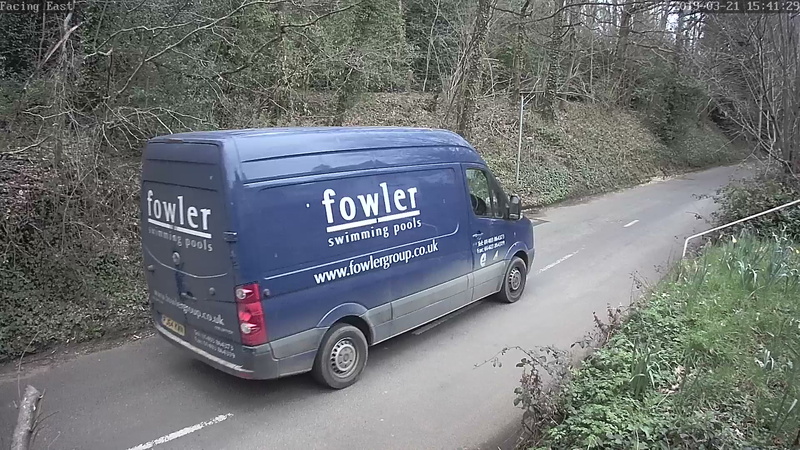 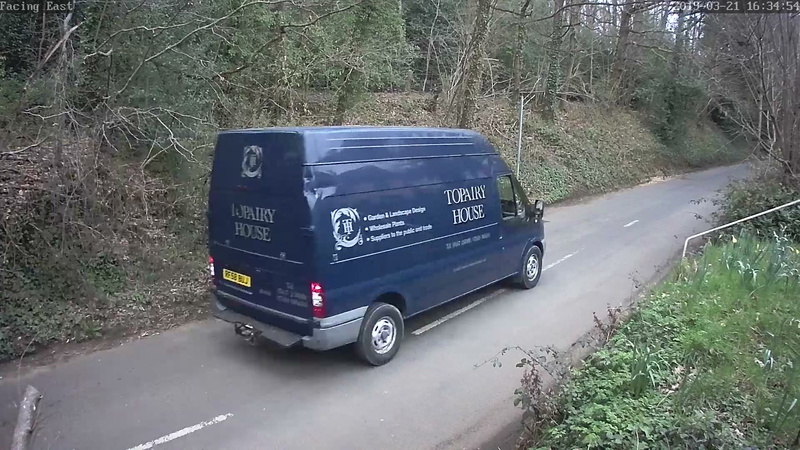 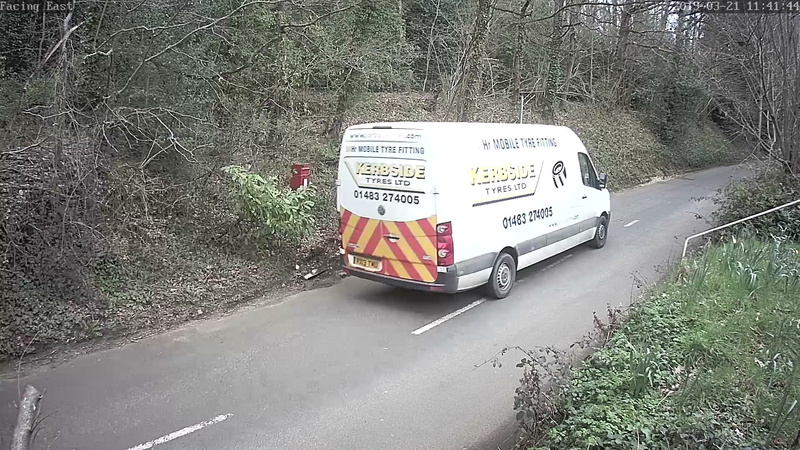 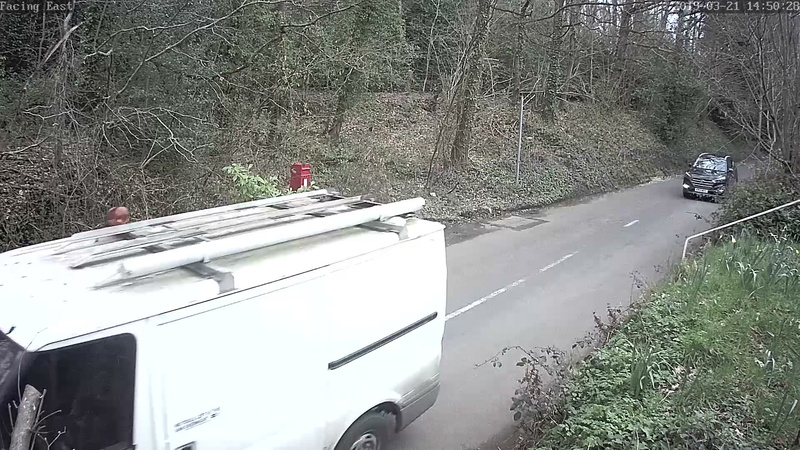 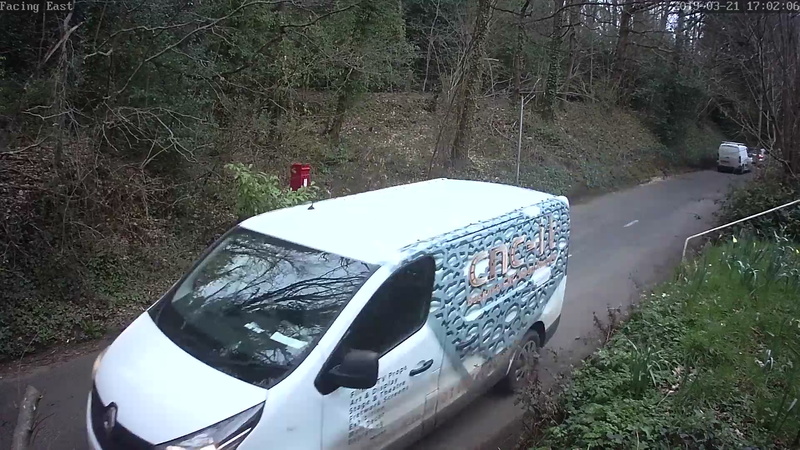 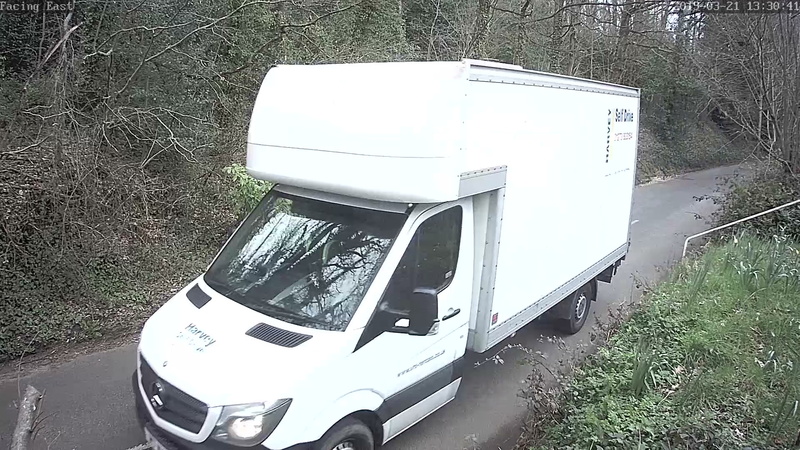 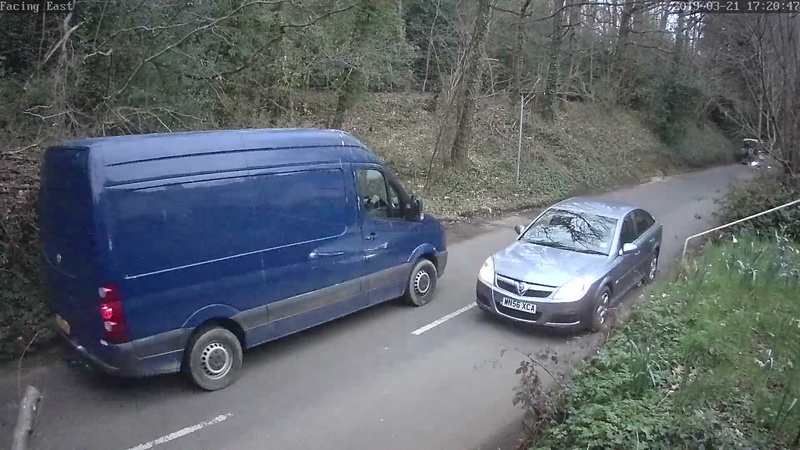 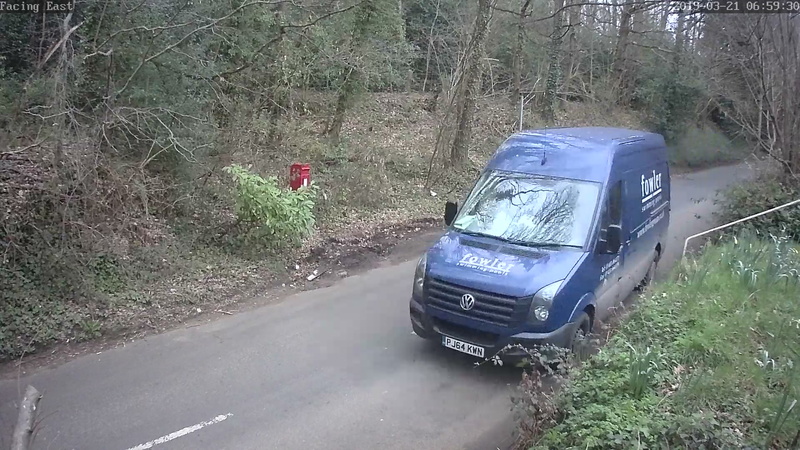 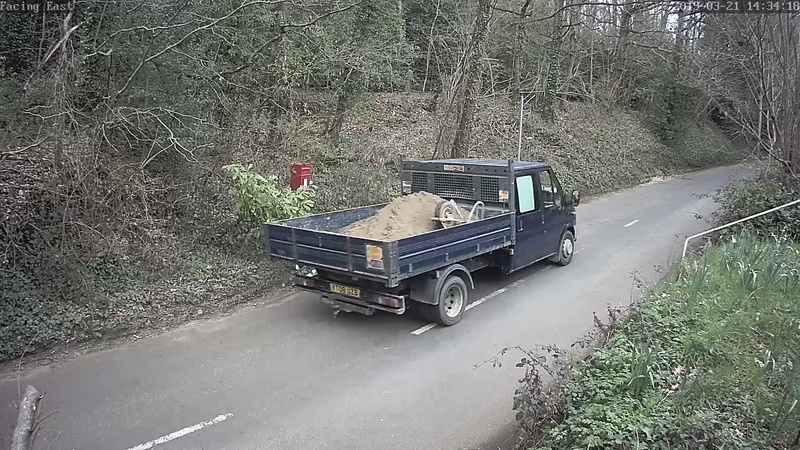 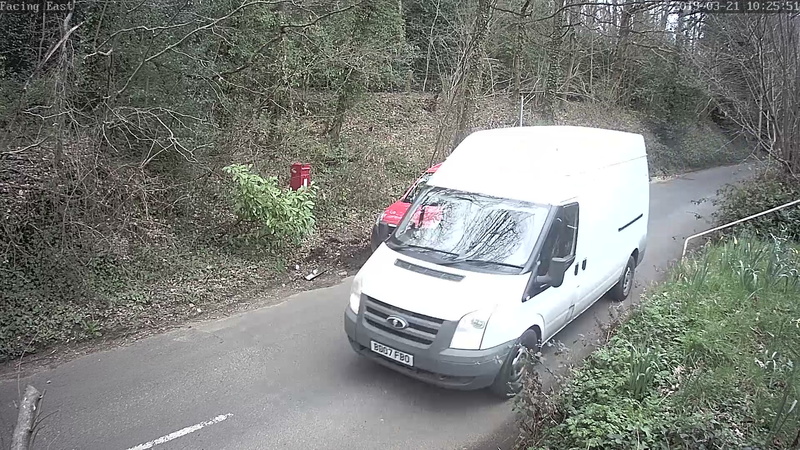 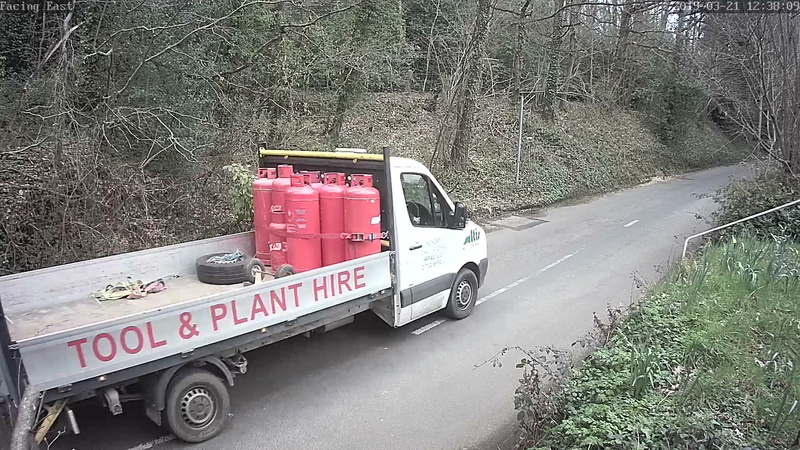 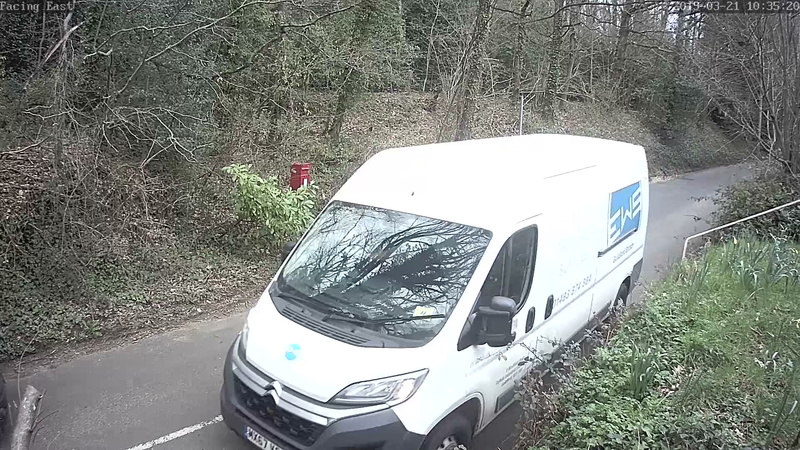 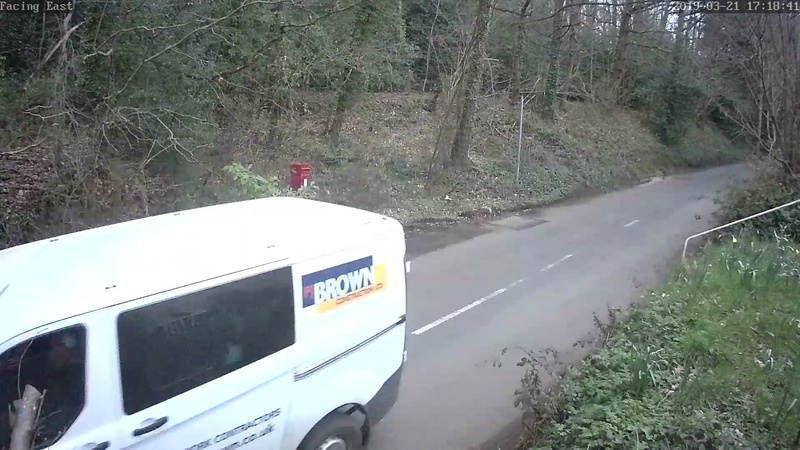 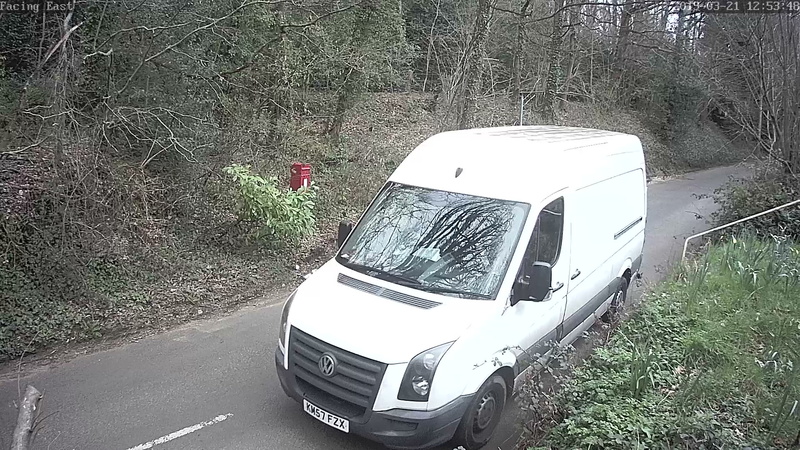 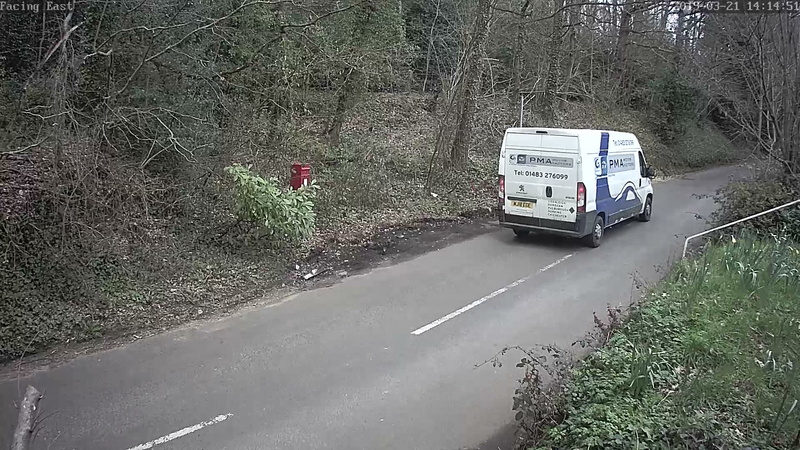 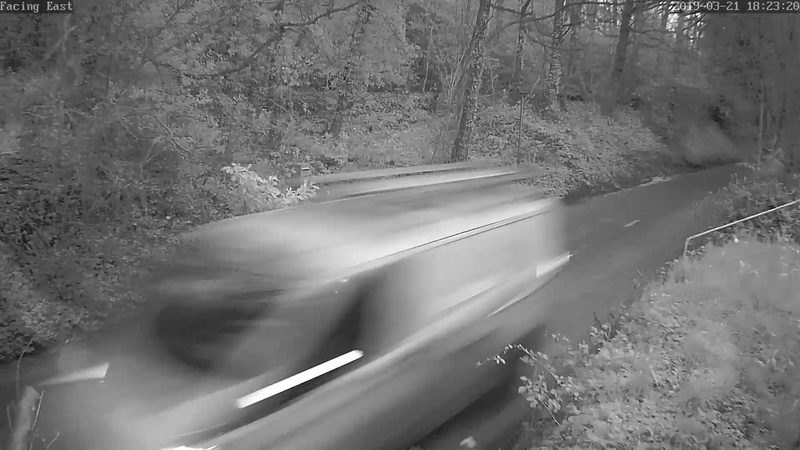 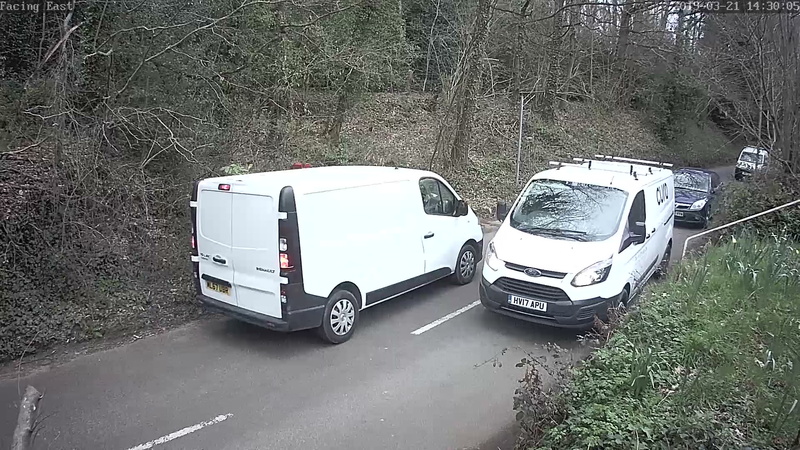 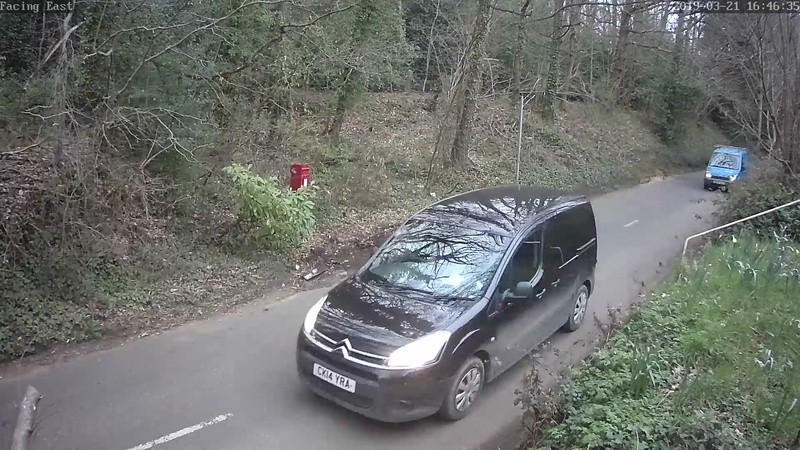 The images below are a typical day in the life of Markwick Lane – but only seeing the vans from 6.30am to 6pm.